Abbie was born in Missouri and moved to Arizona when she was 14. 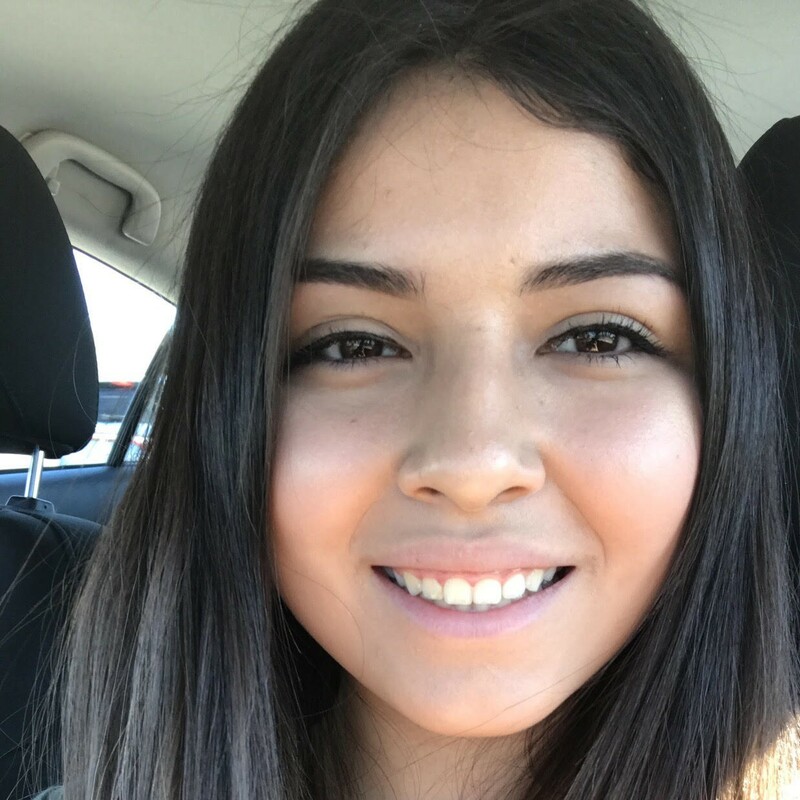 She is senior at Mountain View High School and plans to attend Mesa Community College and eventually study to be a dental hygienist. Abbie loves to cook, hang out with friends, read and draw. 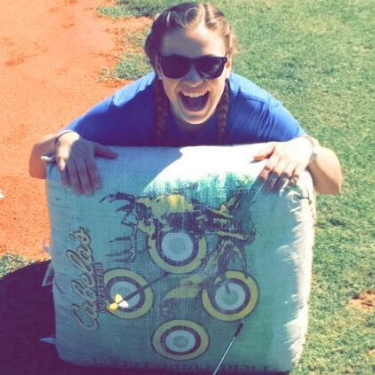 Abbie works at Hubbard because she loves working with kids and likes to see kids learn and have fun at the same time. Alexis was born and raised in Arizona and graduated from Horizon High School. 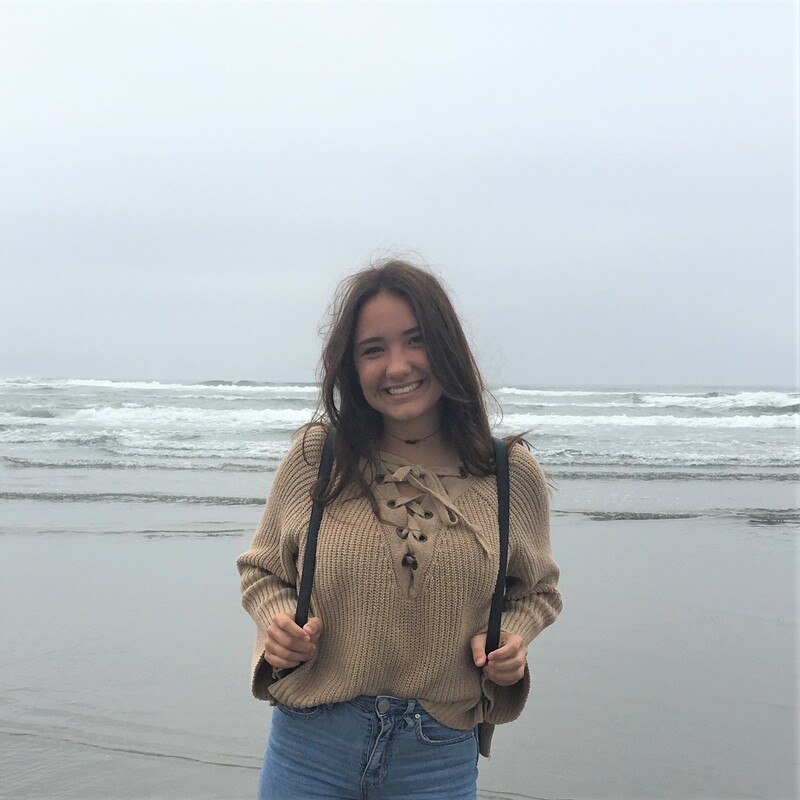 She plans on attending Duke University or University of Washington, where she will double major in Psychology and Criminal Justice, with a minor in Arabic. 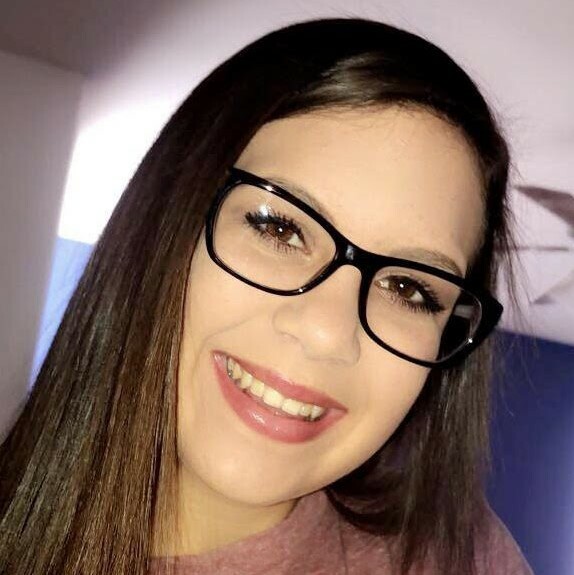 Alexis loves kids - assisting in teaching a first grade class and an autistic physical education class while in high school and for her, family is the most important thing. Alexis works at Hubbard because “I used to swim at Hubbard when I was young. All I remember was that I loved it and I always wanted to go to swim class; I want to make other children love the water and actually want to come to a class.” She joined Hubbard in July 2018. Alyssa was born and raised in Peoria, Arizona. She graduated from Cactus High School and is currently attending Glendale Community College. Her family consists of 2 older brothers and a sister. She also has 3 dogs. She is passionate about children and animals and hopes to obtain a degree in Early Childhood Education or Veterinary Medicine. In her free time she enjoys spending time with her family and watching movies. She has been a swim instructor with Hubbard since December 2016. She loves the environment at Hubbard and the kids are so fun! 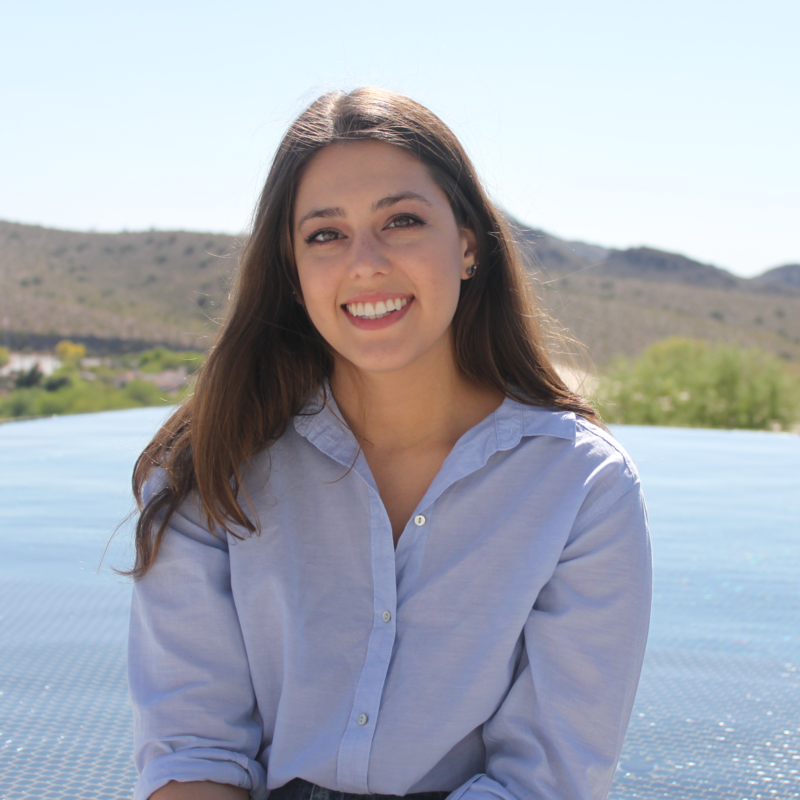 Amanda was born and raised in Phoenix, AZ and learned to swim at Hubbard! She graduated from Horizon High School in 2016 and now attends Paradise Valley Community College. Her family consists of her parents, brother and 2 French Bulldogs, Oreo and Domino. In her free time she enjoys skydiving, scuba diving, hanging out with friends and playing board games. She is passionate about kids and learning and hopes to have her own children in the future. She has been a swim instructor with Hubbard since October 2016 and loves working with the kids and watching them grow! Amber was born in Okinawa, Japan and has lived in many places including Virginia, Arizona, Nevada and South Korea. 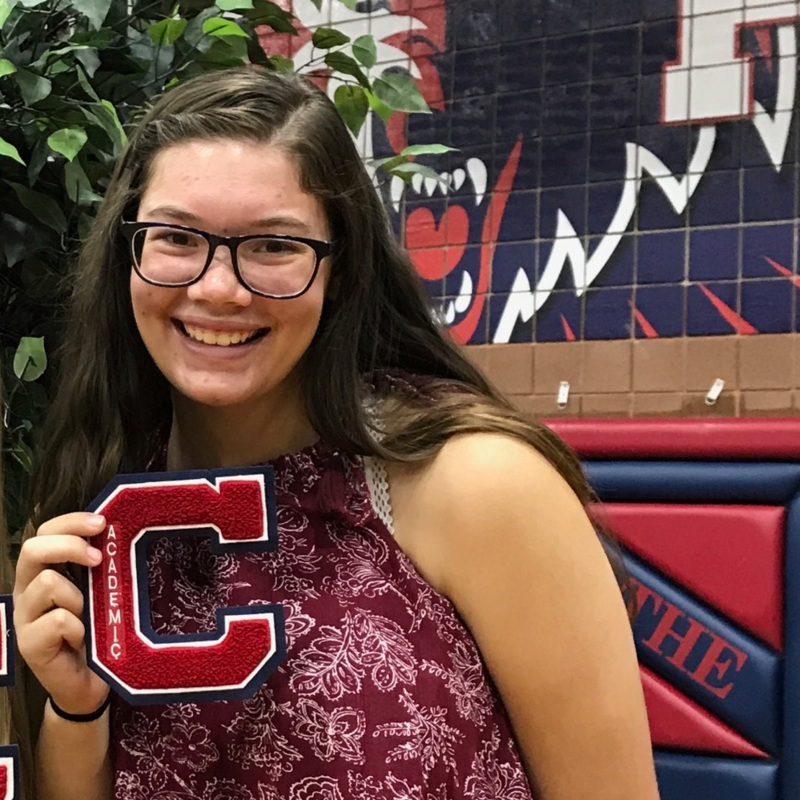 She is currently attending Centennial High School where she is a member of the National Honor Society, Math Society and the Volleyball and Softball Teams. She has two siblings, an older sister and younger brother, and they are all almost ten years apart. In her free time she enjoys traveling and playing softball and volleyball. She is passionate about helping others and giving and receiving respect. She has been a swim instructor with Hubbard Family Swim School since November 2017. She works at Hubbard because it gives her the opportunity to help children. Her future goal is to attend college and major in Political Science. Andrew was born in Apple Valley, MN and raised in Phoenix, AZ. He went to North Canyon High School and then graduated from Arizona State University with a B.A. in Integrated Studies. 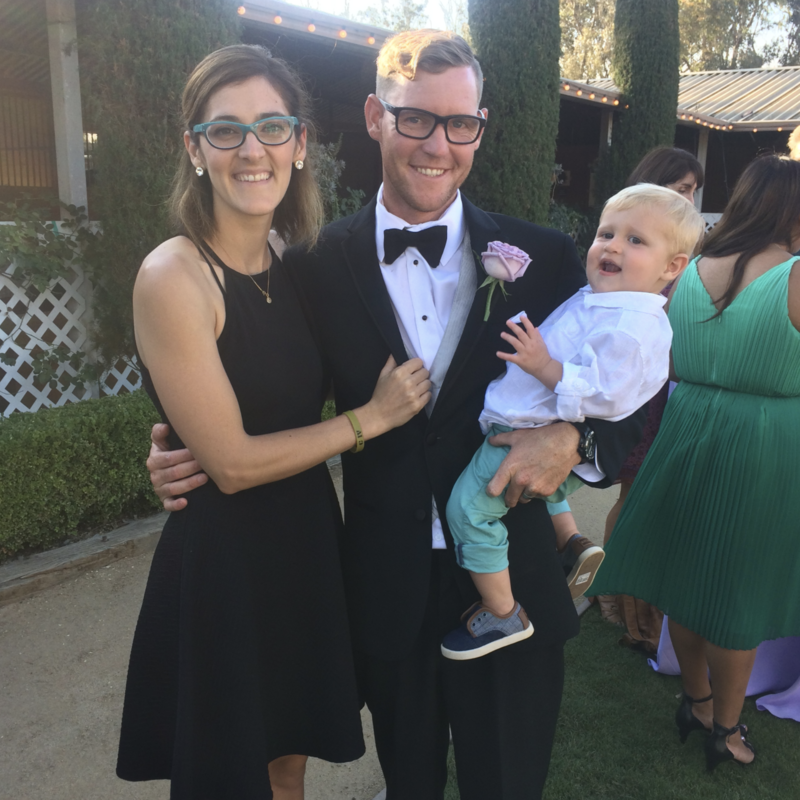 He married his wife Hillary in November 2016 and baby Hazel joined the family in 2019 changing the lives of their 2 fur babies, Juniper who is a vizsla and Pappy who is a german shorthaired pointer. In his spare time Andrew goes to a lot of concerts and enjoys hiking, backpacking, and car camping. He is always interested in trying new restaurants and is a huge Arizona Diamondbacks fan. He is passionate about music and plays the acoustic guitar and sings and has played at several restaurants and bars in Phoenix! Andrew has been a part of the Hubbard family since August of 2007. He has held many jobs at Hubbard and is currently the General Manager of the Mesa Riverview location. He loves working at Hubbard because he gets to have fun with children while teaching them life saving skills. His future goal is to backpack the entire Pacific Crest Trail, or at least the Arizona Trail. Andrew was the recipient of the USSSA Outstanding Teacher award in 2010. “Put your name on it” is a common phrase that you will hear from Ann Marie. She says it with pride because she has lived it for years and continues to do it as she works to improve and grow the Hubbard Family Swim Schools and Hubbard Sports Camps. She has put her heart and soul into the business that her parents, Bob and Kathy Hubbard, - founded years ago. 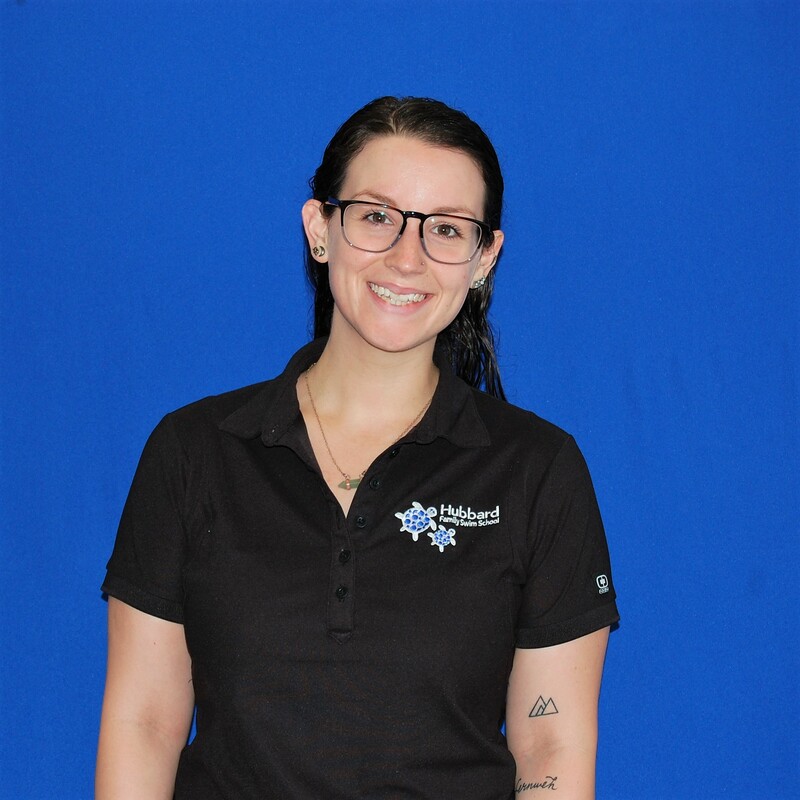 She believes that the Hubbard camps and swim schools provide tremendous opportunities that impact the families in our communities and for swim school students and campers to learn healthy life skills in a fun, loving environment. Ann Marie understands the importance of a strong business model while believing in the reason she is in business; to better the lives of children and impact staff. Ann Marie has been director of the Sports Camps since 1996 and helped her parents start the Hubbard Family Swim School in 1999. 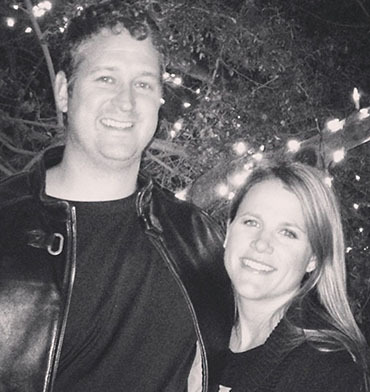 In 2004, she joined the Hubbard Family Swim School full time with her husband, Pat Sunderhaus. Ann Marie spends her summers focusing on the camps and at the swim school she helps with hiring, system development and guiding Bob, her dad. Ann Marie attended Xavier University in Cincinnati, Ohio where she earned her undergraduate degree in business. While at Xavier University, she excelled as the goalkeeper on the women’s soccer team, who were Atlantic 10 Champions her senior year. In 2015, she was inducted into the XU Hall of Fame for her accomplishments as a leader and a soccer player. 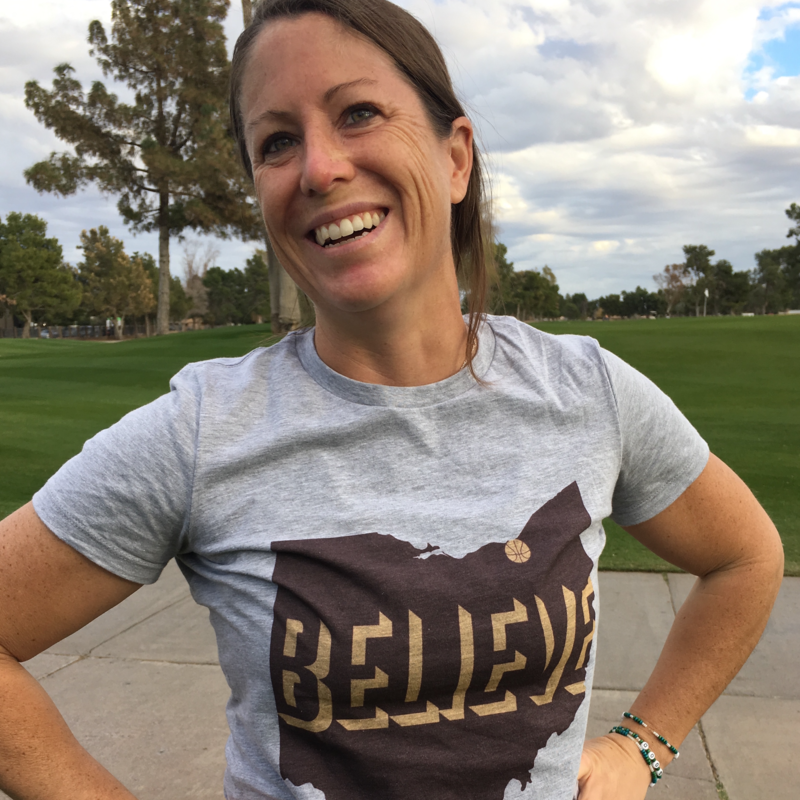 She continued her soccer career after college playing professionally with the Arizona Heatwave and the Cincinnati Ladyhawks. During that time she entered the coaching world, training youth teams and eventually finding her way back to Xavier University as the assistant coach for the women’s soccer team for four years. While coaching, she earned her Master’s Degree in Sports Administration. Ann Marie was born in Cincinnati but grew up in Phoenix. She is a graduate of St. Thomas the Apostle and Xavier College Prep. 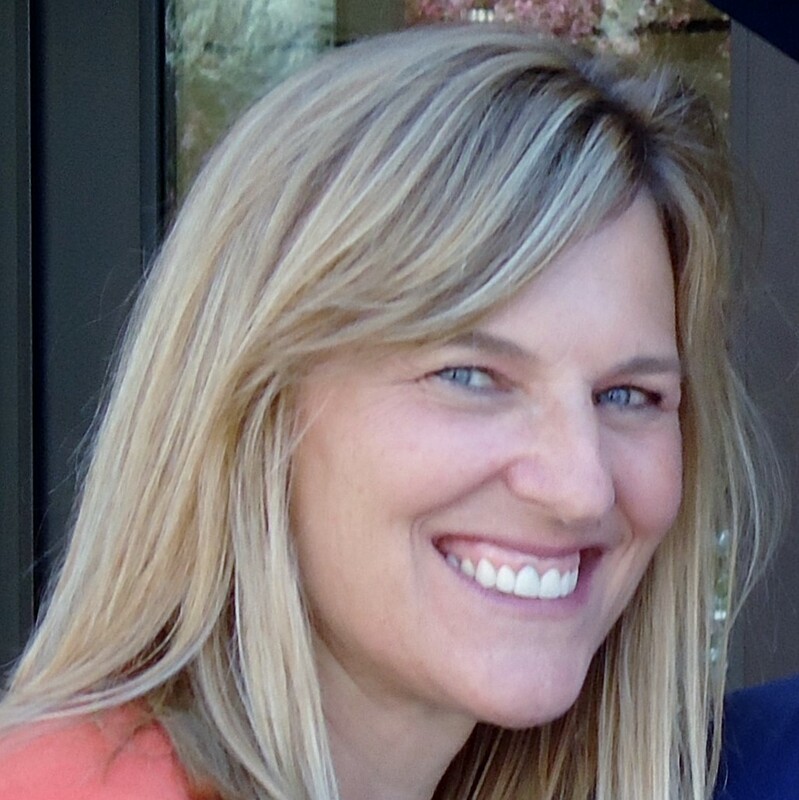 Ann Marie is married to Pat Sunderhaus, Regional Manager and Director of Operations at Hubbard Family Swim School. They are proud parents of Frank, Kevin, Molly and Travis, four great kids who love the water and a variety of sports. They love their family time and staying active. Anna was born and raised in Phoenix, AZ. She attends North Phoenix Preparatory Academy, where she participates in volleyball and key club. Anna loves to travel and be outdoors, having done a road trip over the summer crossing 10 states. She works at Hubbard because she loves to swim and be with children. Barbara is from Phoenix. She truly loves children of all ages and thinks it’s very important to always keep a positive attitude. Barbara has two fantastic grownup sons for whom she used to be a Cub Scout leader! Her favorite things to do are hiking, camping, cooking, and biking. Ben was born and raised in Mesa, AZ. He graduated from Westwood High School. While in high school he was a member of the swim team, choir, orchestra, participated in a musical production of Seven Brides for Seven Brothers and participated in track and field on high jump and long jump.He also worked as a merit badge instructor at Camp Raymond for BSA teaching rowing and canoeing. After high school he served on a mission trip and lived in Chile for 2 years! He has a large family that consists of 7 kids! In his free time he enjoys playing the piano and cello, swimming, reading, playing video games and watching anime. Ben is passionate about swimming and music. He has a personal goal to be swimming for the rest of his life and loves playing the piano for hours on end. His future plans are to attend ASU majoring in Computer Science and then continue to advance his career and provide for a family of his own. His family, church and friends are what is most important to him. 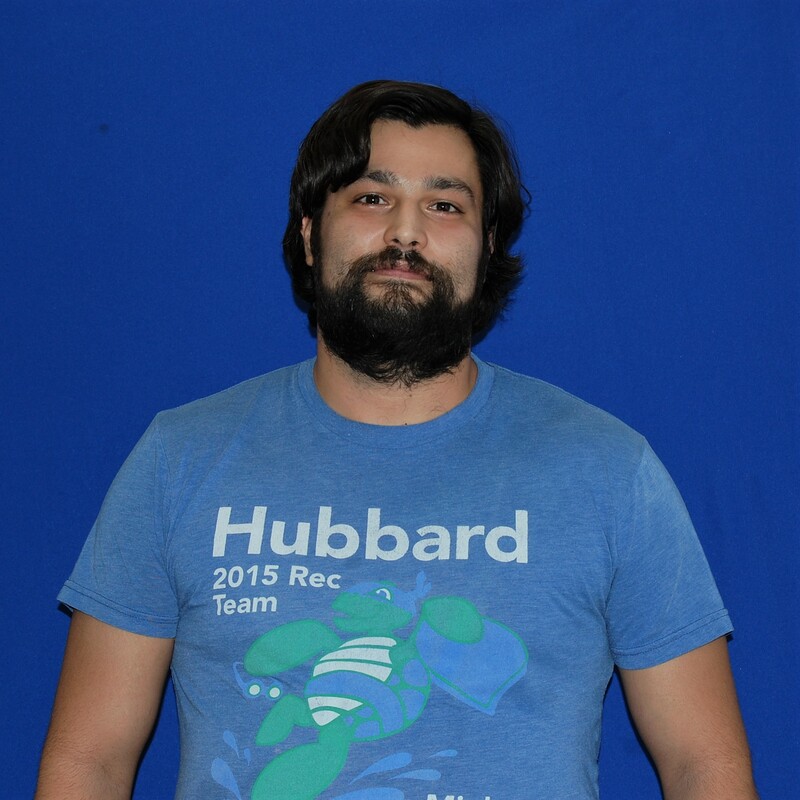 He has been a swim instructor with Hubbard since May 2017. He works at Hubbard because he enjoys working with kids and the water. Bethany was born and raised in Arizona. She is currently attending Mountain View High School and used to run track prior to her senior year. Bethany loves her game nights with her family, bike riding and spending time with her newborn niece. 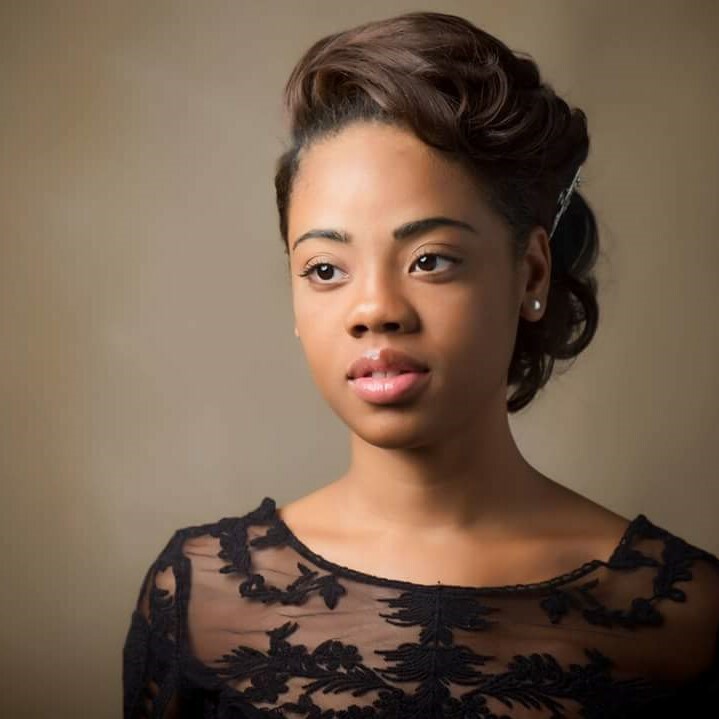 She plans to attend college and earn her master’s degree in criminology or forensics. Bethany works at Hubbard because she loves being around kids and being able to teach them new things. Blaire was born and raised in Phoenix. She spent 7 months in Cork, Ireland, studying the culture, language and dance before graduating from the University of Arizona with a business marketing degree in December 2002. Blaire does almost everything at Hubbard. She is an instructor, supervisor, and trainer. Blaire is married to Otto who used to work at Hubbard. They were the first couple to have met at Hubbard and become married. They have six beautiful children, Tommy, Maggie, Joe, Will, Rosie and Gracie. 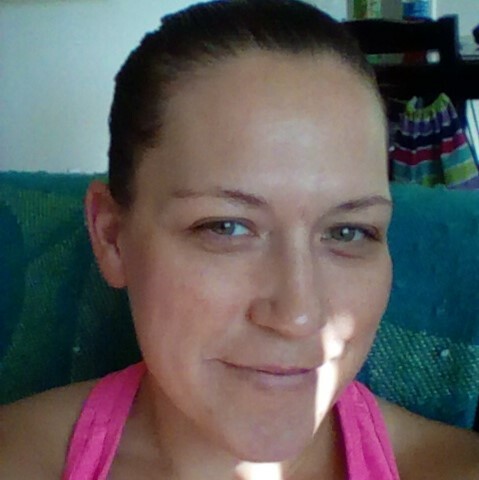 In her free time Blaire enjoys swimming, hiking, scrap booking and playing with her kids. Blaire was the recipient of the USSSA Outstanding Teacher award in 2005. 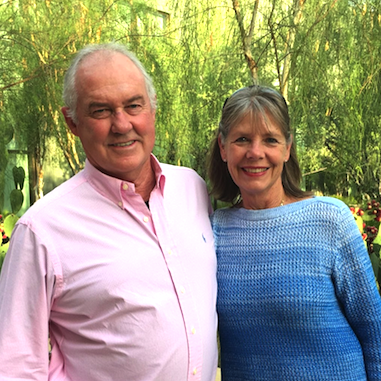 Bob & Kathy founded Hubbard Family Swim School & Hubbard Sports Camps in 1998, a job that they are grateful for every day, and which has led to many professional presentations and positions including US Swim Schools Lifetime Achievement Award. Bob’s highlights include growing up in NYC, ocean lifeguard, cheerleader, auctioneer, and music lover. His healthy passion is biking with a group of old guys that gets him out on most of the roads in Phoenix. Bob earned his undergraduate degree from Xavier University in psychology(1973) and a law degree from the University of Cincinnati (1976). He worked as a lawyer and as an executive in a variety of industries including homebuilding, life insurance and hotels. 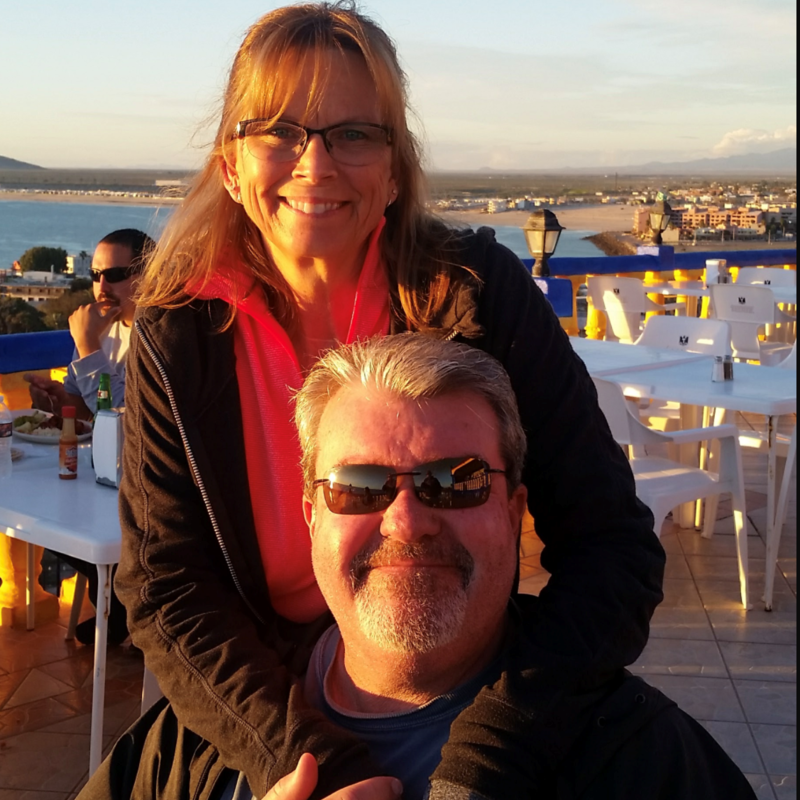 Kathy’s highlights include NAUI scuba certified (1967), Olympic Trials (1968), XU Athletic Hall of Fame (1985) and living life with 8 children all involved in sports of some sort. 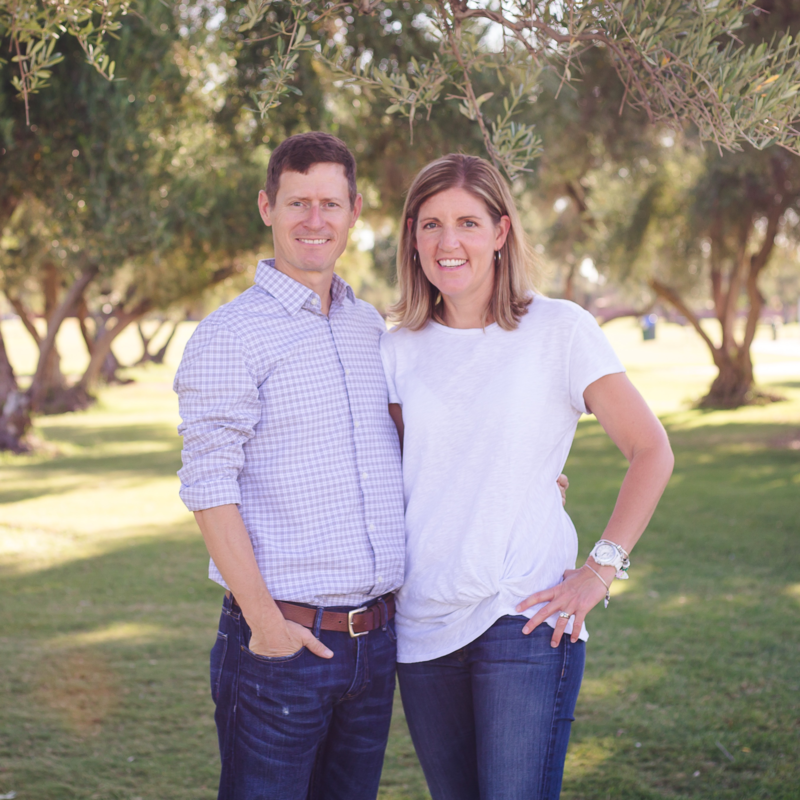 The 90’s found Bob and Kathy Hubbard in Phoenix, running Swim Programs and Summer Sports Camp at Phoenix Swim Club. In 1998 Bob and Kathy founded the first Hubbard Family Swim School location and Hubbard Summer Sports Camps. Kathy and Bob are seasoned presenters of the Infant Toddler Workshops and the business and management aspects of the Learn To Swim business and are requested speakers throughout the USA and the world. They now have 4 swim schools with over 150 employees. 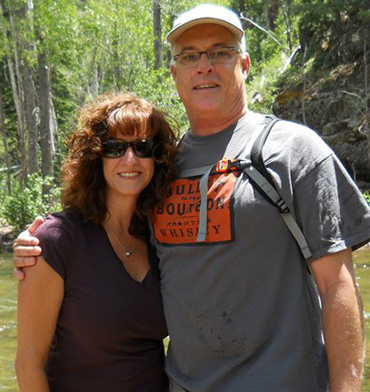 Bob and Kathy love to travel, learn and share their enthusiasm for the swim school industry. They have 8 children and 21 grandchildren. Boston was born and raised in Mesa, AZ. She is entering her Senior year at Mountain View High School and plans to study nursing and interior design when she graduates. During high school, Boston was active in Cheer, leading as Cheer Captain her junior year. She enjoys watching movies and hanging out with friends. Boston works at Hubbard because she likes to be around kids - She has younger siblings and is a tumbling coach for little kids. Boston joined Hubbard in July 2018. Breana was born in Illinois and moved to Arizona when she was 7. 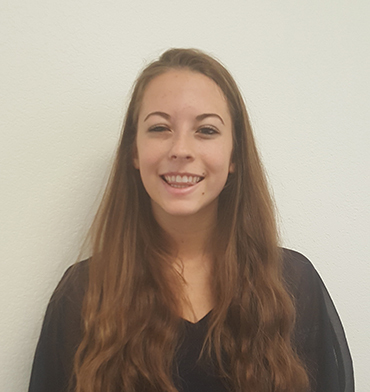 She is currently attending Willow Canyon High School, where she is active with swim and student council. Breana has been a participating in club swim for the last 9 years. Breana works at Hubbard because she loves teaching kids how to improve their swimming and their techniques. Brenda was born and raised in Mesa, AZ. She studied theatre and dance, as well as helped found the Mos Eisley Base - at Star Wars Themed costume group. Brenda loves to read, watch TV and movies and write. She works at Hubbard because she has loved Hubbard since her daughter started as Little Snapper - “Everyone was so kind and the atmosphere was so positive. How blessed am I to get to work in such an awesome place?” For Brenda, family is most important and she tries to find the best in all parts of her life. 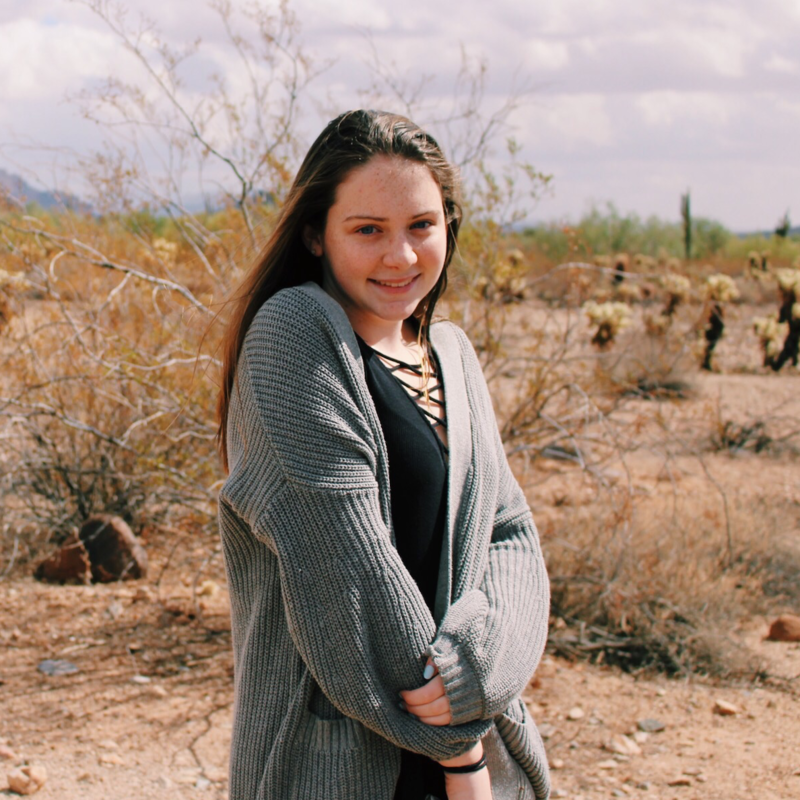 Brianna was born and raised in Phoenix, AZ where she attended Cactus High School and participated in Student Council and the COOP Program. She has three older siblings, two brothers and one sister. 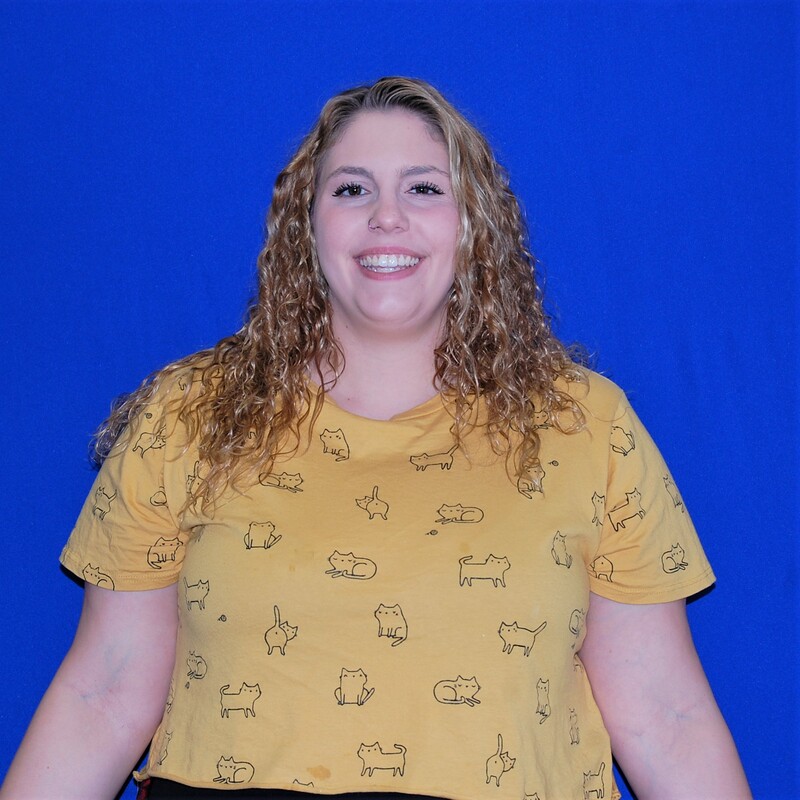 Brianna has been a Swim Instructor with Hubbard since May of 2015 and she chose to work with us because she enjoys working with little kids and she loves swimming! Brianna feels that the safety of children is extremely important. In her free time, Brianna likes to play soccer and listen to music. Brit was born and raised in Arizona. 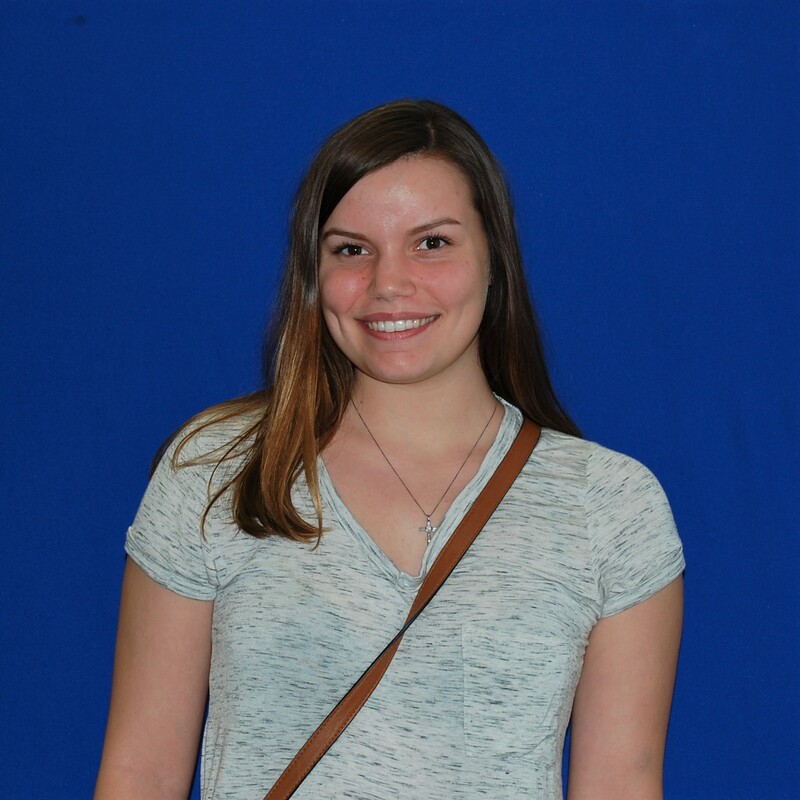 She is currently enrolled at GCC working on her Associates degree in Early Childhood Education. Her next goal is to obtain a Bachelor’s degree in Elementary Education. She has a twin sister named Brec and yes, they have played tricks on people! Her favorite hobby is singing and she has been practicing since she was little. She also loves to play any type of sport even if she is not good at it. In her spare time she likes to go hiking and go on any type of adventures with friends and family. One of her favorite vacations so far has been her trip to Poland. She went for two weeks with a girls group she was singing with. They were on tour and technically working but it was an amazing experience that she will never forget. In high school she played volleyball, soccer, track and field and choir. She also helped coach soccer with her mom when she was not playing sports. She has a pitbull named Jax that is her baby and she has had since 4th grade. She is passionate about making people happy. Whether it is through teaching or music she just wants to impact people in a positive way. Her future goal is to move to Hawaii and become an elementary school teacher. They are in desperate need for teachers there and she would like to help and live like she is on vacation. She has been working for Hubbard since January 2014 and wears many hats there. She can be seen in the snack bar, daycare and in the water teaching swim lessons.She loves working for Hubbard and impacting children’s lives in a positive way. She feels it is such a blessing to teach them life survival skills. Brooke was born in Portland, Oregon where she lived for 18 years. 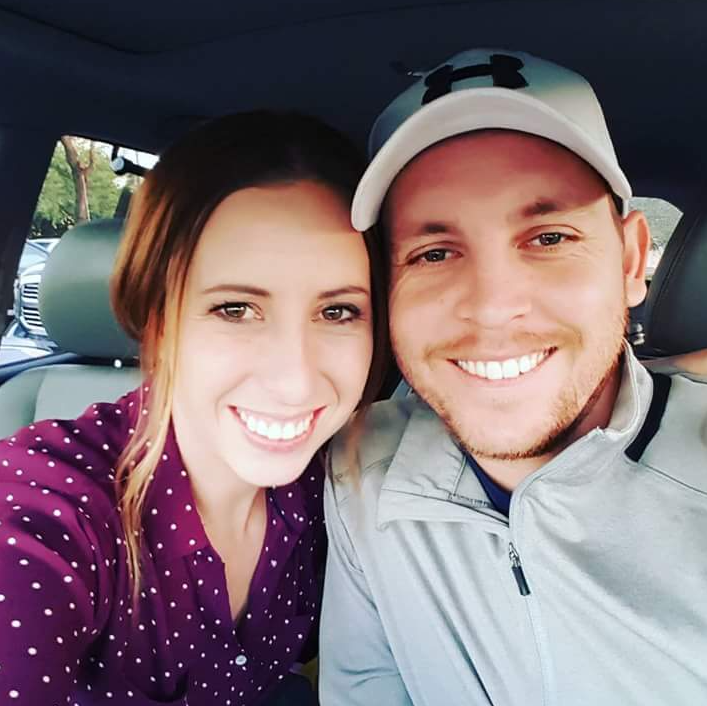 She met her husband in Southern California and then moved to Southern Idaho, until they moved to Phoenix, Arizona! Brooke attended Mt. SAC college and got her associates in Kinesiology. Her dream was to become a dietitian, but over the years fell in love with Hiring and recruiting. I recently had a baby but plan to go back and finish my degree in Business focusing on Human Resources. Brooke grew up with a single mom. “To this day, she is still my very best friend. Growing up I played on a travel softball team. Almost all of my memories from the age of 7-17 consist of summers spent in different states, weekend spent on the fields, and weekdays after school training. I currently am training for a marathon. So, running is definitely my thing! I also enjoy hiking, swimming, anything outdoors, and cooking! Carmella was born and raised in Phoenix and has also lived in California. She attended Apollo High School where she played water polo and was on the swim team. She also attended Phoenix College and Scottsdale Community College. Carmella's family consists of her brother, her sister and her husband, Paul. 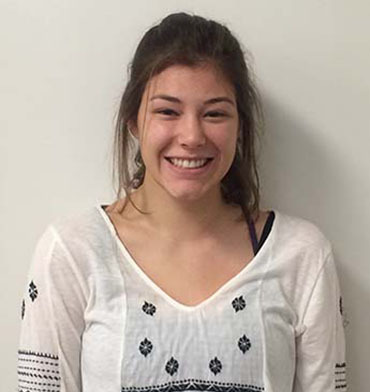 Carmella enjoys reading, drawing, surfing and paddle boarding. Family is very important to her. 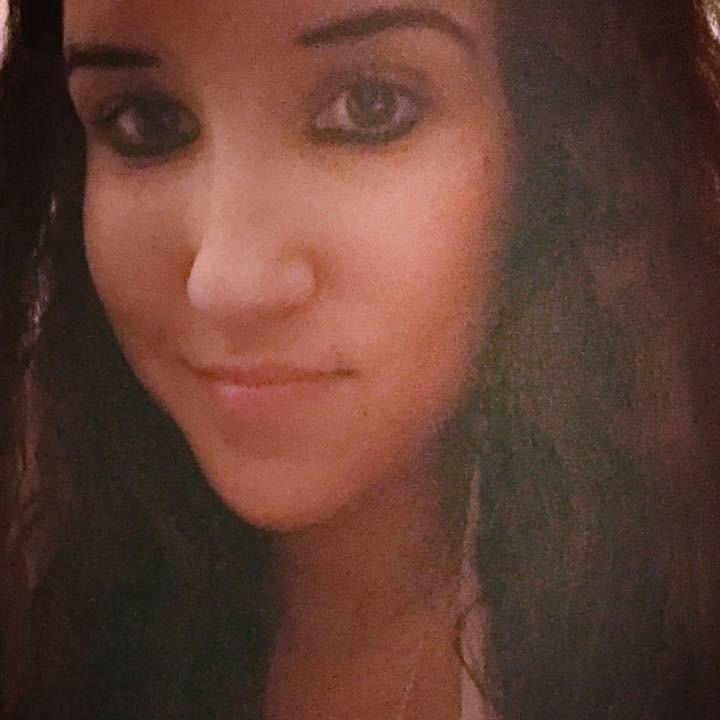 Carmella works at Hubbard because she loves helping people to overcome fears and accomplish lifelong skills. Caroline was born and raised in Indianapolis, Indiana. She moved to Arizona to attend Grand Canyon University, where she is majoring in Elementary Education with a Spanish minor. Caroline loves to surf, hike and snowboard - anything adventurous or outdoors! She is the oldest of five girls and loves traveling and seeing the world. 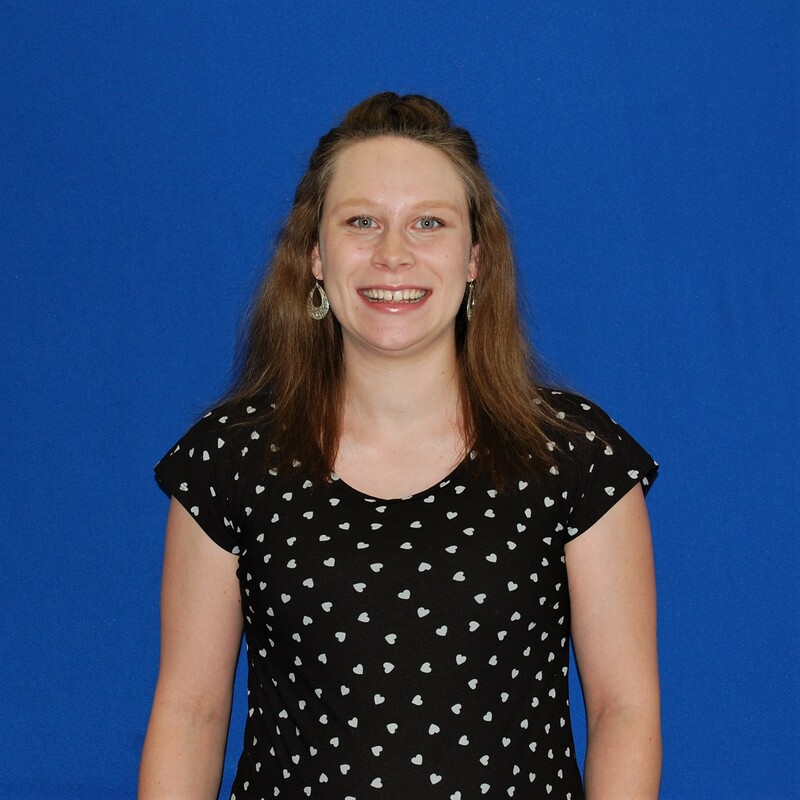 Caroline works at Hubbard because she has a passion for teaching children. Carrie is a Phoenix native. She attended Xavier College Preparatory for High School and NAU and ASU for college. She and her husband Mike, have 5 children ages 14-25. Carrie is the oldest of 9 children! Growing up in a big family has instilled a sense of family being a priority. In her spare time Carrie enjoys hiking, making photo books of her family's adventures, attending an occasional book club with friends and most of all traveling with family. “We hit the beach whenever we can and travel to great places we can hike.” Carrie works at Hubbard because of its family environment and she truly believes how important swim lessons are for kids. Cassio is from New York City. Cassio’s family includes his wife of 41 years, Noel, their two children Tara and Cassio, both teachers and their 6 grandchildren (Chase, Rylan, Aviana, Adelyn and a baby to show up in Sept). He worked for the City of Phoenix Aquatics for 22 years as a WSI and LGT Instructor, and pool manager. 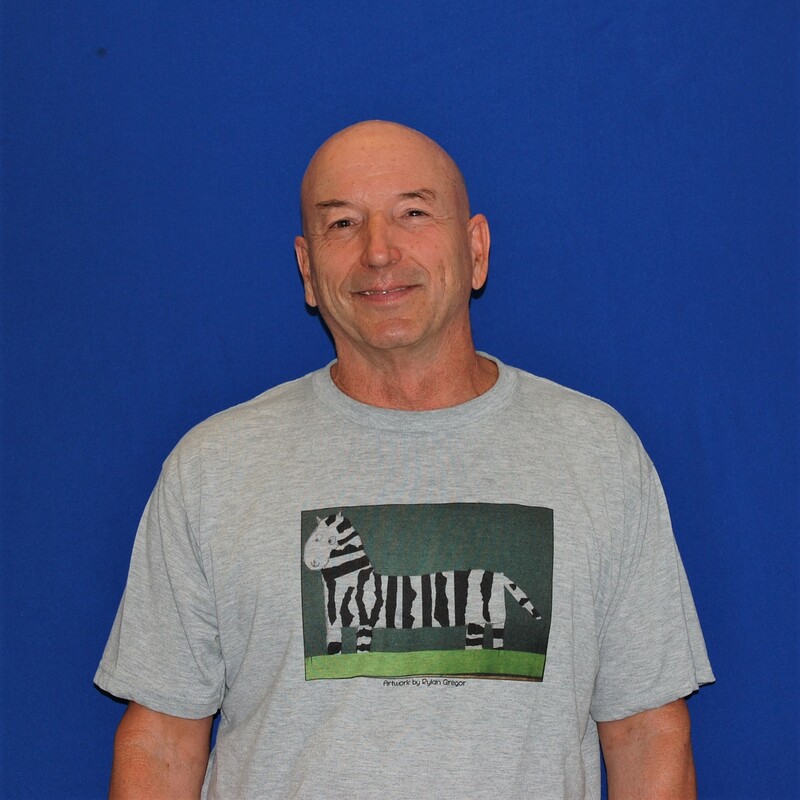 Cassio is a retired high school teacher of 36 years,currently teaches for Rio Salado Community College and is an assistant soccer coach for Goldwater High, where his son is the head coach. He enjoys scuba diving, juggling, running triathlons, rooting for his LA Dodgers and traveling. This past year included a trip to the Galápagos Islands. 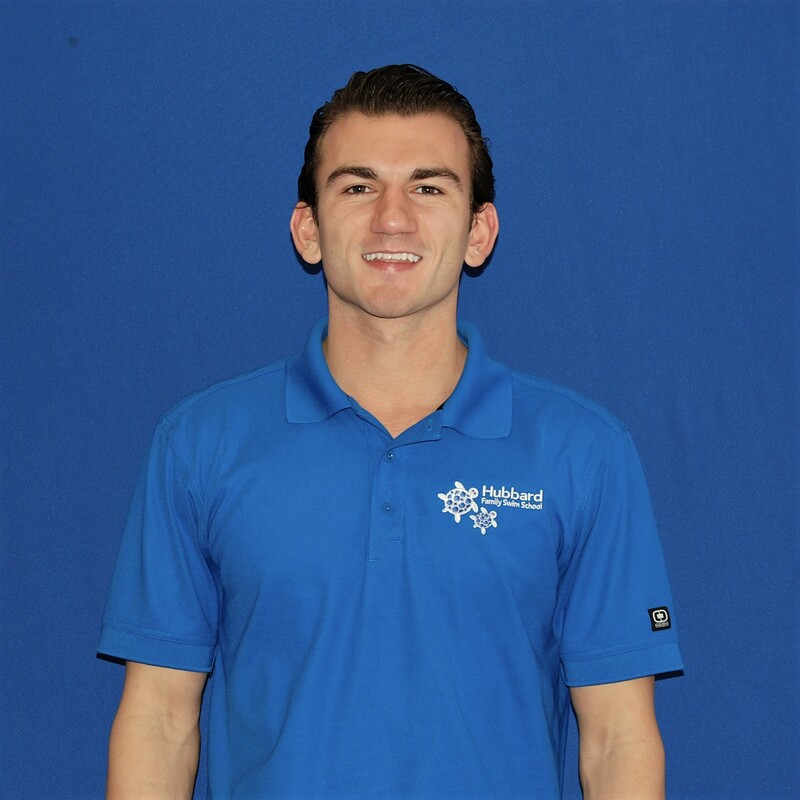 Cassio was the recipient of the USSSA Outstanding Teacher award in 2009 and currently helps the Hubbard program by teaching Lifeguard Training to staff. Chad was born and raised in Arizona. He is currently a senior at Horizon High school and is on the swim team. He has one younger brother, Chase. Chad enjoys swimming and traveling. He has been to 10 countries. Having fun and being close to friends and family is very important to him. He works at Hubbard because he enjoys working with kids. 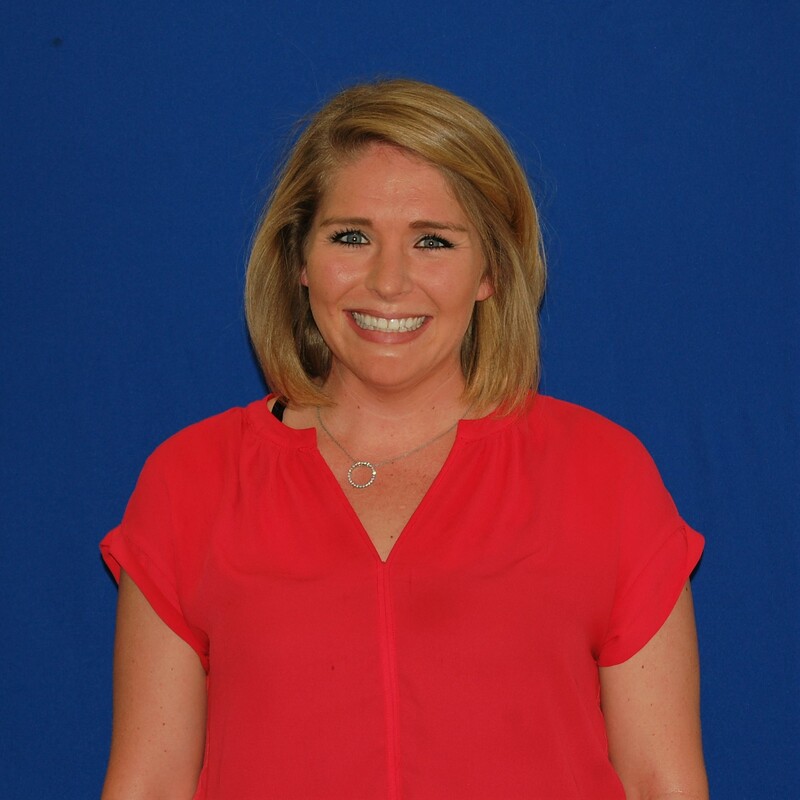 Chelsea grew up in Peoria, Arizona and attended NAU in Flagstaff, where she earned a bachelor’s degree in journalism. She enjoys hiking and throwing pottery on the wheel. Chelsea is also loves DIY - whether it is upcycling furniture or building new pieces from scratch. She grew up swimming and has always been drawn to the water. Chelsea loves working with children and making a difference where she can. Chris was born in southern California and was raised in Sierra Vista, AZ. He attended the University of Arizona where he graduated in 1995 with a degree in business. Chris has two children, a daughter, Carsen, and a son, Kellen. Chris enjoys watching football and his favorite team is the Sea Hawks. His family is important to him. As a parent he will do all he can so his children can maximize their potential in life. His kids have attended Hubbard and he is so happy to be a part of the HFSS team! Chris was born and raised in Phoenix. 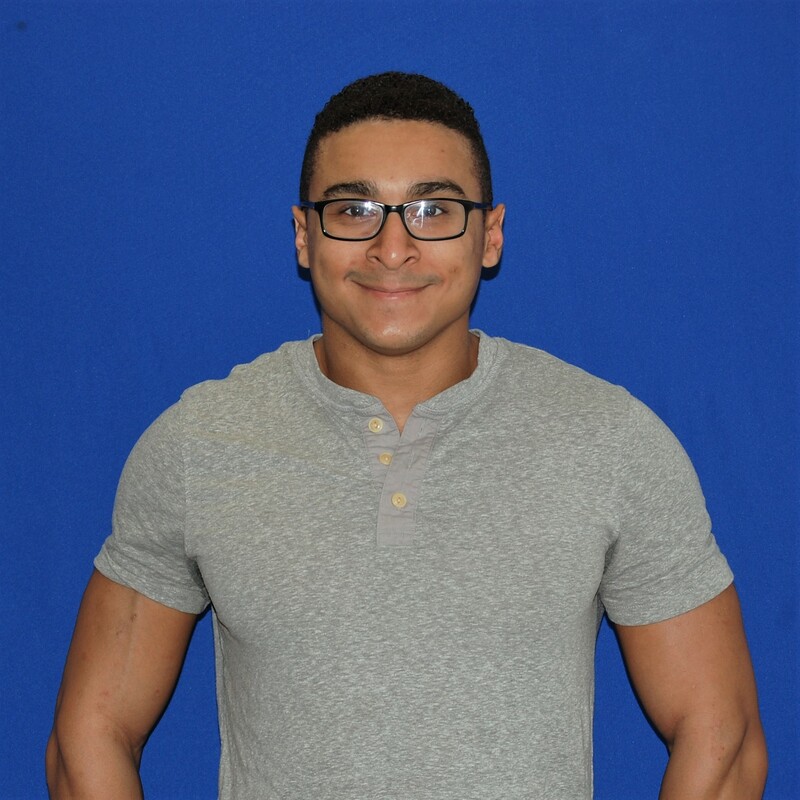 He attended Greenway High School and is now attending GCC and majoring in communications. Chris has two older brothers. Chris enjoys martial arts, music and reading. He believes that it is very important to always help others. He works at Hubbard because he loves working with kids! Christopher was born and raised in Phoenix, AZ. He graduated from Paradise Valley High School where he participated in marching, concert and jazz band all four years. He was also on Varsity Swim all four years at PVHS! 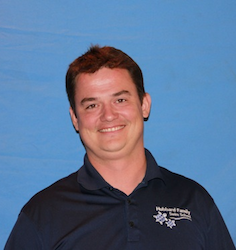 Chris has been a Swim Instructor with Hubbard Family Swim School since April 2015. He is an only child and lives at home with his mother. Chris feels that a job, no matter how small, should better the world in some way. He really enjoys working with children for many reasons, one of the greatest things about them is that they have a refreshing outlook on life. Claudia was born and raised in Phoenix, Arizona. She has one younger brother who she says is fifteen going on three. She will be starting her senior year at BASIS Phoenix in the fall. Claudia enjoys watching and playing all sports, even golf! She swam with Phoenix Swim Club for four years and with Moon Valley Country Club for one year. She works at Hubbard because she used to attend our Sports Camp and she loves it! She also loves working with kids. Claudia feels that good experiences are important as well as bad ones, bad experiences can help you learn and have better experiences in the future. Cody was born and raised in Phoenix, AZ and attends Notre Dame Prep. 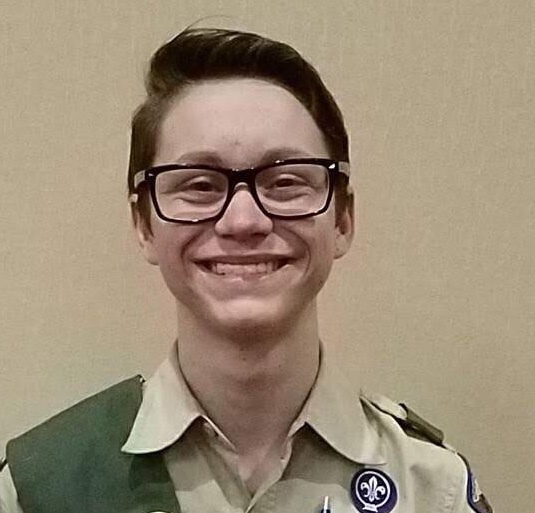 He is an Eagle Scout, enjoying hiking, camping and anything outdoors. He also plans on obtaining a Masters in Astrophysics and interning with NASA or SpaceX. 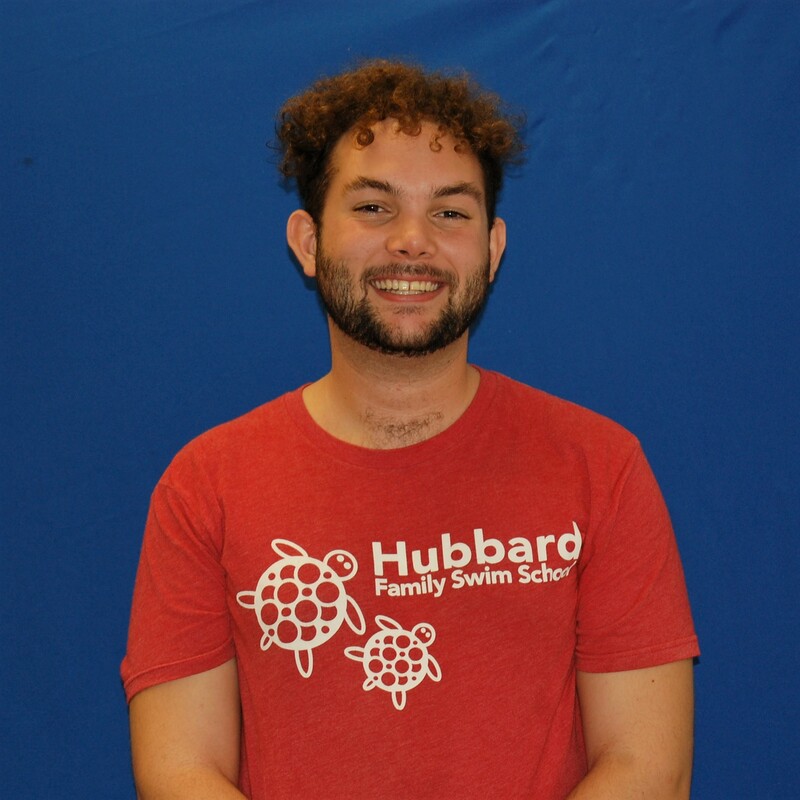 Cody began his Hubbard journey as a student when he was just four months old and spent summer 2018 at Camp Hubbard teaching swim. Danica grew up in Richland, WA and moved to Arizona to complete her Master of Fine Arts at ASU. She enjoys exploring Phoenix, making artwork, hiking and camping - a lot of artwork stems from being outdoors. Danica is the oldest of four - twin brother and sister, and one younger brother. Her parents are awesome and wear many "hats". Danica works at Hubbard because she likes the community approach of swim instruction - Kids make me smile, I love making learning fun, and I think it is a strength of mine. Danielle was born and raised in New Hampshire and moved to Phoenix, AZ in 2015. She attended Colorado Technical University for college and received a Bachelor’s in Criminal Justice with a concentration in Cyber Security. She is currently pursuing her MBA with a concentration in Human Resources. She has been married to her husband, an Army Veteran, for 10 years and they share a son together. Her son swims at Hubbard and was just moved up to a Hammer Head! In her free time she enjoys kayaking with her husband and son and collects Wonder Woman items. She is very passionate about her family which includes a cat, 3 dogs and a ton of fish! She was drawn to working at Hubbard because of the family feel and the support that each employee provides to each other. 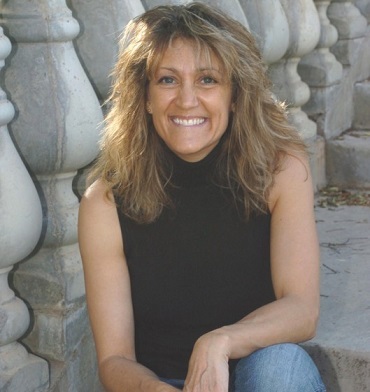 Deb was born and raised in Pueblo Colorado before moving to Phoenix. She is married with 5 wonderful kids and blessed with 3 amazing grandkids! "Life is good!" Deb has been with Hubbard Family Swim School since August of 2000. She has an education background in child development, physical fitness, and an associate's degree in business. 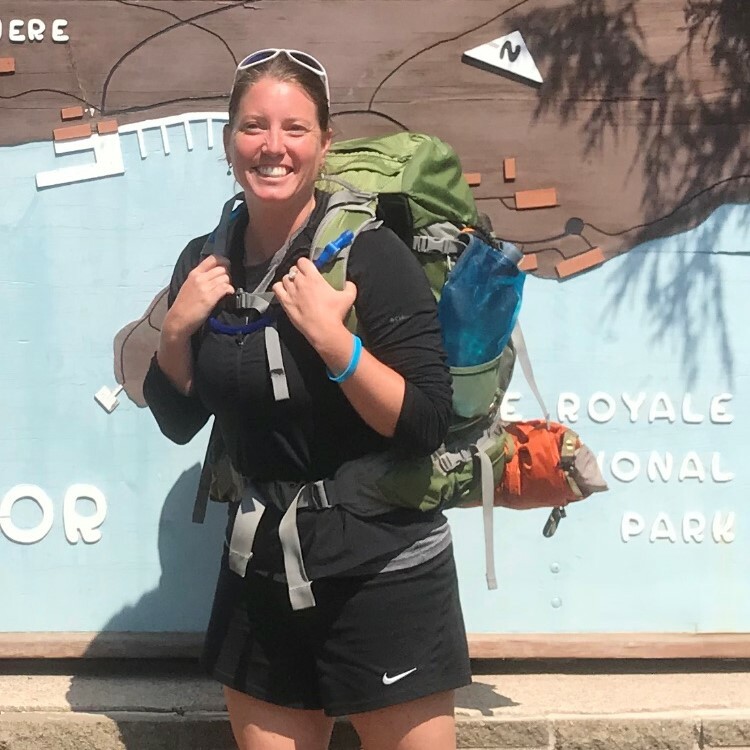 She has competed as a tri-athlete and enjoys mountain climbing, backpacking, running and photography. Learning and teaching is her life's passion and these come to life in the water and the wilderness. Her teaching philosophy is: To teach, inspire, motivate, and encourage all children and parents. NEVER underestimate anyone's ability! Deb was the recipient of the USSSA Outstanding Teacher awards in 2004. Destanie was born in Rio Rico, Arizona and raised in Phoenix, Arizona. Her father was in the army, so she has moved around to various places - Georgia, Colorado and California. 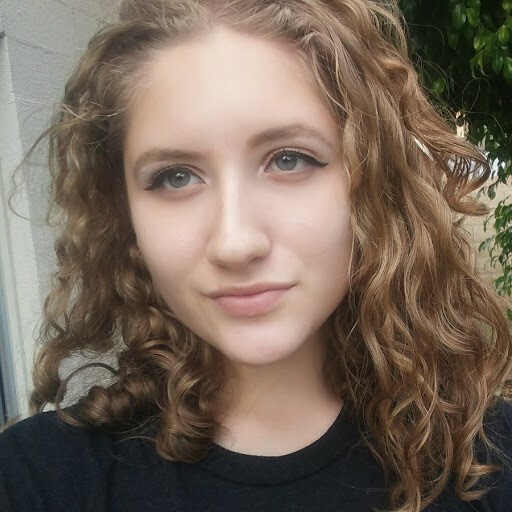 She graduated Cactus High School and attends Glendale Community College, where she is majoring in AAS Emergency Response Vehicles to be a paramedic. Her mother is most important to her, as her mom pushed her to succeed and never give up. Destanie works at Hubbard because she wants to help kids and gain new experiences working with children. 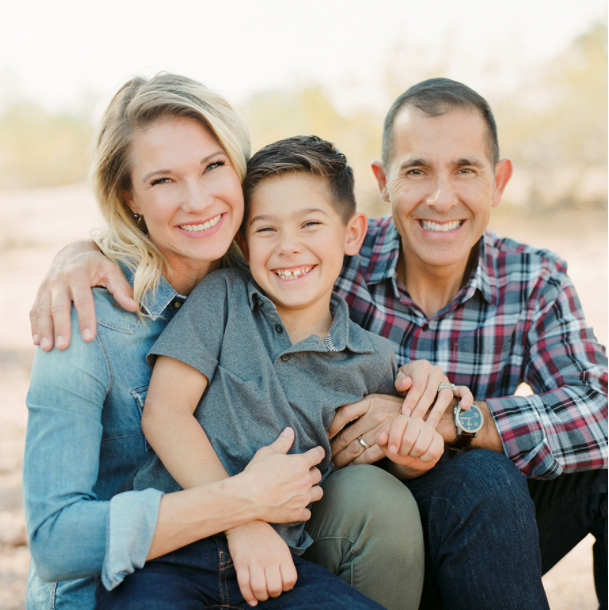 Ed was born in Phoenix and is the baby of a family of six – four boys and two girls. Ed studied Early Childhood Development in college; which comes in handy when teaching his students. 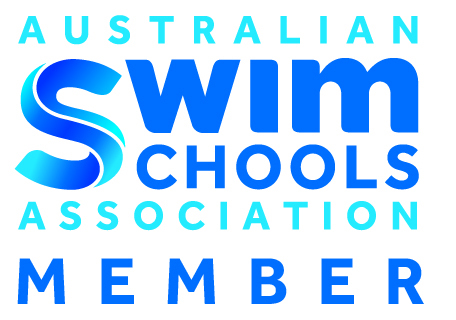 Ed taught swim lessons in Australia from 2002-2003. Ed was the recipient of the USSSA Outstanding Teacher award in 2004. His teaching philosophy is to find and expect the best out of each student while encouraging individuality. He enjoys volleyball, building anything, and hanging out with his wife Christine and their 5 children. Emma was born and raised in Arizona. She loves spending time with her family, and has three younger siblings who are all very close. She will be finishing her senior year in high school, where she takes part in sand volleyball and academic decathlons. She has played indoor and sand volleyball competitively for 5 years! 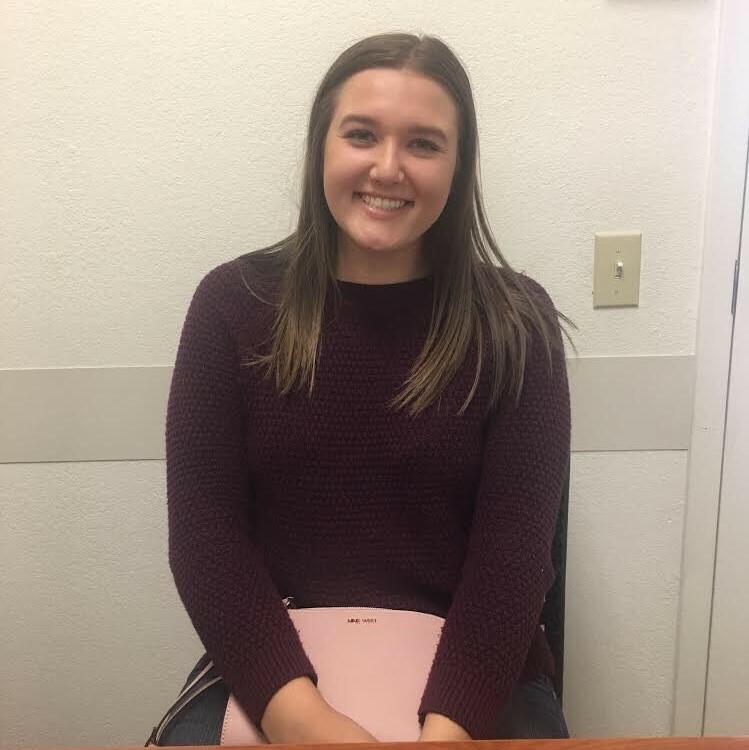 Emma is an avid reader and will be attending ASU in the fall studying Speech and Hearing.. She works for Hubbard because she loves working with kids and knows her actions can touch the lives of others in positive ways. 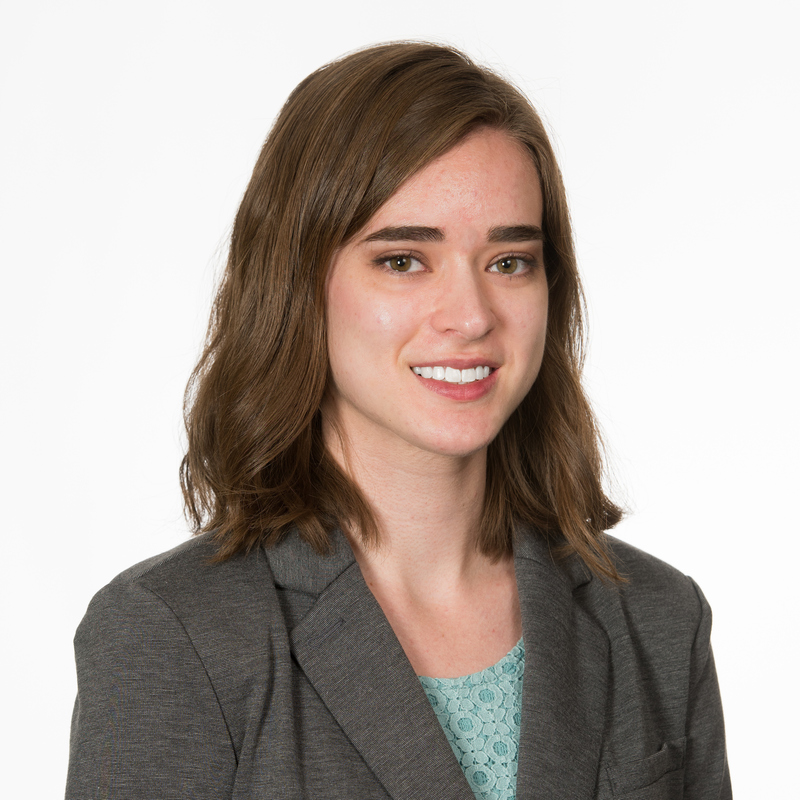 Erin was born and raised in Farmington, New Mexico. She graduated from college with a Bachelor of Arts in Spanish with a minor in Linguistics. She also obtained an Associates of Arts in Baking and Patisserie. Prior to having her first son she worked as a baker in some of the finest restaurants in Phoenix. She married her husband in 2013 and had her son, Oliver, 2 years later. Her second son, Asher, joined the family in 2018. Her family also includes 2 dogs, Henry and Daisy. In her spare time she enjoys baking, hiking in the mountains and reading. 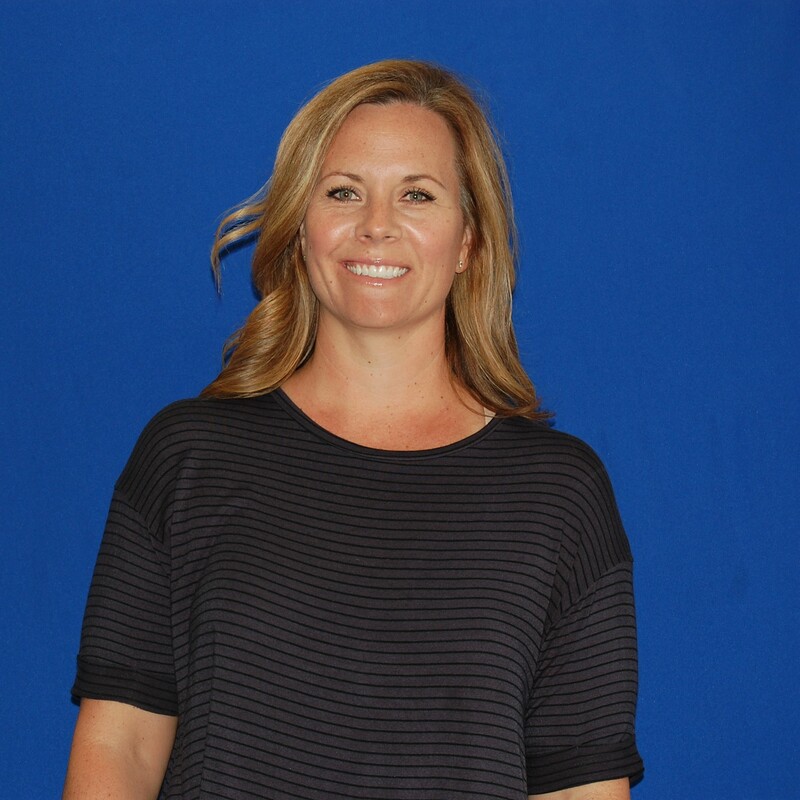 Erin is from Phoenix and graduated from Xavier College Prep in 2001. 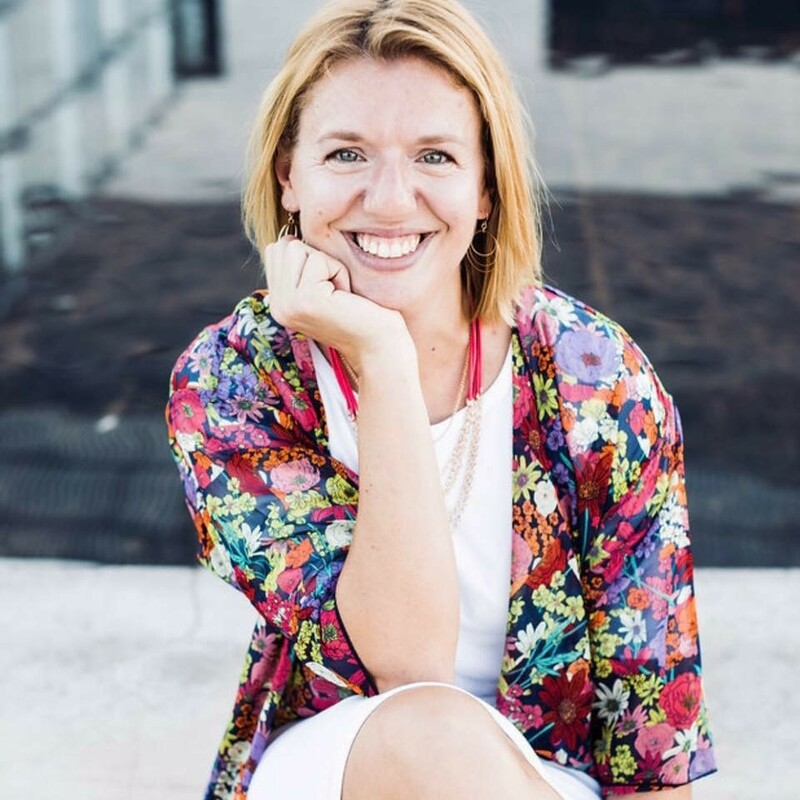 She competed in swimming at Penn State University and graduated with a major in English and Journalism and then taught kindergarten in VA for a year. Erin was the recipient of the USSSA Outstanding Teacher award in 2008. Erin was born and raised in Phoenix. She graduated from Shadow Mountain High School. Erin is the oldest of three with two younger brothers. She is very close with her family. Erin is an avid traveler. She also enjoys paddle boarding, painting, drawing and anything related to art. Family is very important to her. She prides herself in her family values and is happiest when spending time with family. 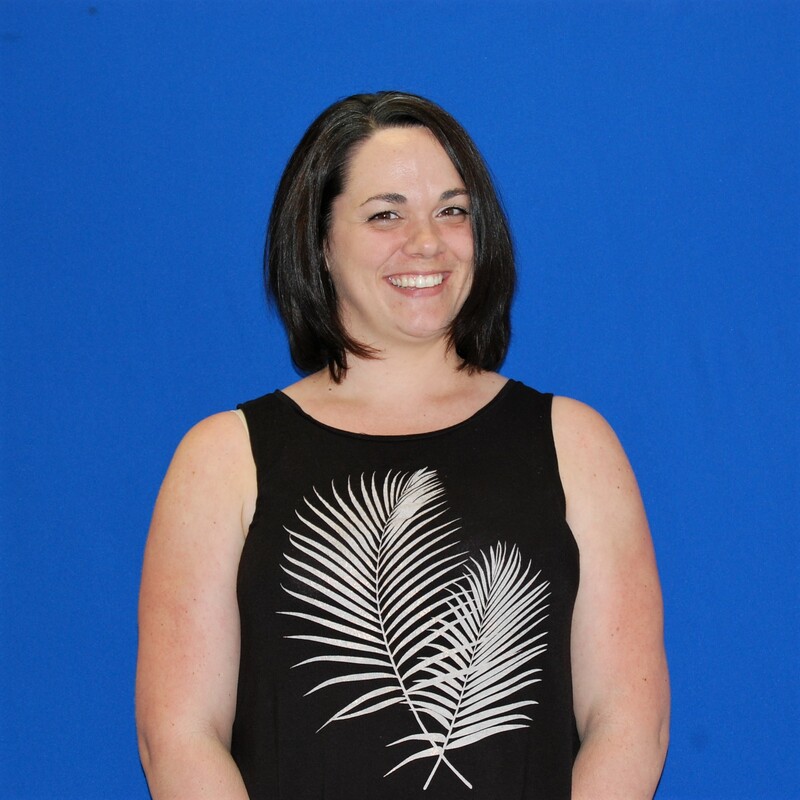 Erin works at Hubbard because she enjoys the positive energy from the students and staff. She received the USSSA Outstanding Teacher award in 2016. Erynn was born in Dallas, TX and raised in Glendale, she also lived in Prescott for five years. She graduated from Embry-Riddle Aeronautical University wit a BS in Global Security and Intelligence Studies and with a minor in Criminal Psychology. She is an only child. Her family consists of her boyfriend and their beautiful son, Jax, and their whippet mix dog, Layla. Erynn loves adventure. She enjoys swimming, hiking, world travel, and exploring different cultures. Her favorite places to visit are Italy, Ireland, Austria, and Austin, TX. Family, friends, and having a positive attitude are very important to her. She works at Hubbard because she loves the fun family environment. She enjoys making kids smile and have a great time while they learn new skills. She also loves the positive energy from the kids and staff. Esther was born in Washington but lived most of her life in Wilsonville, OR. She was homeschooled K-12th grade and attended Clackamas Community College at the age of 17. She has been a swim instructor with Hubbard since September 2015. She has 3 sisters and a brother and three children with her husband. Her hobbies include anything crafty such as sewing, knitting, crochet, doing puzzles and reading. She is passionate about swimming and loves to teach swim to children. Hubbard is the perfect job for her because it gives her the chance to pass her love of swimming on to children and teach them to respect the water. Fernanda was born in California and moved to Arizona when she was 6 years old. She is attending Kellis High School where she is the Vice President of DECA and also involved in Cross Country. 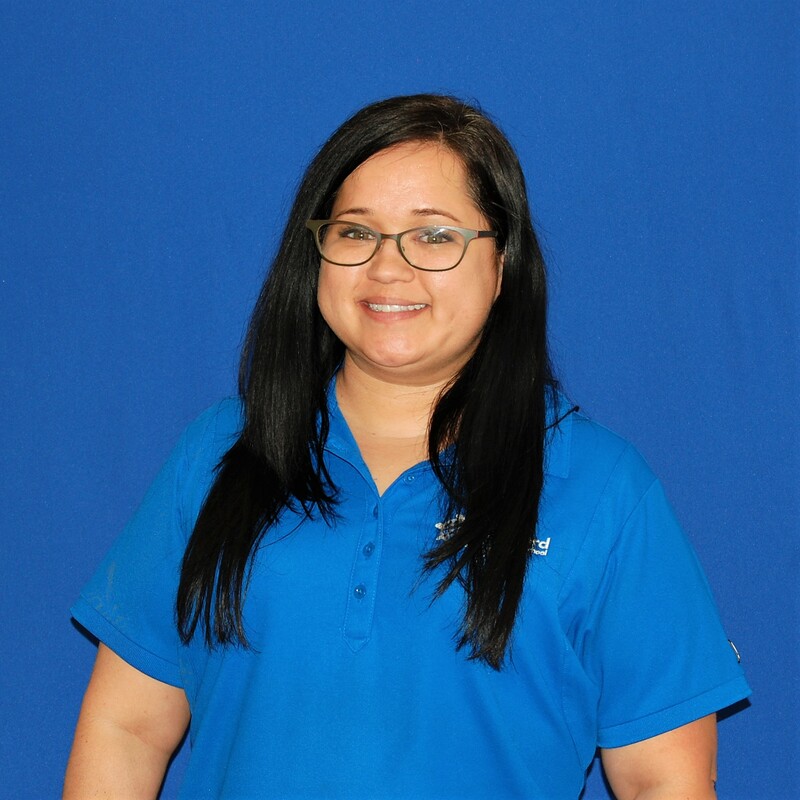 Fernanda is a Swim Instructor with Hubbard and chose to work with us because she loves having the ability to teach a valuable skill to children and make a difference in a child’s life. Fernanda says that family is most important to her, she has a 5 year old sister and a 15 year old brother. In her free time, Fernanda likes to read! She also really enjoys participating in DECA which she has been involved in since her freshman year. Gabrielle was born and raised in Long Island, NY. She graduated from St. Joseph’s University with a BA in Secondary Education. She furthered her education at Stony Brook where she received a Masters Degree in Liberal Studies with a concentration in Math. She was a teacher for two years in New York and developed a passion for sharing knowledge in a fun way! She believes getting the children to have fun while they are learning ensures they will succeed. She comes from a family of three children that includes an older brother and younger sister. Her hobbies include traveling, photography, camping and cooking. Since moving to Arizona, she has made it her goal to travel to the surrounding areas as much as possible including California, Mexico, Nevada, Utah and Colorado. 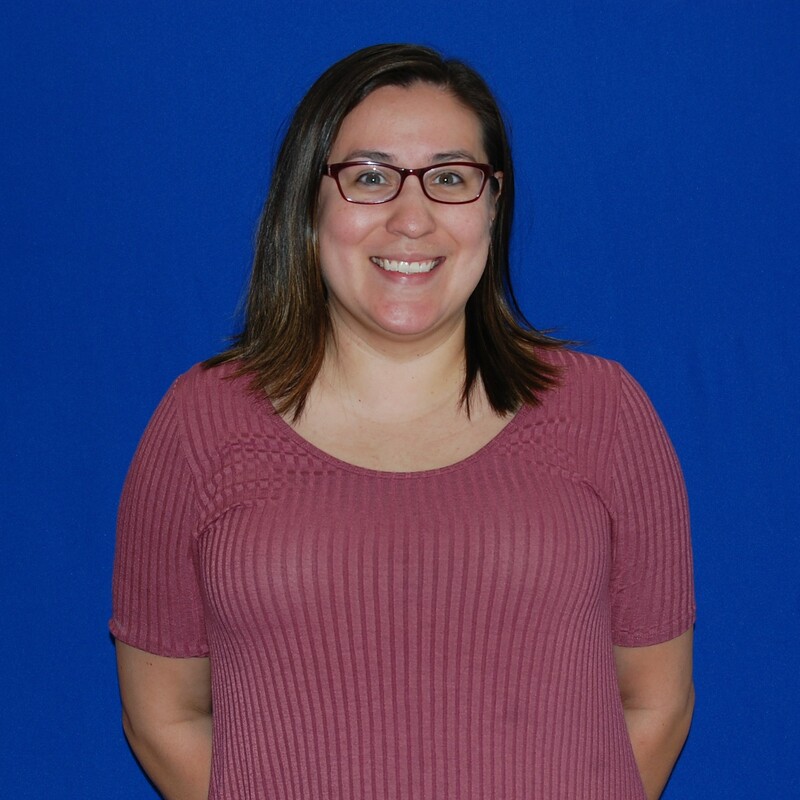 Gabrielle has been at Hubbard since February 2016 and wears many hats that include: swim instructor, Booking Center, Site Supervisor and Assistant General Manager at Riverview. She loves Hubbard for the family values of the business! Grace was born and raised in Phoenix, AZ. She attended Bourgade Catholic High School where she was a member of the swim and basketball teams and performed in the Fall Play and Spring Musicals. 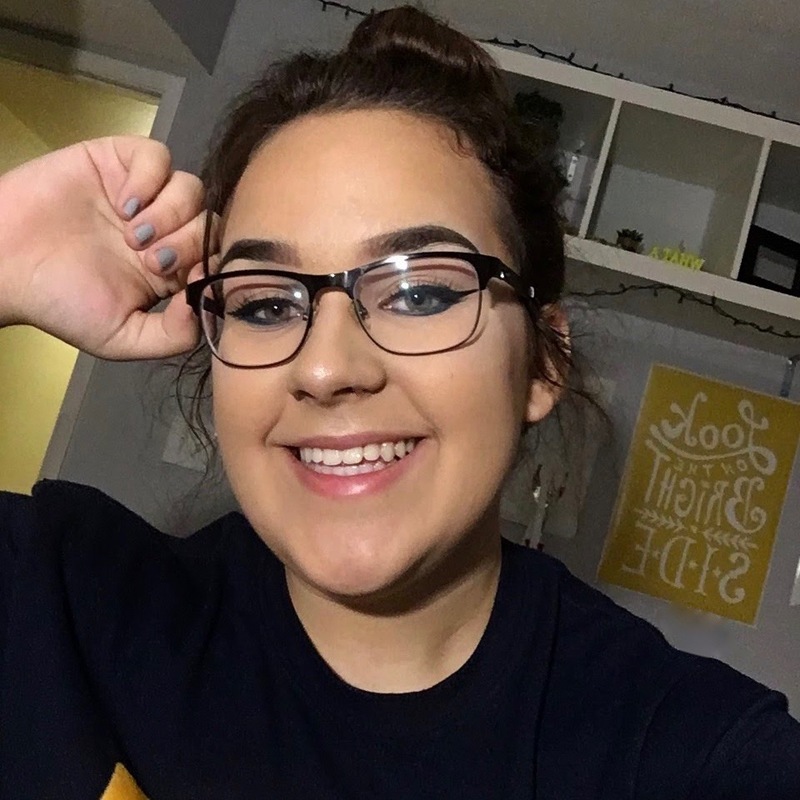 She is currently attending Grand Canyon University and Majoring in Early Childhood Education and is part of a mentor program within her degree. She is the fifth of five children born from two amazing parents. All of her siblings have worked for Hubbard Family Swim School or Sports Camps! “My sister, Melissa, started the 'tradition', and we all followed! My oldest brother, Kyle started the camp tradition; I was even one of his campers for a day! Zach and his wife are one of the "Hubbard couples," and they were just blessed with their second child! My closest brother, Jake, just graduated from GCU, where he swam for four years.” She has been a counselor at Hubbard Sports Camp for three years and is continuing on with the swim school. 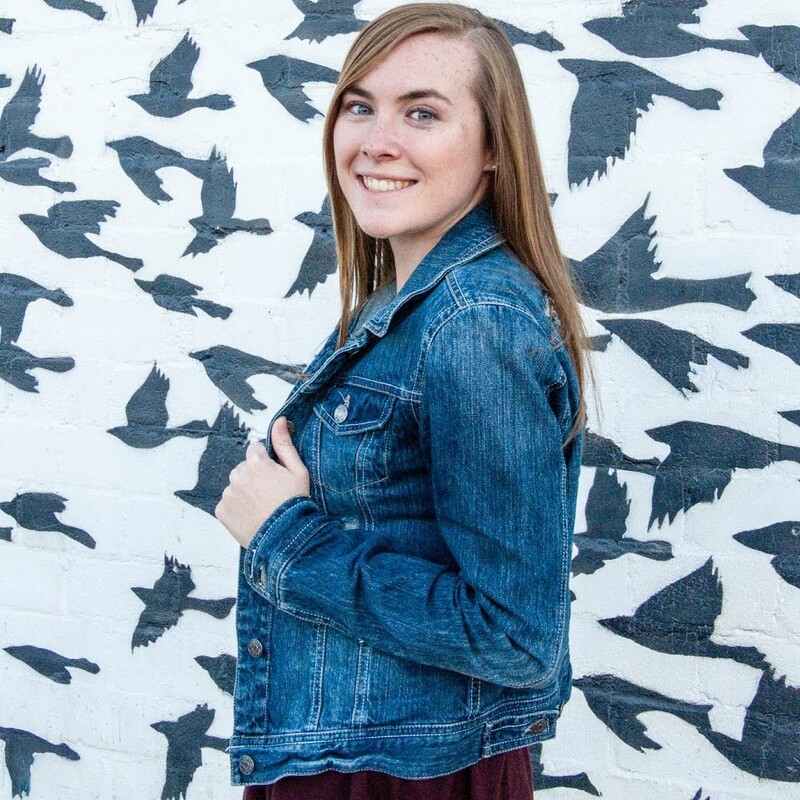 Grace was born and raised in Arizona and is currently pursuing a Marketing Degree at ASU. She was a competitive swimmer and enjoys spending time with family and friends. One of her favorite vacations is with family to Dana Point, CA, where they spend the whole vacation on the beach and participating in the annual buoy swim. Halle was born and raised in Phoenix, AZ. She is currently a Senior at Sandra Day O’Connor High School. 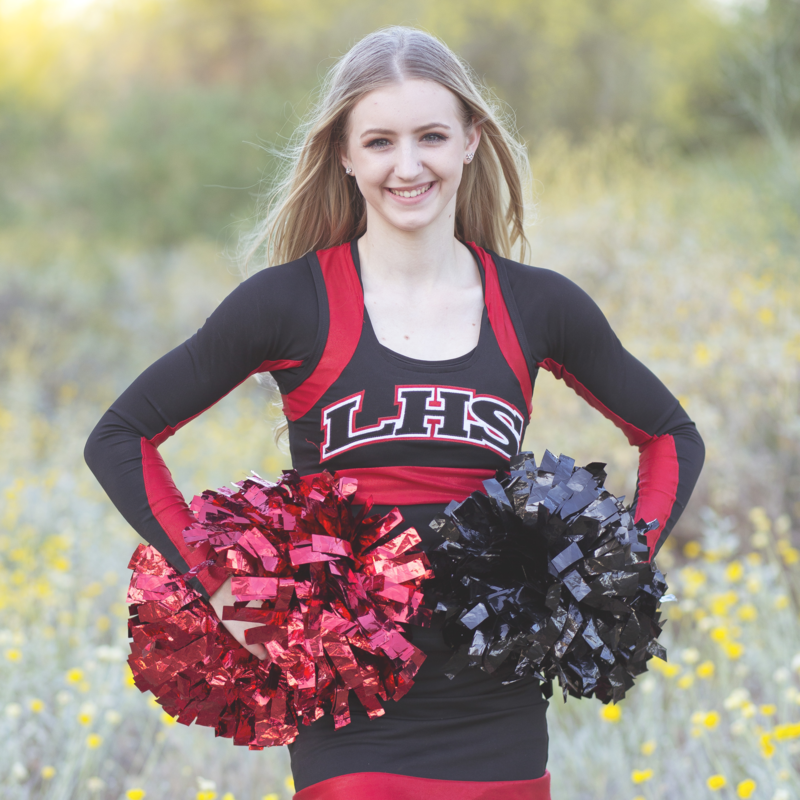 After graduation she hopes to attend GCC and U of A. She wants to pursue a career in medicine and hopes to be a Pediatric Heart Surgeon. She is swim instructor, deck sub and works the front desk at Hubbard. She has worked for Hubbard since February 2016. She has one brother named Aaron. In her free time she loves to sing, read, write and go shopping! She is passionate about her family, friends, laughing and good food. She wants to work at Hubbard because she wants to be responsible for teaching kids skills they will use for the rest of their lives. 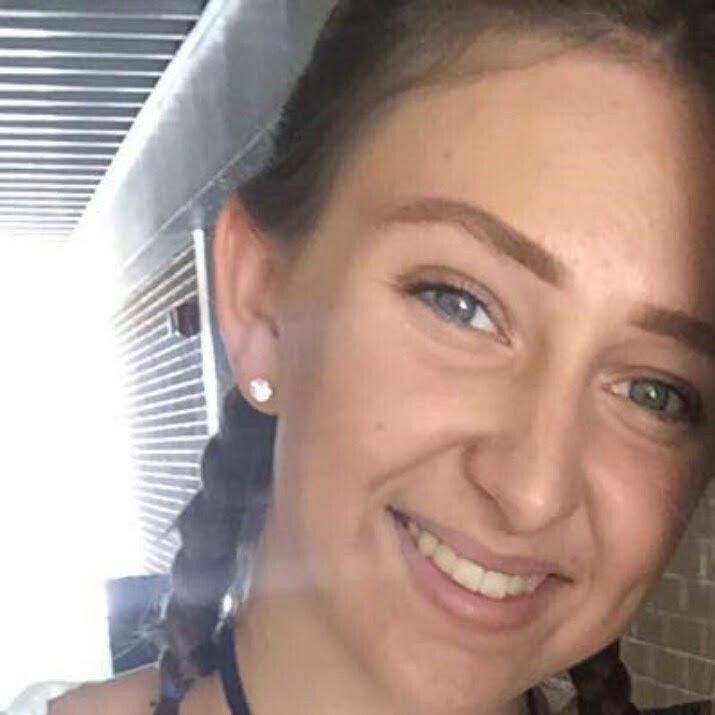 Hannah was born in Melbourne, FL but was raised in Laurel, Montana. She attended high school at Highland Senior High School where she played Varsity Volleyball and was a Cheerleader. She is the middle child of 2 brothers and 2 sisters and has one daughter, Hartley. In her free time she enjoys cooking, baking and reading. She is passionate about instilling a love for books and reading in her daughter. She reads to her everyday and believes all parents should start reading to their children at a young age. Her future goal is to return to school and get her BSN. 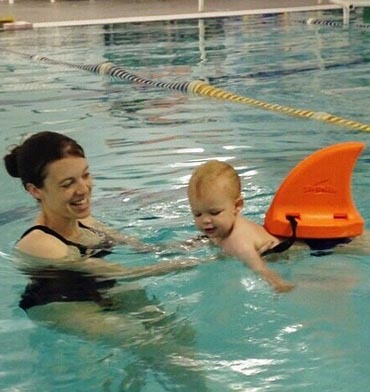 She first came to Hubbard Family Swim School with her daughter in a Baby Splash class and fell in love with the positive environment at Hubbard. She now teaches Little Snapper and group classes! 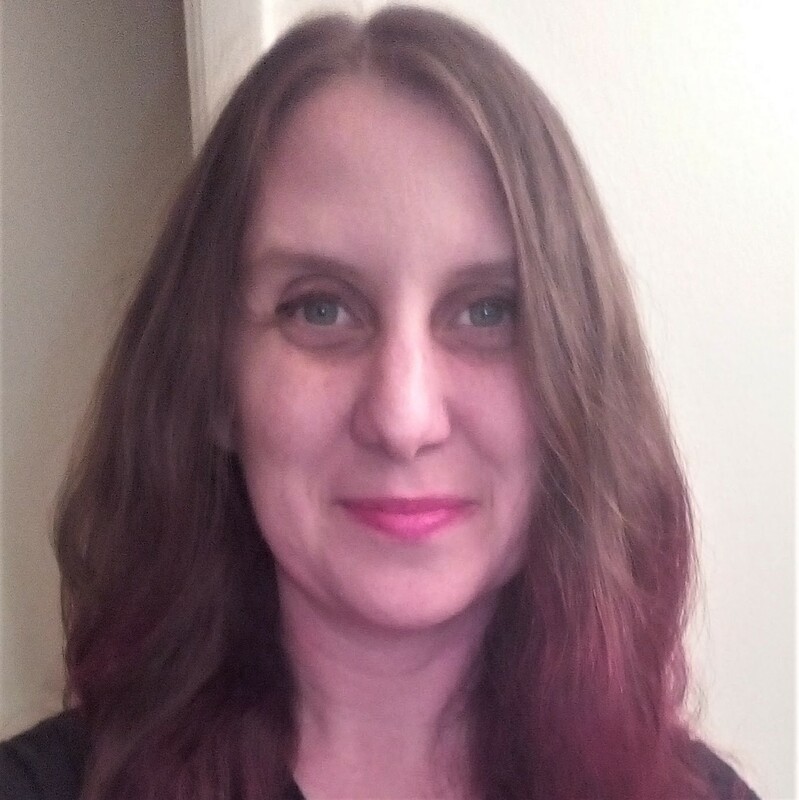 Hillery was born and raised in Phoenix, AZ. 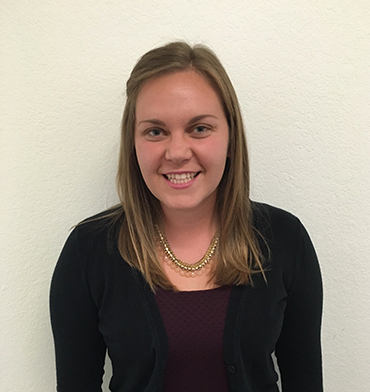 She attended college at Northern Arizona University and graduated with a degree in Elementary Education. She has a loving husband and two wonderful boys. In her free time she enjoys going to movies and cuddling. She loves organizing things too! 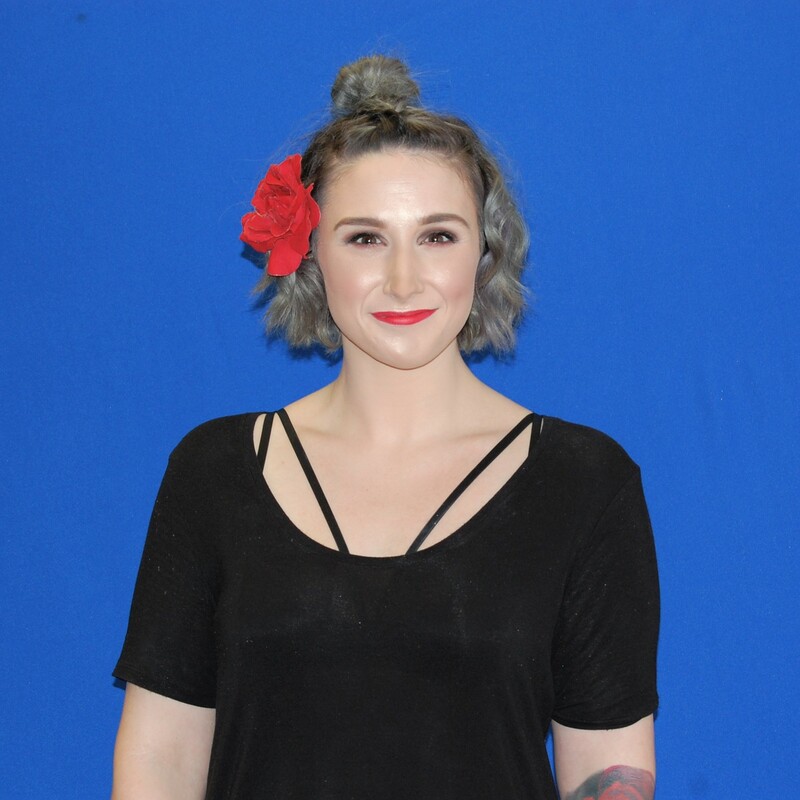 Hillery has been working in the Booking Center and Front Desk for Hubbard since January 2017. She believes in the Core Values of Hubbard Family Swim School and appreciates that her children have a love of the water from learning to swim here. Izzy was born and raised in Phoenix, Arizona and is currently a sophomore at Pinnacle High School. She is a member of student government, the mental health awareness club and played volleyball for eight years. Izzy looks forward to college and having the opportunity to travel as much as possible. Izzy works at Hubbard because she loves working with kids and the vibe at Hubbard is positive and fun! Jane was born and raised in Los Angeles, CA. She is #9 of 11 children! She loved growing up in a big family. They often headed for the waves at Santa Monica Beach and all grew up swimming, diving and some even did water ballet! They enjoyed singing as a family and once appeared at the Hollywood Bowl! She and her husband Steve have 4 children who are all on their way to becoming adults. Their children all grew up swimming for the Marlins swim team at PCDS here in Phoenix and all swam for Arcadia High School. Every summer she and her siblings, and their husbands and wives carry on the family tradition and head to the beach and let the 26 cousins jump the waves. She has been a CASA (court appointed special advocate) for the past 6 years. She has had 6 children, one at a time, from extremely sad, tragic and unbelievable circumstances. 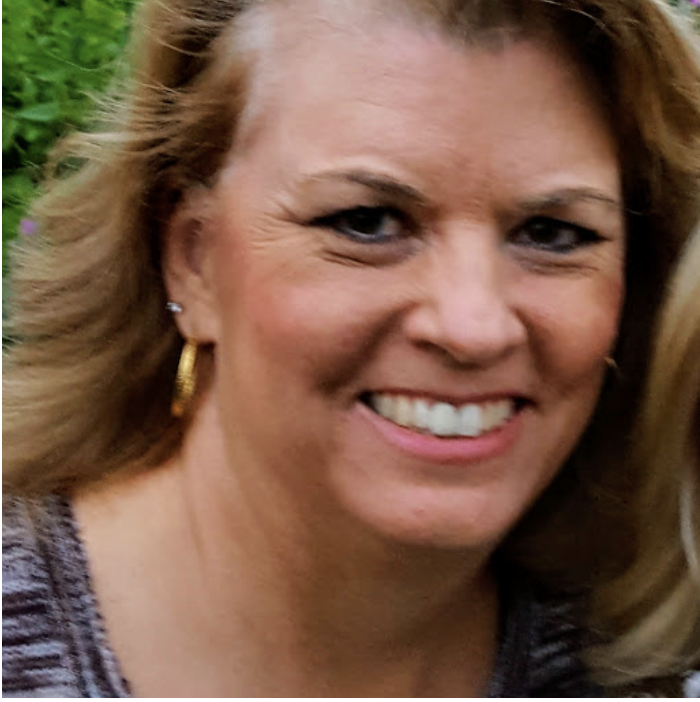 “I have found it rewarding and challenging to connect with each child, to inspire and encourage, love,develop patience and more love.” She also has a therapy dog, Lola that she takes to Crisis Nursery and Good Samaritan Hospital to visit patients. 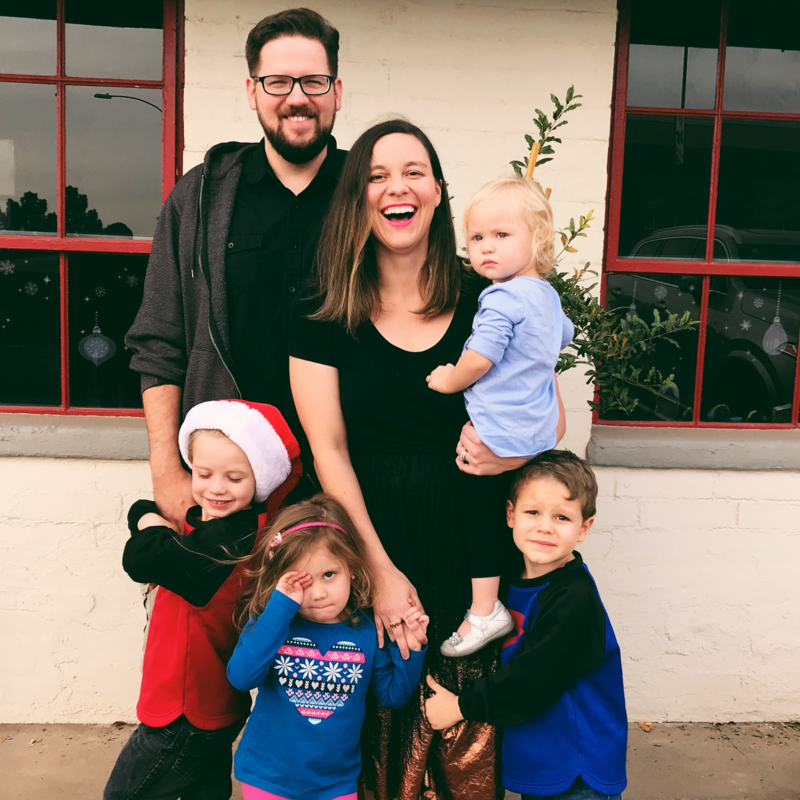 “It's been very rewarding and fun to see people engage with her and experience a little happiness, even if it's for a few minutes.” She is passionate about her family and enjoys having her children (and their little ones) support one another. “I love seeing the good in them and watch them face challenges in their lives with hope and faith.” Her goal for the future is to learn all she can at Hubbard Family Swim School. It is important to her to have a positive attitude working with children and adults. She finds satisfaction in seeing kids have confidence and love for the water. 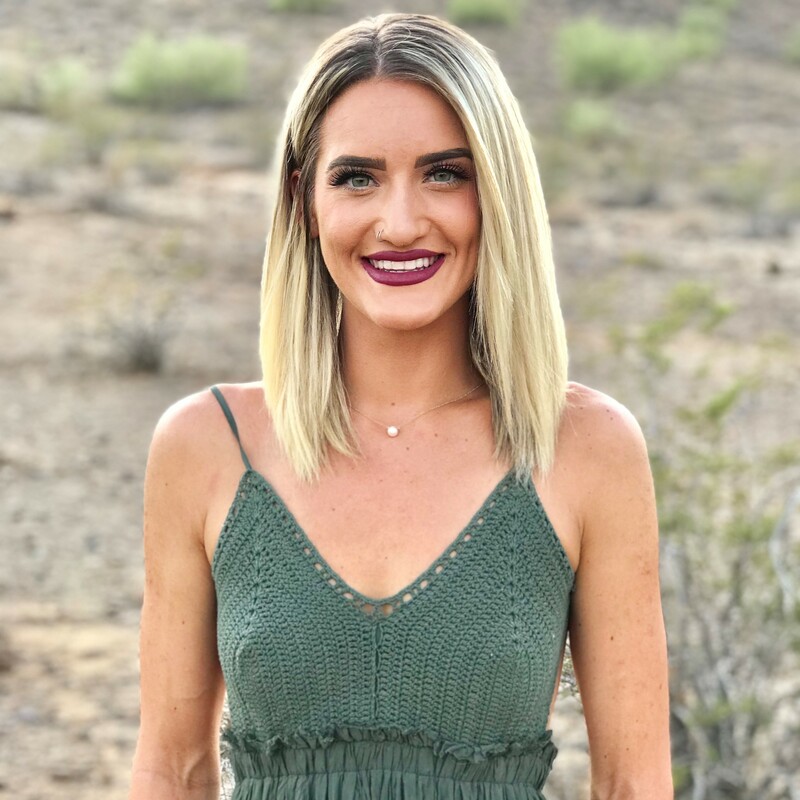 Jeanette was born and raised in Mesa, Arizona and graduated from ASU with a Bachelor’s degree in Psychology and a Bachelor's degree in Family and Human Development with a minor in Dance. She is a member of Camalo Dance Company and volunteers at Sun Valley Community Church. In her free time, she loves to create art - from painting, sketching, cross-stitching! Jeanette plans to start a career in applied behavior analysis, with a focus in dance therapy and working with children with disabilities. 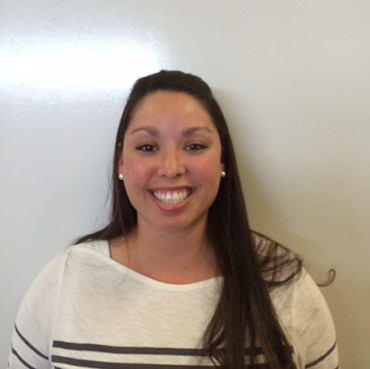 She works at Hubbard because she is an active person and loves working with children. Hubbard is a friendly place that is a combination of both! 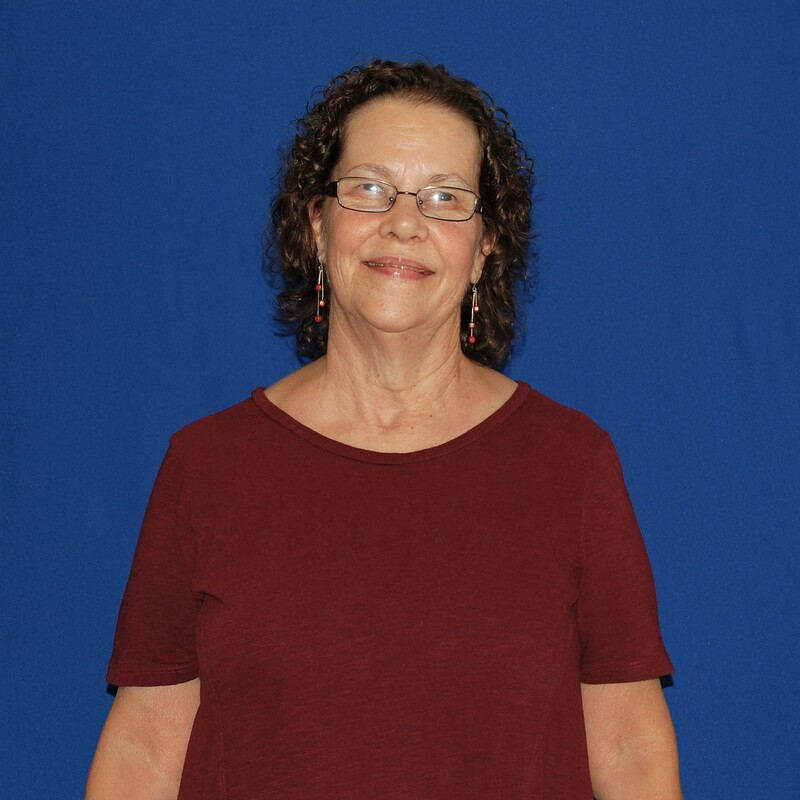 Jeanette has been a swim instructor with Hubbard since June 2018. Jeff was born and raised in Phoenix, AZ. He graduated high school from Cactus where he swam varsity and performed in theater. He is currently attending Paradise Valley Community College. In the future he hopes to be a Marine Researcher. One of his favorite hobbies is is surfing, in California of course not here in the desert. He also loves fish, but not eating them! His family consists of his little brother Aiden, mom, dad and dogs Stinky and Tyde. He plans on returning to Australia someday to dive and further explore the Great Barrier Reef. Jess was born in California but moved to Kentucky at a young age, later studying Biology at Northern Kentucky University. She has also lived in Florida and Wisconsin, before discovering the desirable, warm weather of Arizona with her husband in July of 2016. They recently purchased their first home here and are thrilled to call Arizona their home now! In her free time she enjoys cooking, trying out new recipes and being outdoors. Her family and happiness are her priorities and she feels no amount of money or “stuff” matters without those things first. She enjoys all of her time at Hubbard in a variety of roles, including the GM at our 32nd St. location. 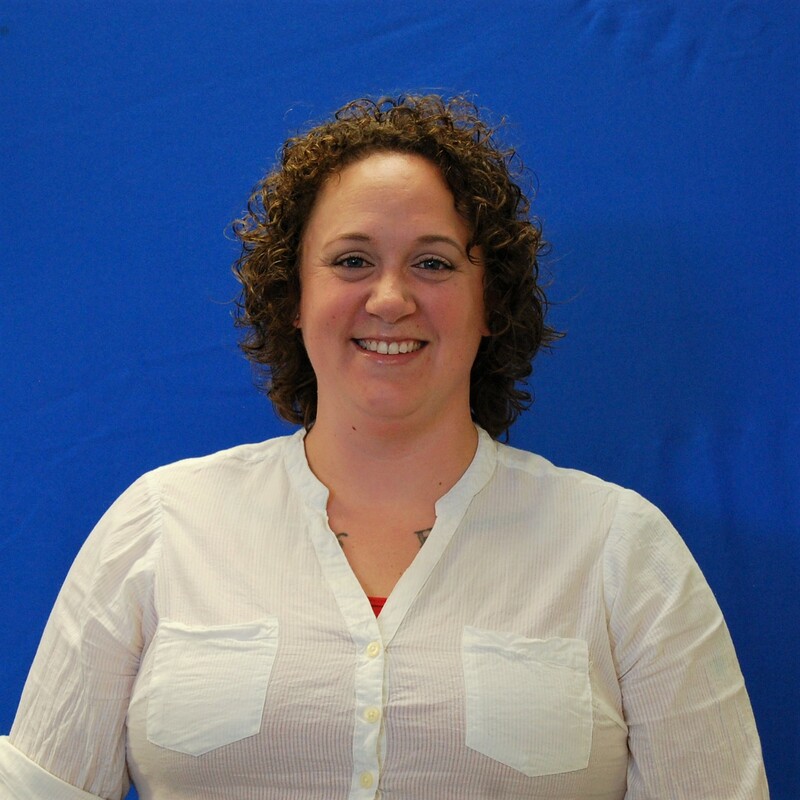 Jess works at Hubbard because we provide a safe, family oriented environment for kiddos to learn to swim. Jessie is an Arizona native. She graduated from North Canyon High School in 2001. 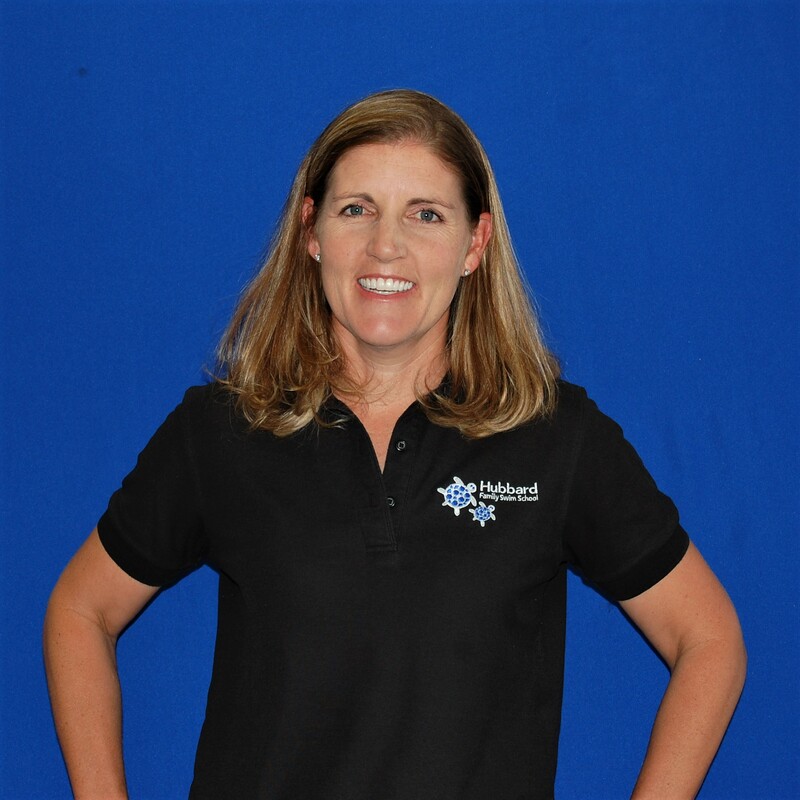 Jessie has been teaching swim lessons and coaching swim teams since 1998 with the City of Phoenix, Shadow Mountain HS, North Canyon HS, private lessons in Flagstaff and of course Hubbard Family Swim Sschool. You can find Jessie in the water teaching at 32nd street, or Managing the Booking Center. Jessie was the recipient of the USSSA Outstanding Teacher award in 2010. Judy has been the bookkeeper for the Hubbard Family Swim School since 2009. She was born in Portland but has lived in Phoenix for most of her life. She is married and has 2 adult children. In her free time she enjoys trying new locally owned restaurants and traveling. Kaitlyn was born and raised in Arizona and graduated from North High School. She loves spending time with her family and friends. Family is important and she works to spend as much time with them as possible. Kaitlyn is working on learning ASL. 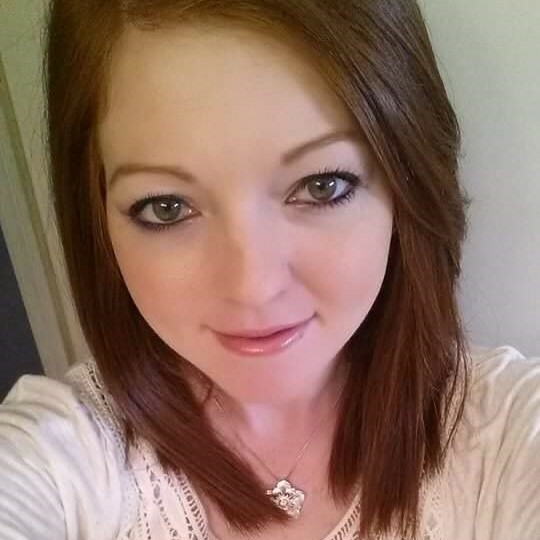 Kaitlyn works for Hubbard because she loves kids and loves being part of the Hubbard Family! Kara was born and raised in Eau Claire, WI. While in the air force she lived in several places including Texas, Virginia, Mississippi, Alaska and North Carolina. She graduated for Eau Claire Memorial High school. She received her degree in avionic system technology from the Community College of the Air Force. She is married to her best friend and has four beautiful children who all swim at Hubbard. One of her hobbies is obedience training and working with neglected animals. She enjoys riding horses, baking, swimming, bike riding, camping, hiking, fishing and archery. She is active with the arthritis foundation as two of her children have Ankylosing Spondylitis. Also she is active with the youth group at her church. She is also a lover of the arts. The most important things in her life are her family, God and always setting a good example. She works at Hubbard because as a parent she fell in love with the environment. She loves that she can work with kids and be excited in the morning to see what challenge may be put in front of her. Karen has worked for the Hubbard Family Swim School since February 1999. She fell in love with Hubbard’s Core Values and that they treat everyone as family! She helps all your little ones register and check in for their swim classes. Karen was born in Phoenix (an actual Phoenician!) and previously worked at American Express for 19 years. Karen is married to Peter (33 years!) they have two wonderful sons and daughter in laws. Brad and Danielle and Kyle and Christy. Brad and Danielle have blessed her with two awesome grandchildren, Brady and Avery. 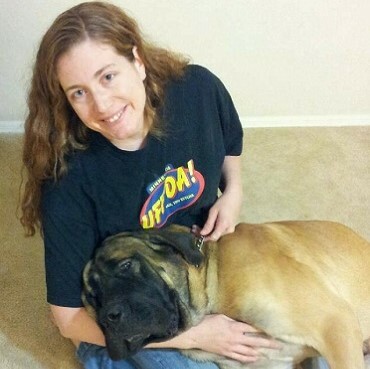 Karen and her family have many hobbies, including camping, hiking, traveling and swimming. Katelyn was born and raised in Long Beach, CA. She came to AZ to attend GCU and loved it so much has moved back with her entire family! She graduated from GCU with a Bachelors Degree in Exercise Science with an emphasis in Physical Education. She has been a swim instructor with Hubbard since June 2016. Her hobbies include reading, DIY projects and her dog. She and her family watch a variety of sports together but swim is her all time favorite. She loves spending time with her family and friends and is very much involved with her church. Swimming has been a huge part of her life. She loves teaching, but teaching swim lessons is where her heart is. Kaylynne was born in Colorado Springs, moved to D.C. when she was 2 while her mom attended Georgetown and moved to Phoenix at age 4. She is currently attending Ironwood High School with dual enrollment at Glendale Community College. In her free time she loves going to concerts and has attended over 20! She also enjoys traveling and playing the piano. Her future plans are to attend college and study Cyber Security and Psychology. Her family, friends and achieving her goals are most important to her. She has been a swim instructor with Hubbard Family Swim School since January 2018. She was drawn to Hubbard because she loves learning new things and helping others. Kaylynne learned to swim at Hubbard and was excited at the opportunity to work for a company that influenced her so much. Kendall was born in Tacoma, Washington, but moved here to Phoenix, Arizona, when she was six months old. 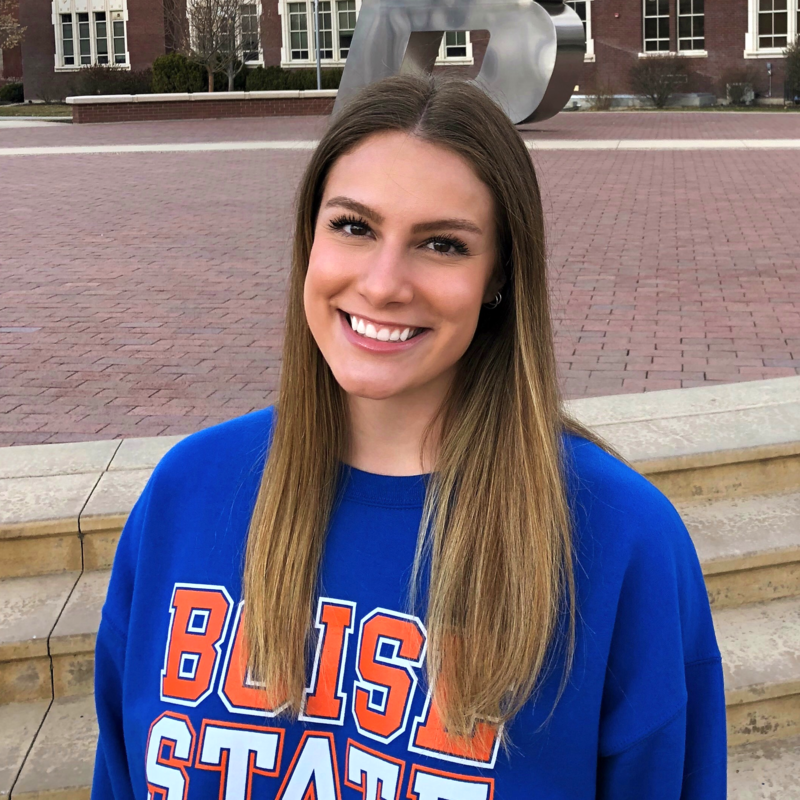 Kendall is attending Horizon High School and plans on attending Boise State University to become a nurse or occupational therapist. 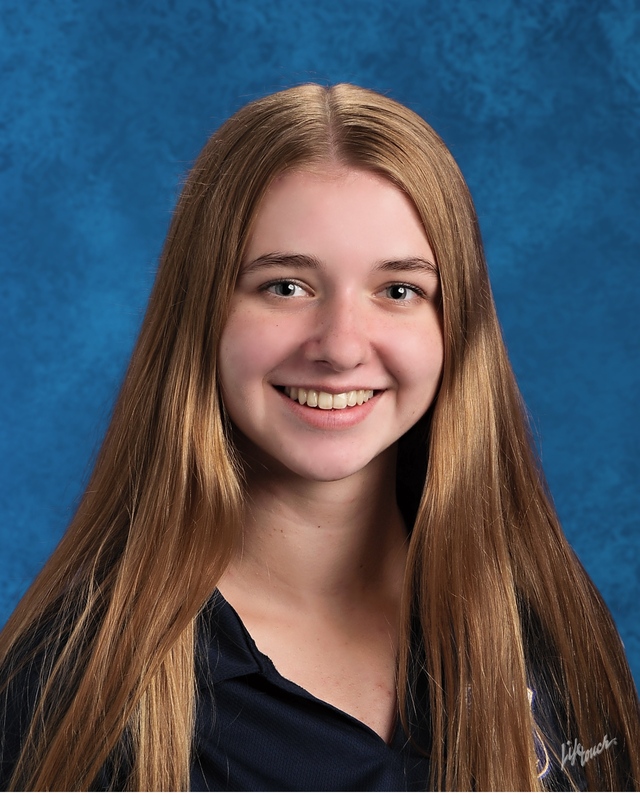 She is involved in National Honors Society, Society of Women's Scholars, Food and Fellowship, and often does community service at Feed My Starving Children and Phoenix Children's Hospital. Kristi was born in Chandler, AZ and grew up in Mesa and Gilbert. She attended Mesquite High School and graduated with an Associates Degree of Applied Science from Chandler Gilbert Community College. Kristi is the oldest of three and has two beautiful children with her husband, Ryan. She is an outdoors person who loves camping, hiking and white water rafting. She also loves music and can play multiple instruments. Kristi works at Hubbard because she loves working with kids and always loved the environment at Hubbard. Kristiana is a Phoenix native. Growing up she participated in Swimming, Volleyball, Track and Cheer. 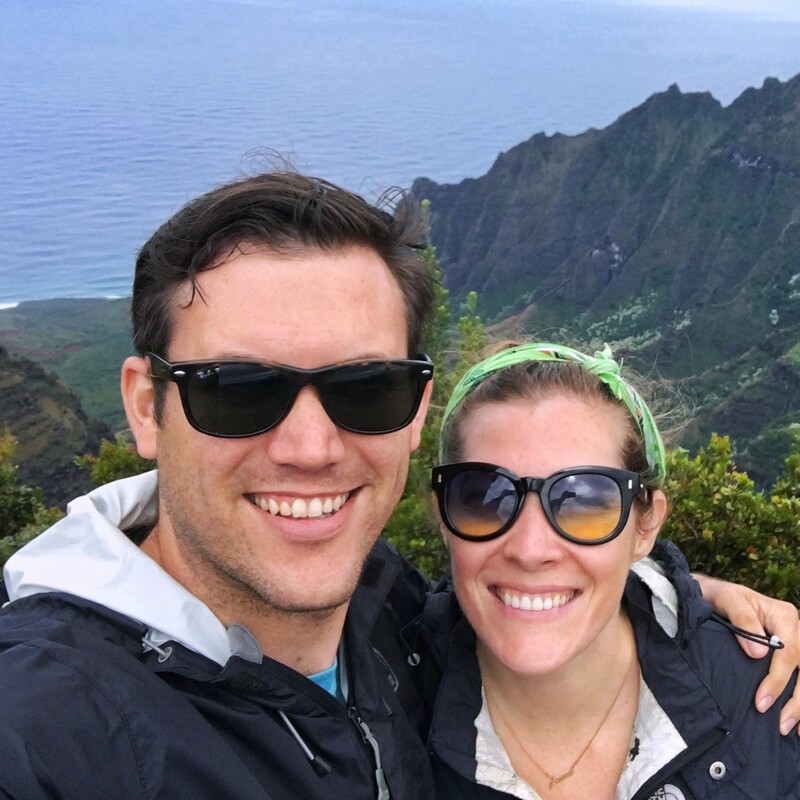 She received her BS in Marketing from ASU and went on to work for Cigna as a regional sales rep. She traveled back and forth to Cali and loved ending her work day on the beach but realized she didn't love her job. By luck a friend suggested HFSS and she found her niche working as the Account Manager/Marketing Coordinator/Site Manager/Teacher. Kristiana is married and has a son named Jake. In her spare time Kristiana enjoys camping, running, snorkeling, going to the beach and working on her house (her nickname is Mrs. Bob Villa)! Most important to her in life is her family and faith. 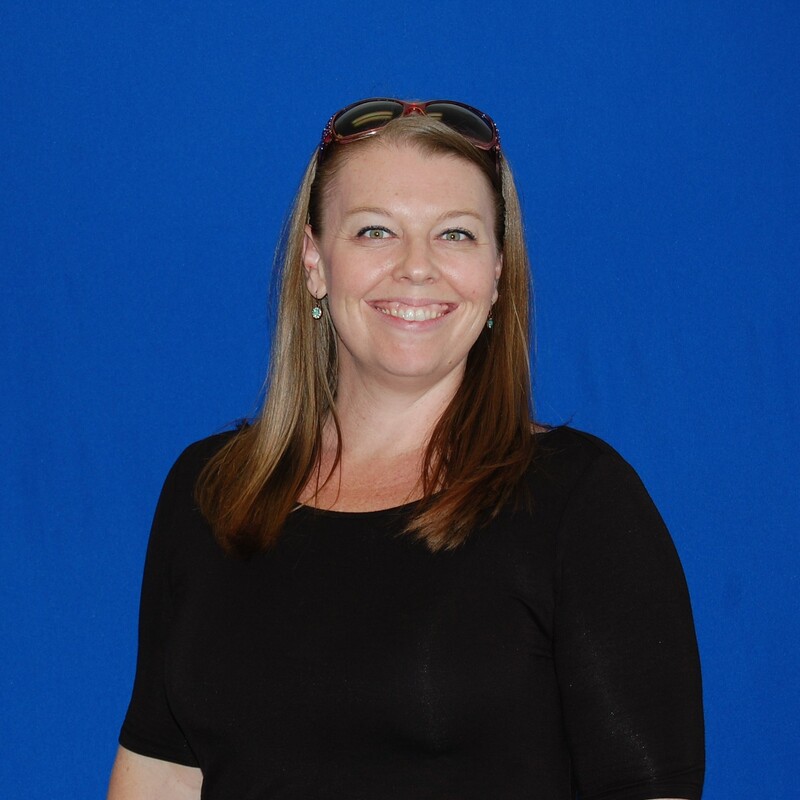 Kristina was born and raised in Peoria, Arizona and is currently attending GCC in the ultrasound technician program. She enjoys hiking - one of her favorite trips was with her family to the Tonto Natural Bridge. Her friends and family are very important of her life. She has a younger brother and four young cousins she loves spending time with. Kristina loves interacting with kids and being in the water and has been with Hubbard since May 2018. Kyle was born and raised in Phoenix, AZ. He graduated from Sunnyslope High School in 2015. 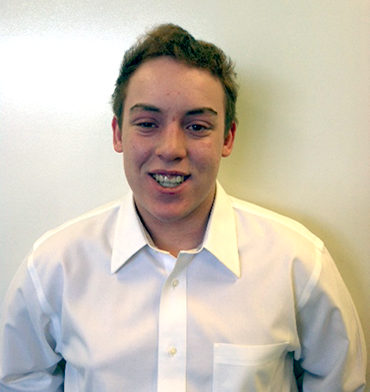 He is currently attending Phoenix College and plans on attending ASU for Sports Business. He has been a swim instructor with Hubbard since June 2016. He has a very active and fit family that is always playing sports. His favorite superhero is Batman and he loves watching sports, working out, doing cross-fit and making kids smile whenever he sees any. His family and making others smile is what gets him through his day! 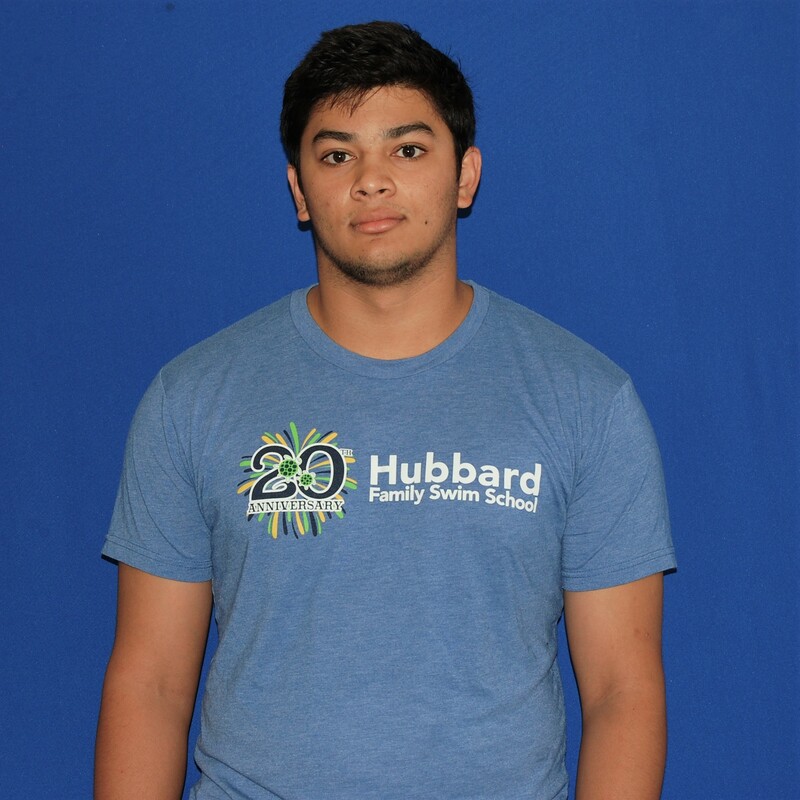 He loves working at Hubbard because he loves being around kids and making them laugh and happy. Kylie was born in Tucson and moved to Flagstaff when she started college. 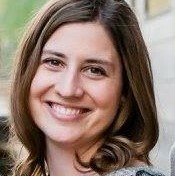 Kylie graduated from NAU in 2010 with a degree in early childhood and special education. Kylie and her husband Mike have 2 wonderful children a son named Andrew and daughter named Alyssa. Kylie loves hiking and spending time with her family. Her family and her children are very important to her. She loves Hubbard because it is a great, caring environment where she had the opportunity to teach kids new skills. Kylie even moved to Charlotte, NC and continues to work for Hubbard remotely! Larissa was born and raised in Phoenix, Arizona. 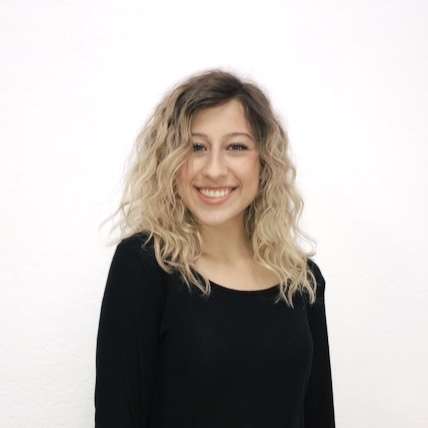 She is currently a sophomore at Grand Canyon University studying Sociology with an Emphasis in Social Work. Her goal is to work with children in foster care one day. She wants to be able to help children in difficult situations. She volunteers in the children’s ministry at her church and with a foster care agency. In her free time she is very involved with her church and participates in annual mission trips. Helping children in the small towns they visit is very rewarding for her. Her family and friends are also very important to her. She enjoys swing dancing and hiking in her free time. Larissa started competitive swimming at 5 years old and it has been a major part of her life ever since. She has been a swim instructor with Hubbard since January 2017 and loves sharing her love for the water with the children she teaches. Lilyann was born in Alaska but grew up in Arizona. She is a student at McClintock High School, where she is on the swim team and participates in photography. Lilyann loves music, especially records because they are so authentic and different. She plans to attend ASU and study physiology when she is done with high school. Lilyann’s family and friends, as well as her future, is most important to her. She likes to work at Hubbard because she can learn new things. Lilyann has been with Hubbard since April 2018. Lizzie is from Phoenix. She graduated from ASU with a degree in Elementary Education. In addition to school and work she does ministry work with 8th graders and high school students at Sts. Simon & Jude. She has been teaching at Hubbard Swim School since the Spring of 2001; she is both a swim instructor and deck supervisor. Her family includes her husband Simon, Mom, Dad, two brothers and one sister. Lizzie was the recipient of the USSSA Outstanding Teacher award in 2006. Lizzie was born in Minnesota and lived there for 9 years before moving to Arizona. She graduated from Cactus HS in 2013. She was on the HS swim team and involved in Young Life and FCA. Lizzie is a Swim Instructor and works the Front Desk at Hubbard. Her family includes Mom, Dad, older brother and younger sister, a cat and dog and her grandparents. In her spare time she likes to read and horseback ride. Lizzie loves the color purple and Jesus. She has taught Sunday school for over 5 years. She is a funny, energetic person who loves working with and teaching children. Loralee has worked for the Hubbard Family Swim School since Spring 2001. She is a Phoenix native. She has worked in her family’s business, PJ’s Flowers and for America West Airlines. Hubbard Family Swim School is her favorite! Loralee is married to Dave, a paramedic for the City of Phoenix Fire Dept. They have three wonderful daughters; Kati, Bailey and Mackenzie and two Granddaughters, who Loralee says are perfect. Her hobbies include her family, tennis, glass blowing and stained glass, spending time on her boat or going to the beach. She is also acquiring her pilot’s license in her spare time. Loralee was the recipient of the USSSA Outstanding Teacher award in 2005. 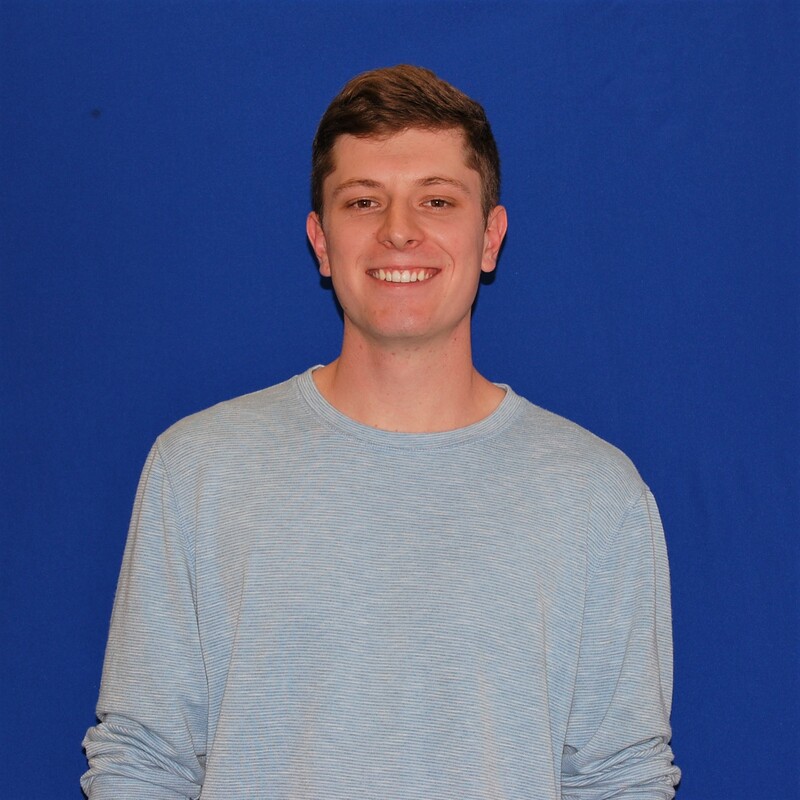 Luke was born and raised in Arizona and is a senior at Liberty High School. After graduation, he plans to attend college and become a Special Needs teacher. Luke has 10 siblings and the whole family loves to swim. 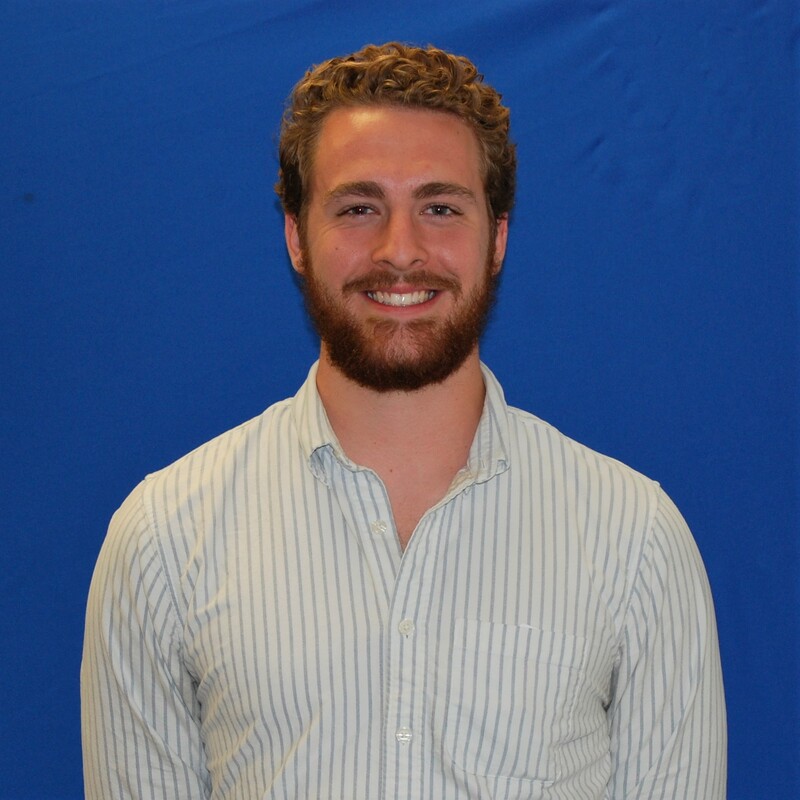 Luke works at Hubbard because he loves kids and loves watching them learn and grow as swimmers and people. I am currently a student at Xavier College Preparatory. I love playing tennis, traveling to new places, and hanging out with my friends. On weekends I often do charity work as part of my commitments as a member of the National Charity League. Hubbard was a big part of my life growing up. I enjoy swimming and helping others, so I thought this would be a perfect job for me. After Xavier want to go to college in California and study medicine for either animals or people. I prioritize school over most things, besides family and friends. I like to keep my work organized and be on top of my grades. I find this important for my future. Maddie was born and raised in Phoenix, AZ. She is currently attending Xavier College Preparatory and is a member of the rowing team and Key Club. She is the oldest of four children, three girls and one boy. Her hobbies include going to movies, rowing and binge watching Netflix! Her future goal is to attend Fordham University or U.S. Military Academy at West Point. She would like to become a lawyer, but first wants to attend the 2024 Olympics for Rowing! She has been a swim instructor with Hubbard Family Swim School since June 2017. She works for Hubbard because she loves the kids and swimming! Mariah was born and raised in Phoenix, AZ. 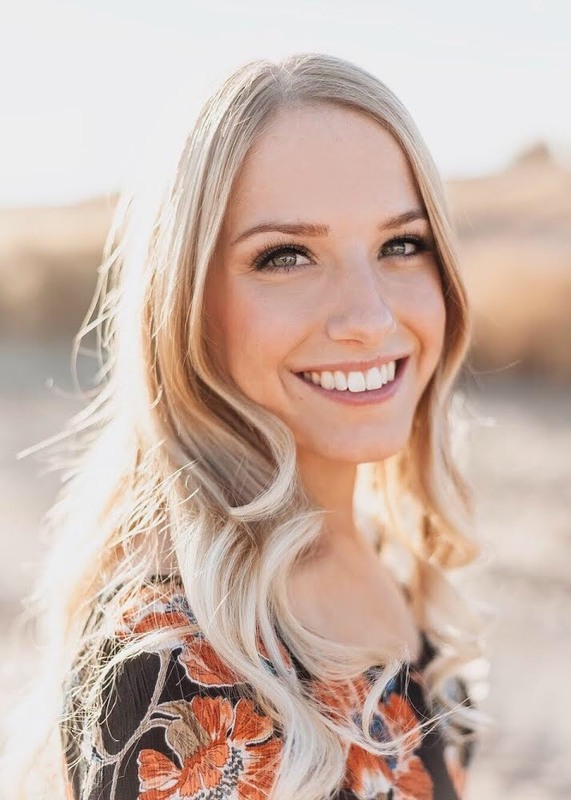 She graduated from Grand Canyon University in 2017 where she majored in Healthcare Administration. She has been a member of the Hubbard Family Swim School Team since July 2011! She can be seen in the water teaching, at the front desk and as a Deck Supervisor. She is the oldest of four kids and is very close to her family. In her free time she loves to travel. This summer of 2018 she traveled to Thailand, and the summer of 2017 she traveled alone to nine European Countries over the course of six weeks! She loves exploring different cultures and architecture. Her plan is to move abroad someday! She has stayed at Hubbard Family Swim School because she loves making a difference in kids lives. Marylu enjoys helping run the snack bar here at the Hubbard Swim School. She has been married for 27 years and has two adult sons and two grandchildren. When she is not helping kids pick out snacks, she enjoys camping, hiking and spending time with her family. Matt was born in Louisville, Kentucky. 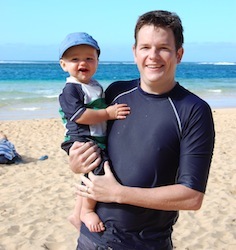 Matt graduated with Honors in MIS from Xavier University, OH in 2005 and went back to earn his MBA in 2007. He competed on the XU swim team and broke the school record for the 200 and 400 IM and the 200 breaststroke. He and his wife Maureen are totally devoted to their four children, JoAnna, Brian, Nora, and Amy. 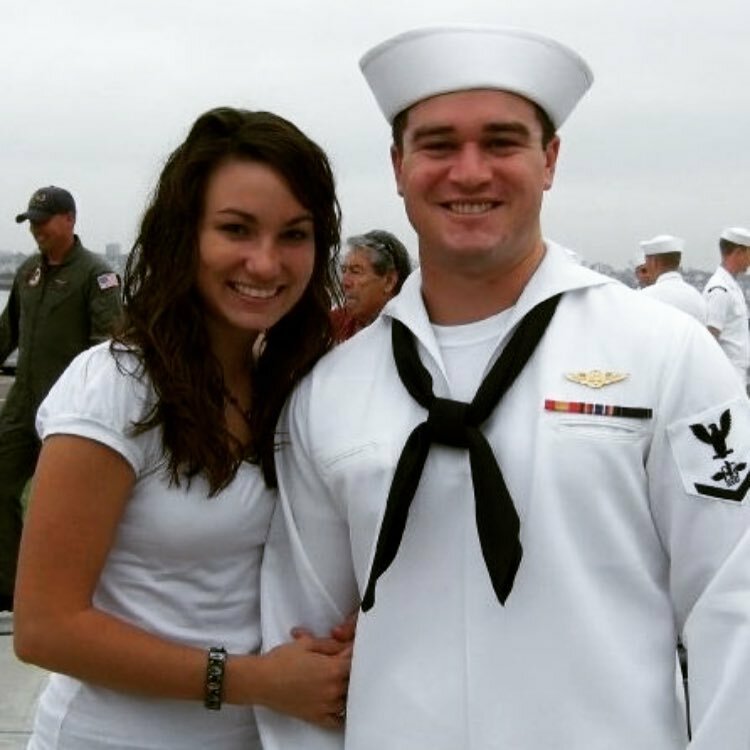 Matt can think of nothing better than teaching kids to swim because it provides amazing opportunities for them…..he met his future wife in the pool at Xavier University. 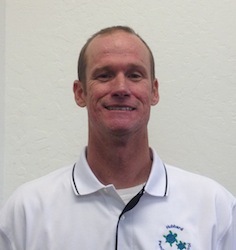 Matt was the recipient of the USSSA Outstanding Teacher award in 2012 and currently serves as a member of the US Swim School Association Board of Directors. Maya was born and raised in Phoenix, Arizona. 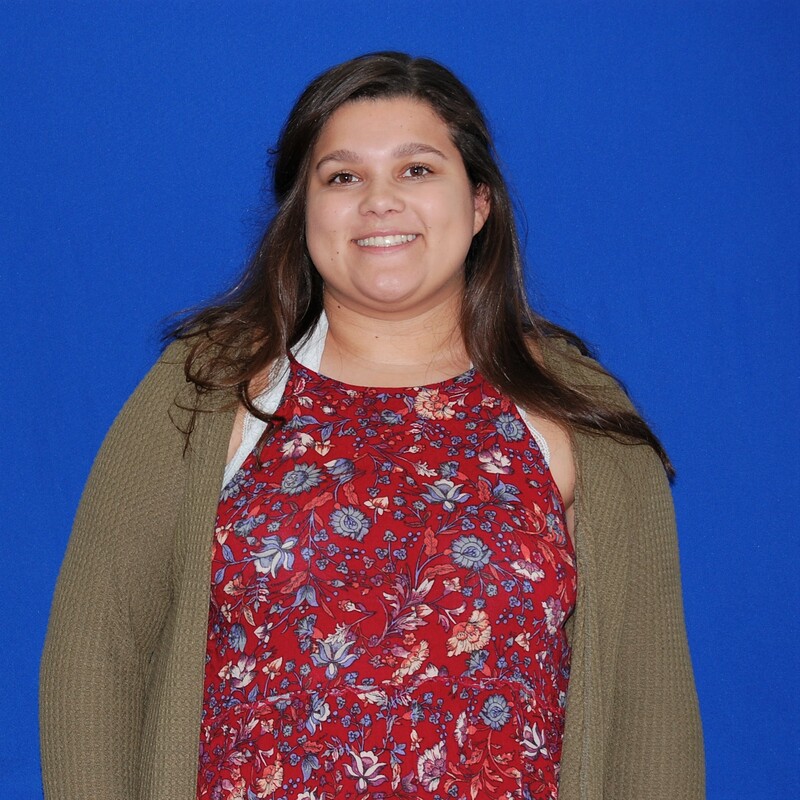 She is a senior at Sunnyslope High School, where she is active in National Honors Society, Spanish Honors Society and a Peer Leader for Workshop for Youth and Families. Maya has been swimming competitively since she was six years old. She swam with Hubbard when she was younger, which lead her to pursuing competitive swim. 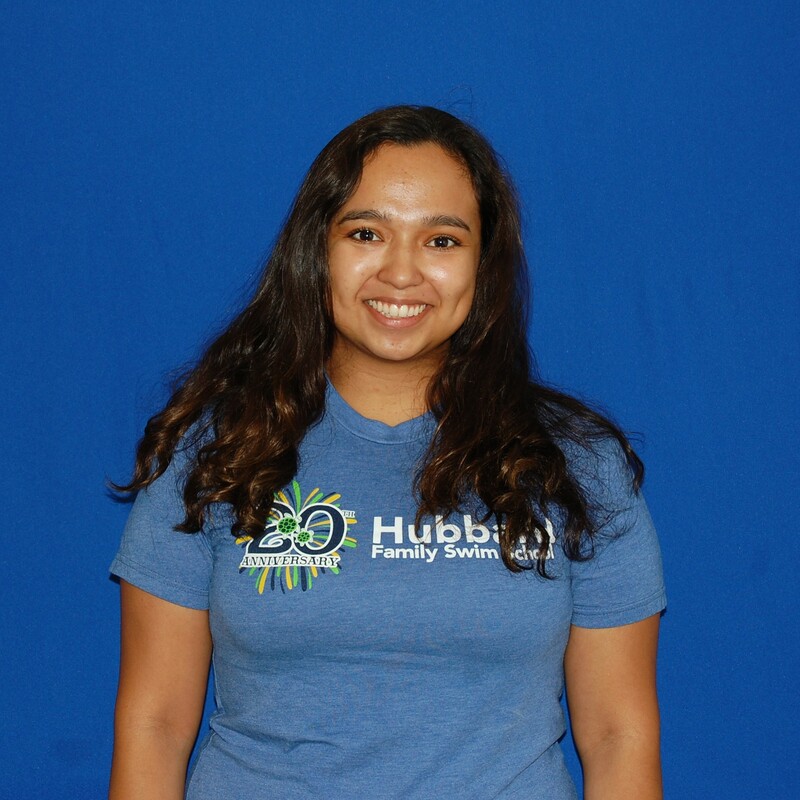 Maya works at Hubbard because she enjoys spending time with kids and teaching them to swim. Megan was born and raised in Goodyear, AZ. She graduated from Millennium High School and is currently attending Estrella Mountain Community College. She is an only child but has many cousins that are like her siblings. While in high school, Megan attended SeaWorld’s Career Camp, where she had the opportunity to work alongside zoologists and trainers. 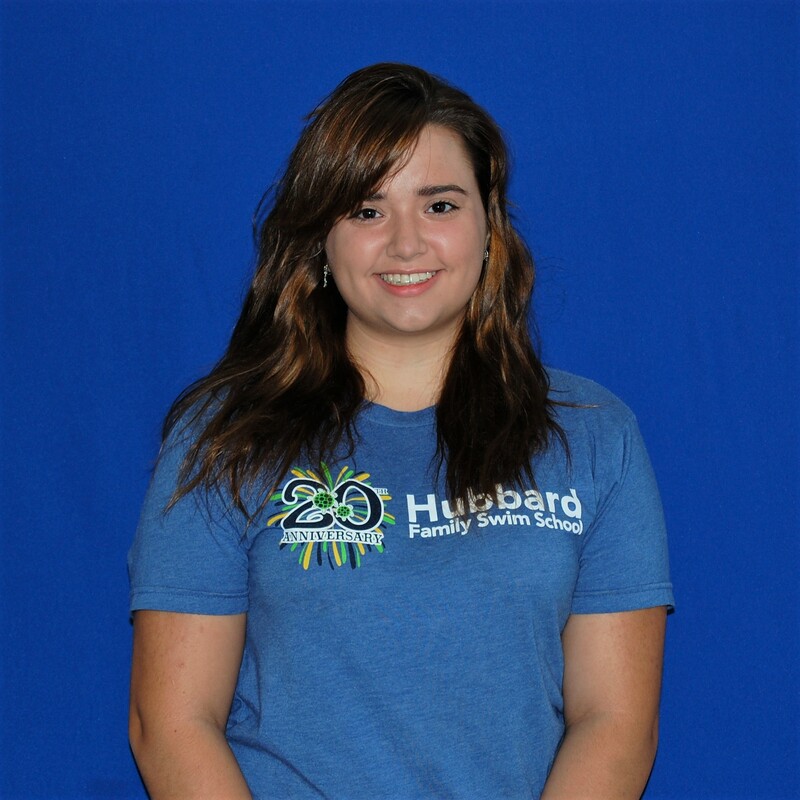 She works at Hubbard because she loves working with kids and loves swimming! 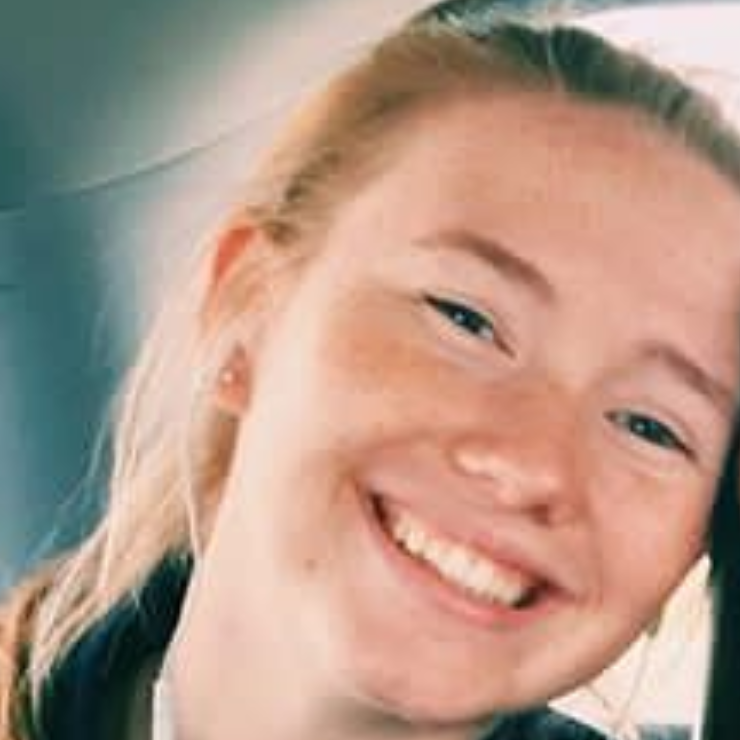 Megan joined Hubbard in July 2018. Melissa is passionate about kids and giving them the best opportunities for success. She finds kids fascinating to watch develop and see how they can learn so quickly. She is focused on keeping her family healthy and giving them opportunities to grow. She believes that kids should be introduced to swimming at an early age for both developmental and safety reasons. She loves being a part of something so important for the development of young children, especially since it will benefit them for their entire life. 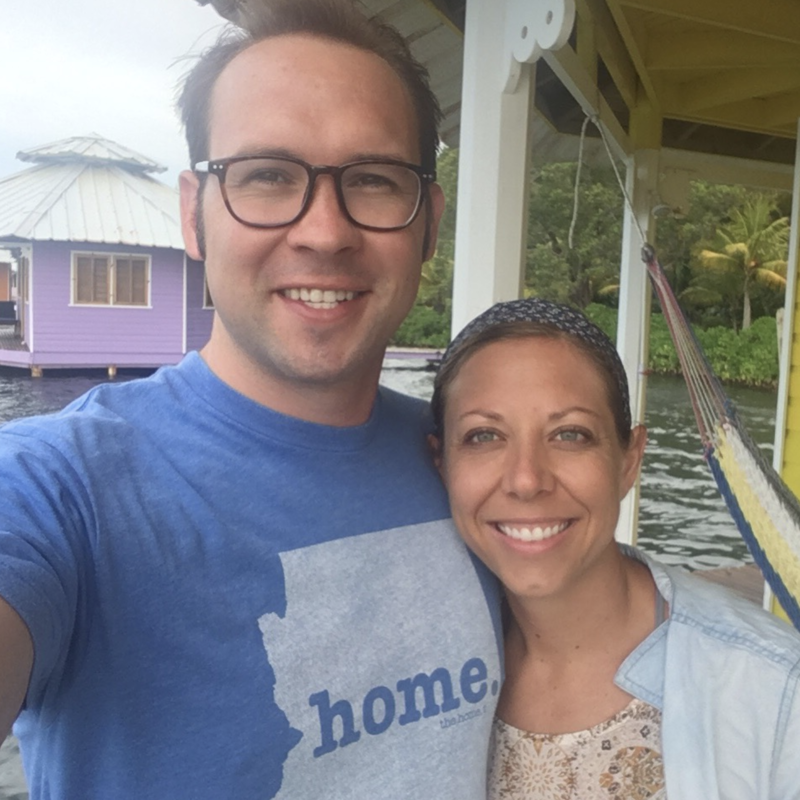 Micah was born in Marondera, Zimbabwe and raised in the neighboring country of Mozambique as a missionary kid. His family has moved back and forth from the U.S. to Africa multiple times. He is the eldest of two boys and has one dog. 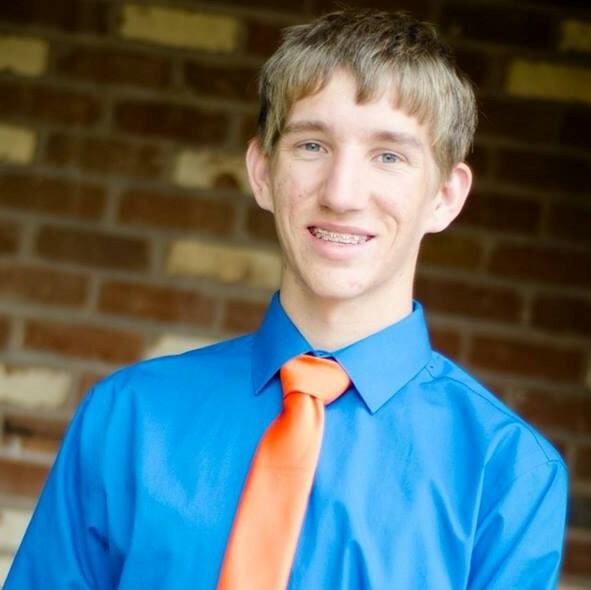 He was home schooled for high school and now attends Paradise Valley Community College where he is studying Nursing. His future goal is to become a Pediatric Nurse and use this work overseas as a missionary. In his spare time he enjoys playing guitar, soccer and spending time with family and friends. 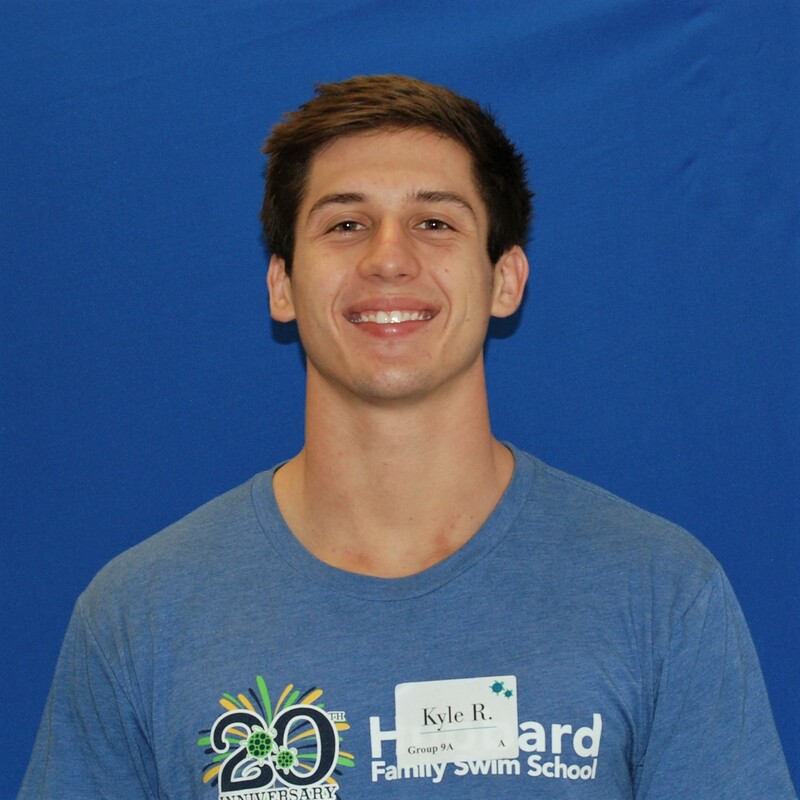 Micah has been a swim instructor with Hubbard since October 2016. He is passionate about showing people love and going out of his way to help. He works at Hubbard because he has seen what great work they are doing for such amazing children. Michelle was born and raised in Phoenix, Arizona. She loves sports, snowboarding, being outside and spending time with her two beautiful daughters, Mackenzie and Kellie. Michelle works at Hubbard because she loves teaching, children and the water. 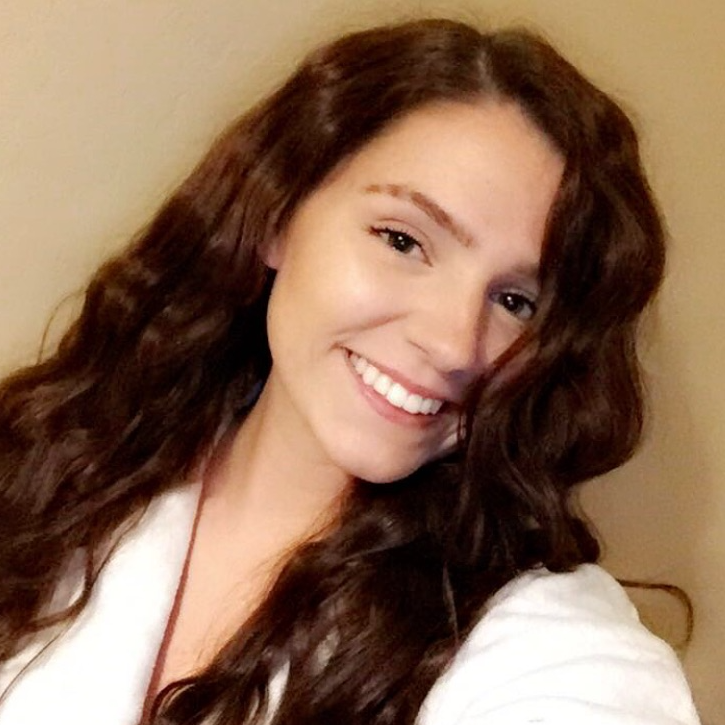 She has been a swim instructor with Hubbard since June 2018. Monica was born in Tijuana, Mexico and moved to California when she was two years old and then to Arizona, where she has lived ever since. She graduated from ASU with a degree in Early Childhood Education and from NAU with a Master’s degree in Bilingual Education. Monica is married and has two beautiful and spunky kids, Penelope and Patrick. She enrolled in baby splash when Penny was a baby and has been swimming ever since. Monica enjoys dabbling in modern calligraphy and yoga. Monica works at Hubbard because “Everyone at Hubbard has made it look like a fun place to work! Also as a parent, I have always been curious as to why certain "skills" are taught and why they are taught a certain way. I was always looking for ways to help my own child properly. All the instructors really helped me and put my fears at ease about my kids being in the pool. I want to be able to pay it forward and help other parents become as confident about their child swimming, just as I have. 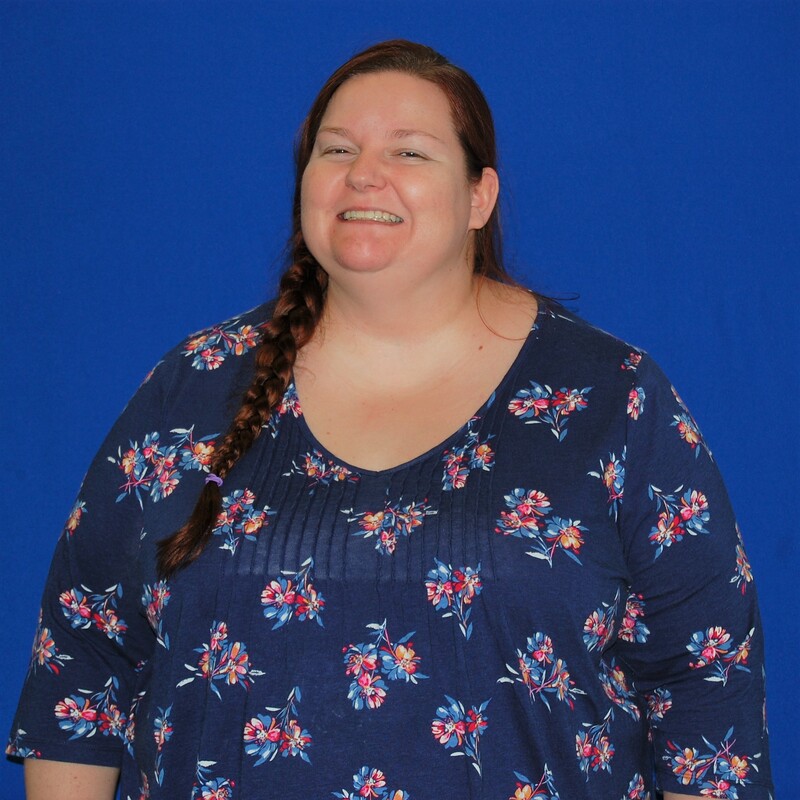 Plus I am a teacher and this is a fun and different extension of my teaching skills!” Monica has been with Hubbard since July 2018. Naja has lived in a few States including Illinois, Missouri, California and now finally Arizona. She attended the Art Institute of LA where she studied media arts/animation and marketing/advertising. She has traveled the world for modeling/acting jobs and even performed in the Fiesta Bowl Parade! She loves anything artistic and works as a freelance artist/ graphic designer. She also loves fashion and music and coaching runway/acting. Her future goals include launching a swimwear and t-shirt line. Currently she is a swim instructor with Hubbard and her two sons swim with us as well. She is passionate about doing her best as a wife and mother and fulfilling her dreams. One of which includes buying a home by the age of 30. 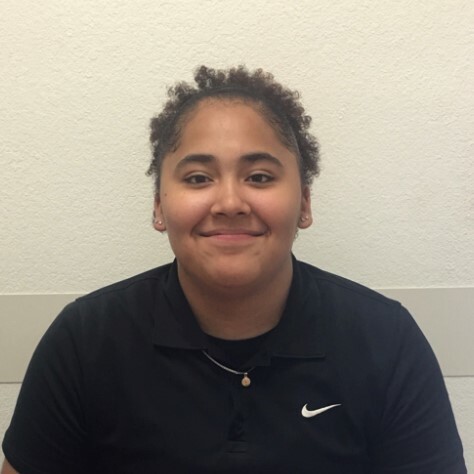 Naja loves working with children and loves the stress free environment that Hubbard provides. Natalie was born and raised in Phoenix, AZ. She graduated from Pinnacle High School in May 2016 and is currently attending Paradise Valley Community College. 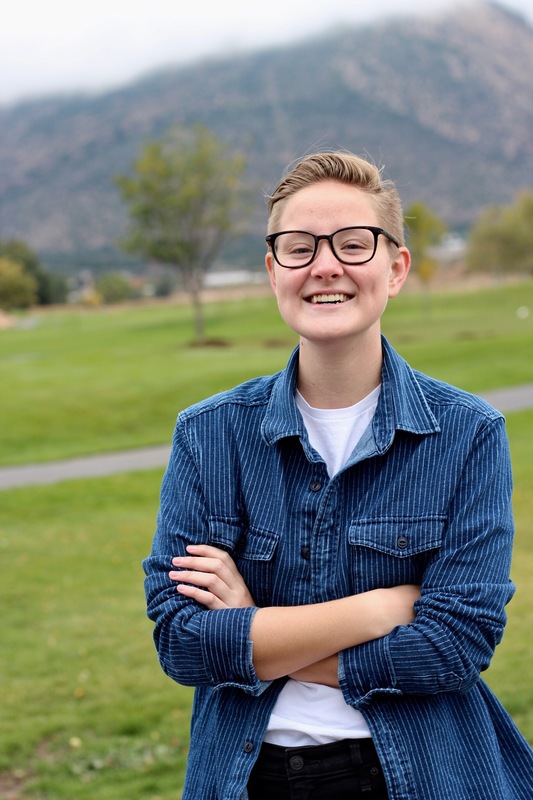 Her plan is to earn a Science degree and transfer to the Honors College at NAU in two years. She is a member of the Student Honors Association Council at her school. In High School she was a member of the swim team for 2 years, competed on the girl’s lacrosse team for 3 years, and sang in the choir all 4 years. While participating in lacrosse she helped the team win a State Championship. She loves to sing, dance and play piano. She loves all things to do with art including painting, coloring and writing. She also loves hiking and outdoor adventures. She works at Hubbard because she loves building friendships with kids and believes it is important to teach them water safety and skills. Natalie has been a swim instructor with Hubbard Family Swim School since July 2016. Nick has lived in many places including Russia, Arkansas, Arizona, Minnesota and California. That has probably influenced his love of adventure! He is passionate about teaching children how to swim and be safe in the water which drew him to Hubbard. He has been a swim instructor at Hubbard Family Swim School since January 2018. His future goals are to study Forensic Science and continue teaching swim lessons. In the meantime he is enjoying being a part of the Hubbard Family. Nicole was born and raised in Phoenix, AZ. She is currently a senior at Thunderbird High School. She swim for her High School team and has been swimming competitively for many years. She was introduced to swimming at Hubbard as a child and has had a love of swimming ever since. After college she would like to work in the Biomedical field working directly with patients. She is an only child and lives with her mom and is extremely close to her. She is passionate about music and has been playing the piano for 11 years. On the side she also likes to write fiction. 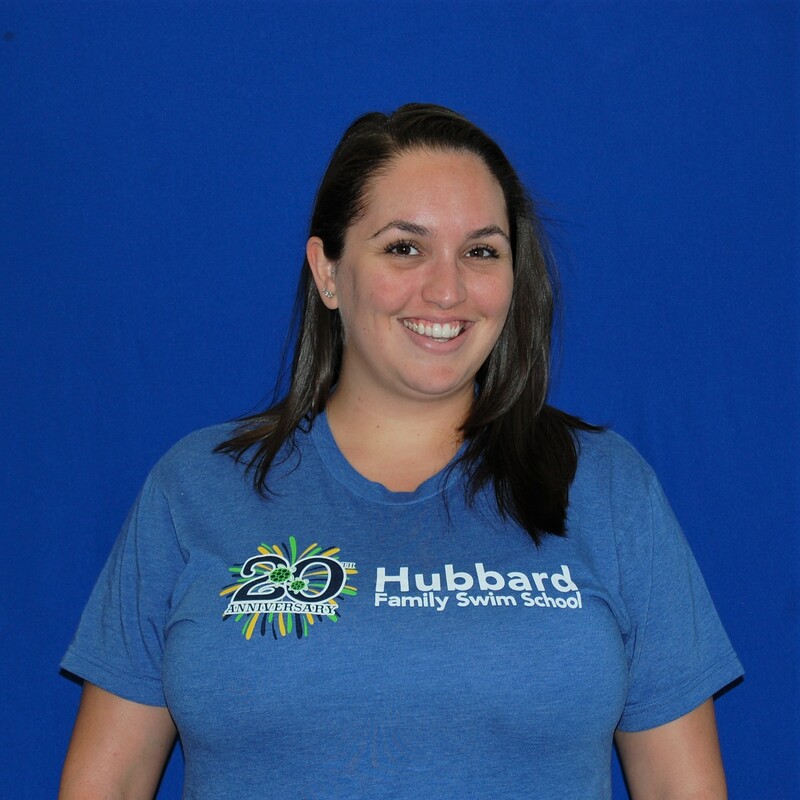 Nicole has been teaching swim classes at Hubbard since June 2016. She loves working with children and loves to swim so feels Hubbard is the perfect fit for her! Pat serves as our Regional Manager and Director of Operations. Pat grew up in Cincinnati as one of 5 kids in the Sunderhaus clan. He is a graduate of Xavier University in Cincinnati, OH with a degree in Athletic Training. He went on to become the Head Athletic Trainer for 6 years at his alma mater, Saint Xavier High School. He loved the tremendous experience of working with such high quality athletics. Pat found his way to Phoenix with the help of his wife, Ann Marie. They met through friends in 2001 in Cincinnati. In 2003, Ann Marie invited (hired) Pat to be a director of the Hubbard Summer Sports Camp and that was his introduction to the Hubbard world. He instantly loved the energy, the passion, and the commitment to customers, staff, and children. Ann Marie and Pat were married in 2004. The joys of their lives are their children Frank, Kevin, Molly and Travis. Faith, family and friends are most important to him. In the many years of playing sports, 12 years of coaching and the 6 years working at St. Xavier, Pat has gained valuable lessons in working with children and young adults, in and around athletics. He believes that children are precious and adults are responsible for providing the opportunity of growth into fine young people. Hubbard gives him the opportunity everyday to touch the lives of so many people and make a difference. His goals? Make a positive difference in the lives of those I interact with everyday Be the best husband possible With Ann Marie, raise our children with quality values, respect for others, and the drive to succeed in whatever they choose to do. Pat was the recipient of the United States Swim School Association’s Outstanding Teacher award in 2010. He also served on the USSSA Board of Directors. Patrick is #6 in a family of 8 kids! He attended Brophy until Junior year then moved to Montana and graduated from Flathead High School. He is married to Jamie, who he met while teaching at Hubbard. They have a son Calvin, and daughter Juniper, who love to swim! Patrick worked at Hubbard from 2002-2009. After moving around and trying different jobs (woodworking, landscaping, outdoor retail) he found his way back to Hubbard in 2017. Towards the end of his high school career Patrick was introduced to the world of the outdoors. He went on his first backpacking trip (21 days in the Bob Marshall wilderness) and spent a lot of time snowboarding and fly fishing in the mountains of Montana. These days his hobbies revolve around being a dad and a bit of bow hunting. He loves to spend time with his siblings, nieces and nephews and watching all the cousins play together. Patsy was born and raised in Phoenix, Arizona. She attended Ombudsman Charter West, where she was in choir, studied French and was on the swim team. She likes to sing, swim and go camping. Patsy loves being in the water and working with kids. She has been a swim instructor with Hubbard since May 2018. Quinn was born and raised in Arizona. 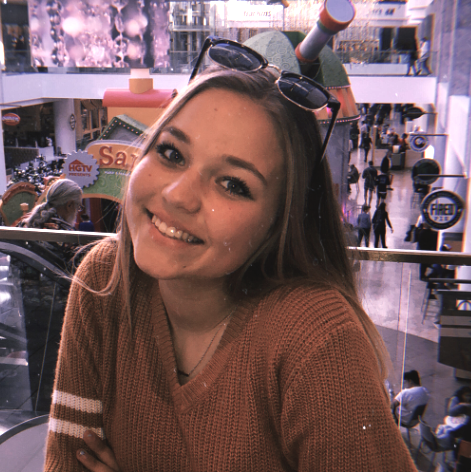 She is a senior at Deer Valley High School and plans to attend NAU in the fall, majoring in Business Economics and Psychology. Quinn did competitive swim growing up and is a makeup artist. 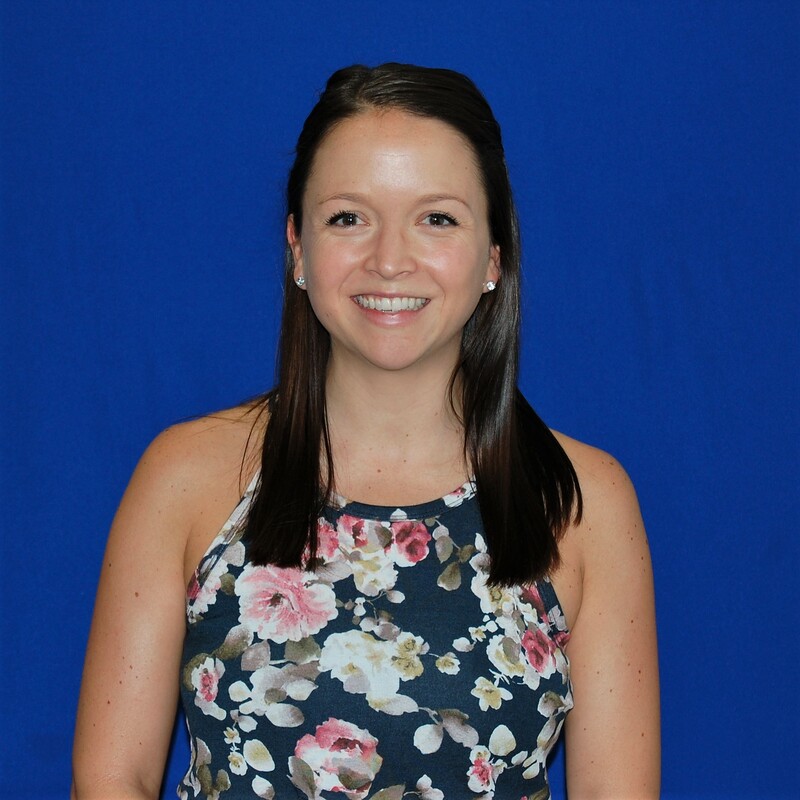 Quinn works at Hubbard because she loves to swim and wanted to give back and be a swim instructor for the next generations. 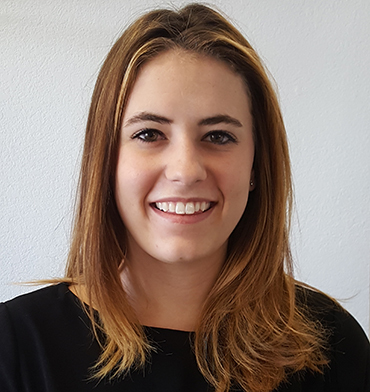 Rachel was born in Phoenix, AZ and lived in Great Falls, Montana until seven years old, when her family moved back to Arizona. She graduated from Centennial High School, where she was a varsity cheerleader and member of yearbook. Rachel will be attending ASU to pursue a degree in nursing. She loves hiking, learning new things and going to new places - her last adventure was to Mexico with friends and family. Friend and family are the most important thing for Rachel, as they are the people who will always be there for you and love you unconditionally. 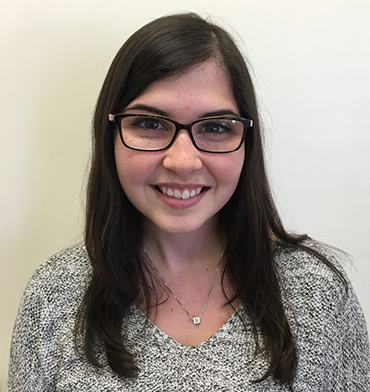 Rachel works at Hubbard because she loves working with kids and being interactive with people. Renee was born and raised in Glendale, Arizona. She loves everything Disney, swimming, hiking and doing various fun activities with her four kids. Renee is passionate about swimming and loves the staff and the environment at Hubbard Family Swim Schools. 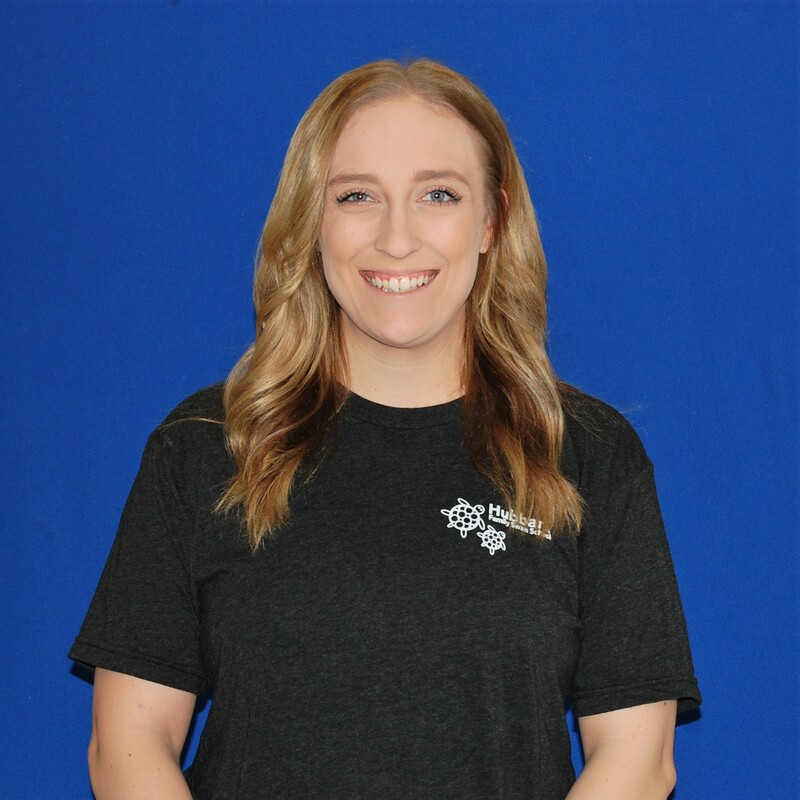 Renee has been a swim instructor with Hubbard since May 2018. Ryan was born in Peoria, IL and grew up in Peoria, AZ. He currently attends Peoria HS. He has a stepsister, Courtney. Ryan loves to draw and participate in physical activities. Ryan likes to be with his friends and family and always doing what’s right in any situation. Ryleigh was born and raised in Glendale, AZ. She is currently attending Ironwood High School, where she participates in Dance. Family is very important - her family takes a trip to Lake Powell every year and they find new adventures each time they go. 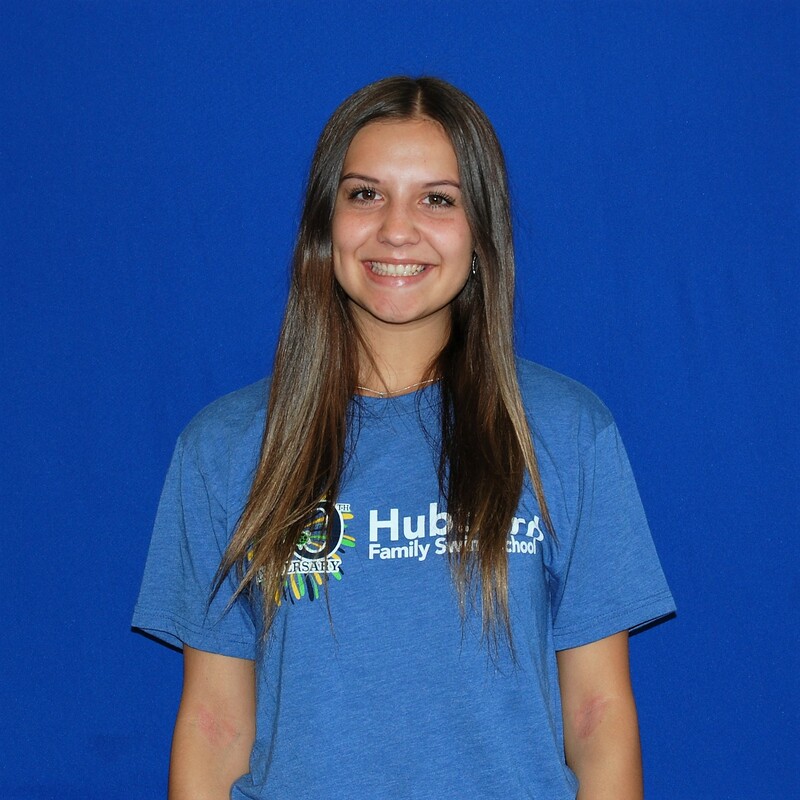 Ryleigh works at Hubbard because she loves working with children and believes that water safety is very important. Sara was born and raised in Arizona. 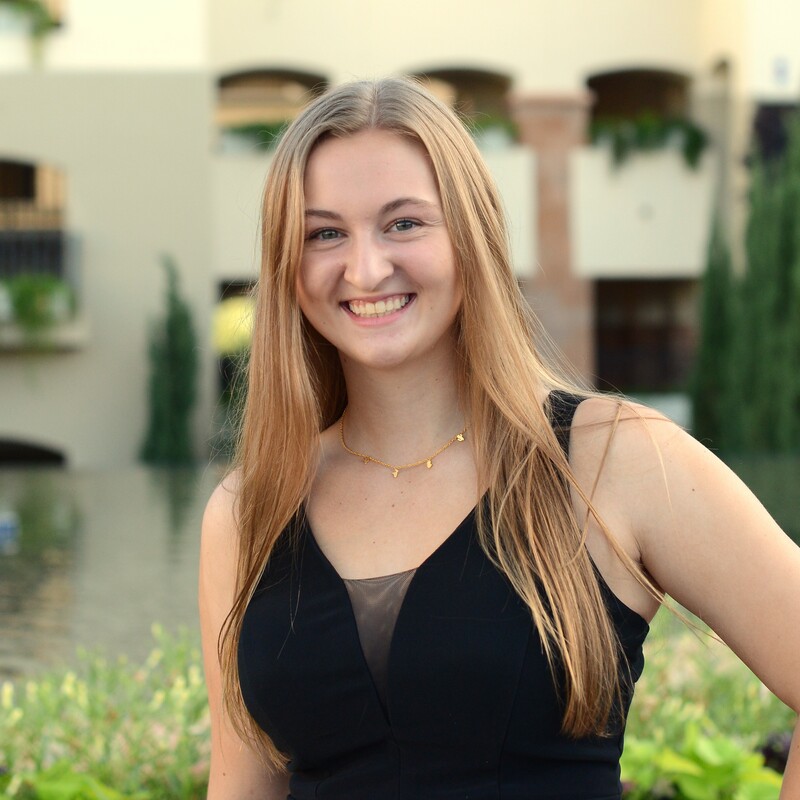 She is currently a student at Scottsdale Preparatory Academy, where she is active in swim and volunteering for various organizations. She volunteered to teach refugee children how to swim and realized the importance of teaching. Sara enjoys travelling - she travels to Slovakia every summer to visit family. She would like to pursue medicine once she graduates from high school. Sara works at Hubbard because she has a passion for swimming and wants to share that passion with children. Serana was born and raised in Arizona. 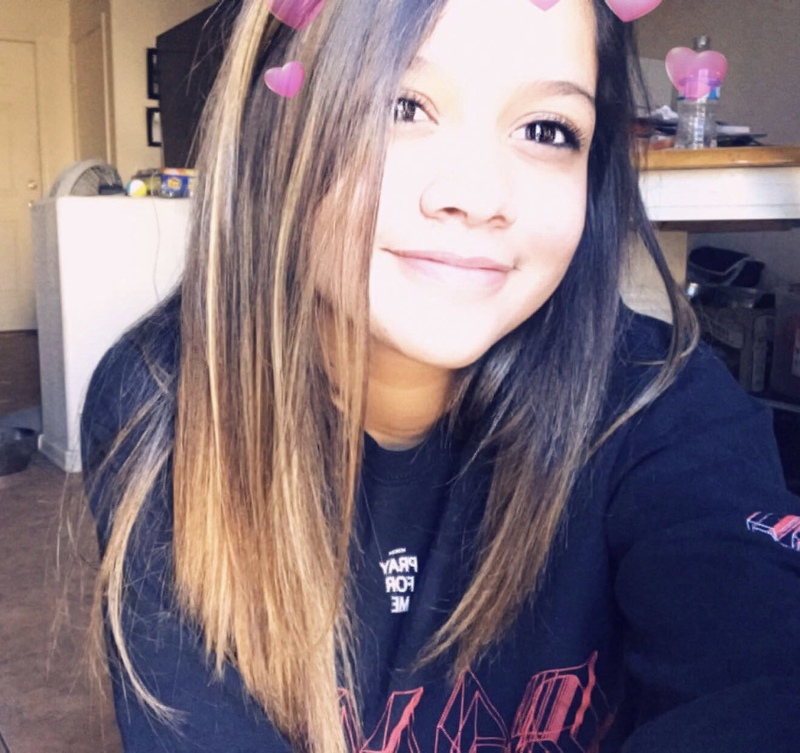 She graduated from Paradise Valley High School, is currently attending PVCC and plans to transfer to GCU to major in Pediatric Physical Therapy. Serena is an avid Disney fan and visits the parks as much as she can. She plans to graduate from physical therapy school and work at Phoenix Children’s Hospital in the physical therapy department. Serena works at Hubbard because she can gain more experience working with kids to prepare for working in pediatric physical therapy. Plus, who doesn’t love kiddos?! 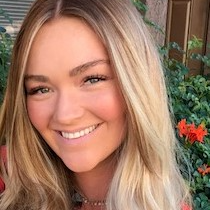 Sienna was born and raised in Arizona and currently attends Glendale Community College and plans to pursue a career in nursing. She has two siblings and enjoys spending time with her family and friends. She loves dogs and plans to have as many as she can. 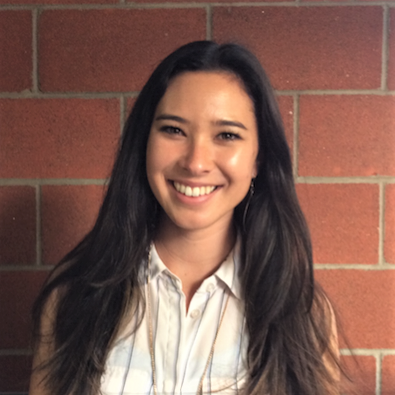 Sienna works at Hubbard because it will give her a chance to grow and learn something new! Simon was born and raised in Phoenix. He swam competitively from the age of six through high school. His family includes his beautiful wife, Lizzie, their two dogs, Wynona & Alice, his parents and sisters. Simon enjoys reading, swimming, cooking, eating, exercising his dogs, video games, and the company of family & friends. While he began at 32nd St, his time at Hubbard is now spent at our Peoria location as General Manager. If you have interacted with him, you know that he enjoys every moment that he's here. Simon was the recipient of the USSSA Outstanding Teacher award in 2008. Susana was born in Phoenix, AZ and has lived in both San Antonio, TX and Fort Wayne, Indiana. She spent the last 13 years in Tucson, AZ and has recently moved to Avondale, AZ. She was homeschooled in high school to focus on her swim career and her goal of swimming at a Division 1 school. She attended the University of Arizona and graduated with a Bachelor’s in English Literature. She swam all 4 years at U of A and was a member of the NCAA Championship team in 2008. She is married to her husband Andrew and they have 4 kids 5 years old and under! She was part of Bob and Kathy Hubbard’s program at Phoenix Swim Club and still remembers having to complete her 5 minute swim as a Lobster! 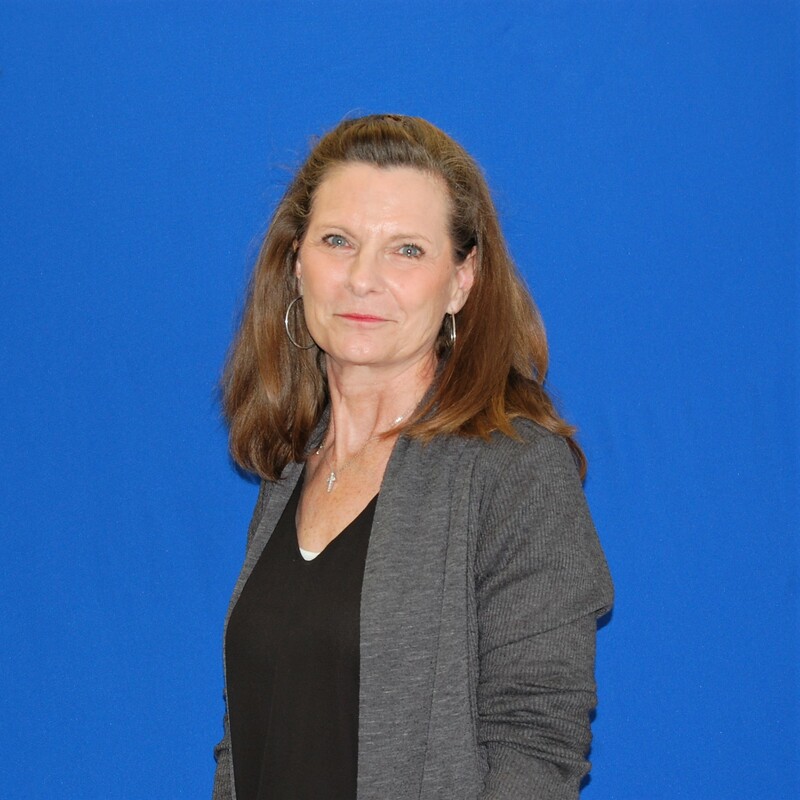 Susie was born in Owensboro, Kentucky and grew up in Sioux City, Iowa. She attended Wartburg College, majoring in English and History, and Arizona State University, where she earned a Masters in Nonprofit Management. 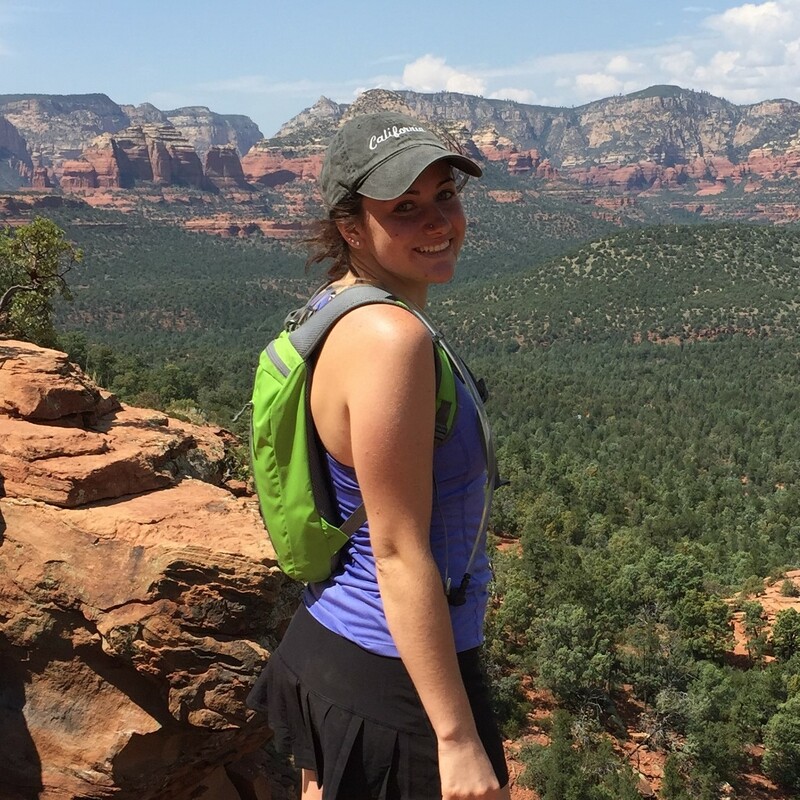 Susie loves tennis, hiking, camping and enjoying what Arizona has to offer! She is on a quest to go to all 418 units of the National Park System - She’s half way there! Susie works at Hubbard because the environment is unlike one that can be found in other workplaces. She is excited to be a part of the Hubbard Family, support youth in the water, establish family connections and expand on the foundation that Hubbard has created. 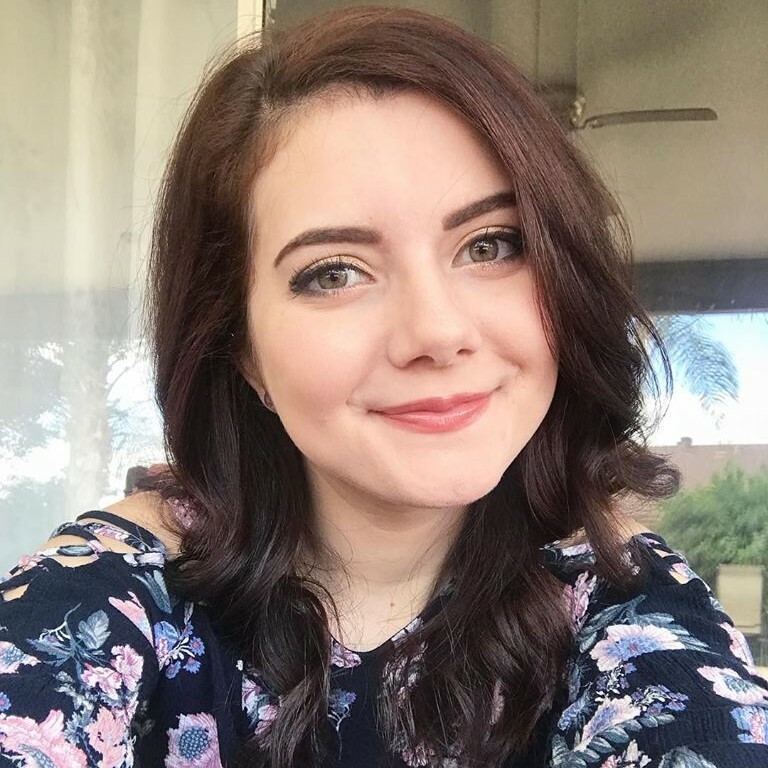 Sydney was born and raised in Phoenix, AZ. 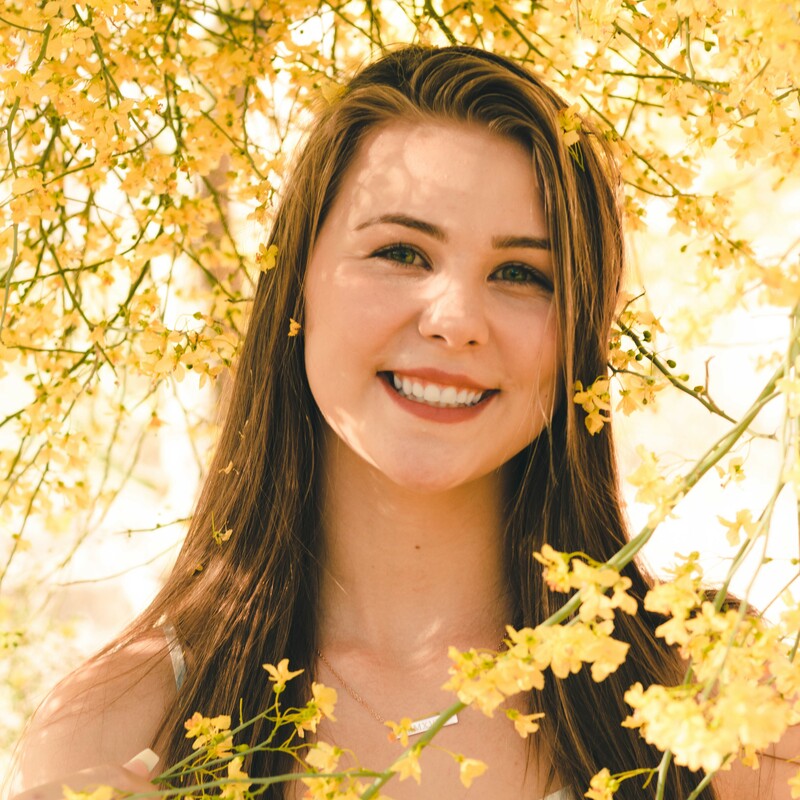 She is currently attending Scottsdale Preparatory Academy and is a member of the Swim Team and Track and Field. She also participates in Rotary Club and sings in the Bella Voice Choir. In her free time she enjoys traveling, spending time with friends and family and taking photographs. Disney World is her favorite place to be in the world! She developed her love for swimming right here at Hubbard Family Swim School! She and her brother learned to swim at the 32nd Street Location. 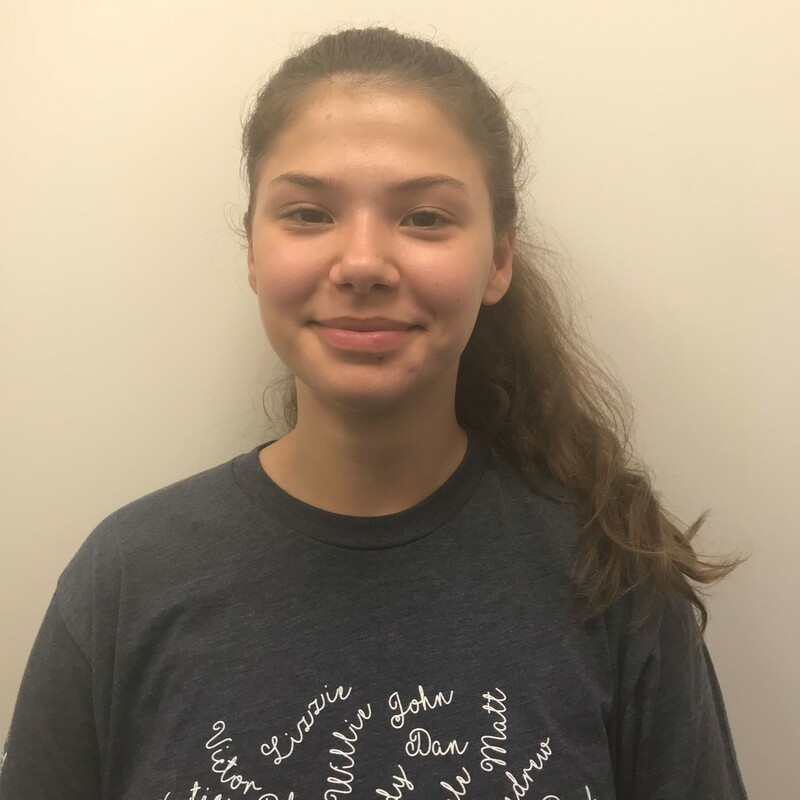 “I want to be able to teach not only water safety but the love of swimming for enjoyment and exercise.” Her future goal is to attend college and continue helping people. Tanille was born and raised in Phoenix, AZ. She loves to hike, ride bikes, run, sing and play the piano. Tanille loves to swim, especially swimming in the ocean. She loves sharks and orcas! She would love to become a marine biologist and plans to return to school to pursue her interests. Tanille works at Hubbard because “I love the family values at Hubbard! I love working with children and seeing them grow and learn! Hubbard combines my love of kids and my love of water! 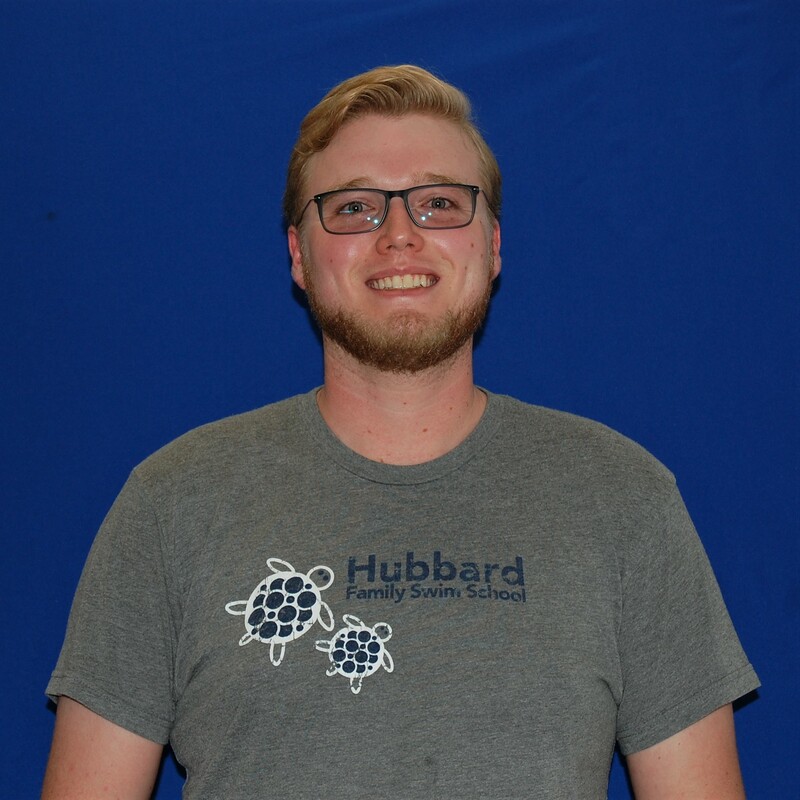 !” Tanille has been with Hubbard since August 2018. Taylor was born and raised in Peoria, AZ. She attended Cactus High School and was a member of the Volleyball team. She is currently attending Glendale Community College. Her family consists of her parents, grandmother, 2 brothers and a sister. She also has 3 dogs, Ace, Noelle and Pearl. Her future goal is to have a big family. She loves to teach children and has coached volleyball in the past. She has been a swim instructor with Hubbard Family Swim School since June 2017. She loves working with the kids! Taylor was born in Sierra Vista, Arizona but grew up in Phoenix. She is a student at Cactus High School and is in NHS, HOSA, and on the varsity soccer team. Taylor likes to draw and loves to read. She loves to work with kids and wants to learn more about how kids understand new concepts. Her goal is to attend ASU and major in pre-med and become a pediatrician. Thomasina was born and raised in Tuba City, Arizona. She currently attends ASU, majoring in Elementary Education. Thomasina is the oldest of four siblings, enjoys running, volleyball and learning new languages. Her future goals are to attain a master’s degree and possibly go to law school for Indian Law. She enjoys working at Hubbard because she can help children build skills that last a lifetime. Tim was born and raised in Phoenix, Arizona. 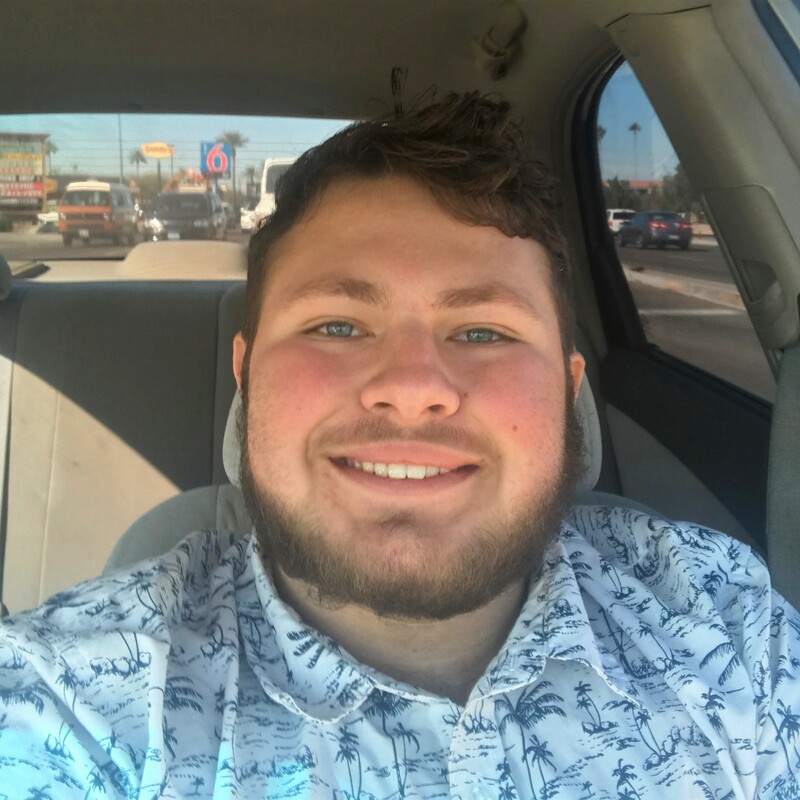 He graduated from Shadow Mountain High School and is currently enrolled at Northern Arizona University where he is pursuing a degree in Music with a minor in Creative Media and Film. He is involved in many extra activities in Flagstaff. Most prominently, he is an executive member of a club called The Underground Foundation (or TUF). What they do is support local art in any way they can including putting on shows for local bands, visual artists and poets! He says that he works at Hubbard because he loves the staff and the kids. 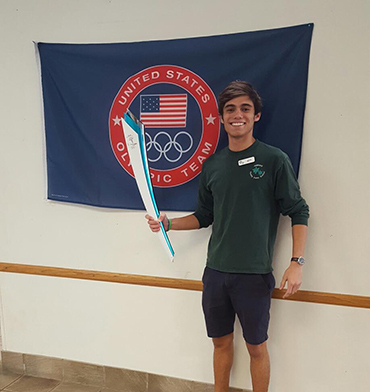 The Hubbard Swim School family has taught him so much, in both a professional and personal setting. He works here to learn more, and to spread the knowledge he has already gained to fellow co-workers. More than anything though, Tim feels it is extremely fulfilling to teach kids how to swim, and form bonds with them that could not be formed in any other way. Tim plays the saxophone, he also writes a lot of music, and regularly plays gigs with fellow musicians. He believes that in life, it's important to have fun. Tim says that he has never learned more, whether it be academically or socially, than when he was enjoying what he was doing. He feels it's important to have fun, because it makes all the other important things in life much much easier. Tracy has lived in many places throughout her life. She was born in Cleveland, OH and has lived in Indianapolis, IN, Louisville, KY, Cincinnati, OH, Orlando, FL and Phoenix, AZ. She attended Xavier University for college and was a member of the soccer team. Attending Xavier University runs in her family, her father, older brother, 2 uncles and 3 cousins are all graduates. She loved her years at Xavier University so much that after graduation she stayed on as the strength coach! She then moved to Florida where she met her husband. She loves sports of all kinds and has been coaching since 1996. She truly enjoys mentoring young people to be positive, productive members of society. In her free time she enjoys reading true crime novels and relaxing at home. Trinity was born in Naples, Florida and grew up in Westerville, Ohio. She is a senior at Deer Valley High School and plans on studying Kinesiology/Neuroscience. Trinity is active in academic decathlons, pageants and loves to work on her jeep. Her goals for the future is to run her own Neurological Physical Therapy practice, specializing in treating Alzheimer’s patients. 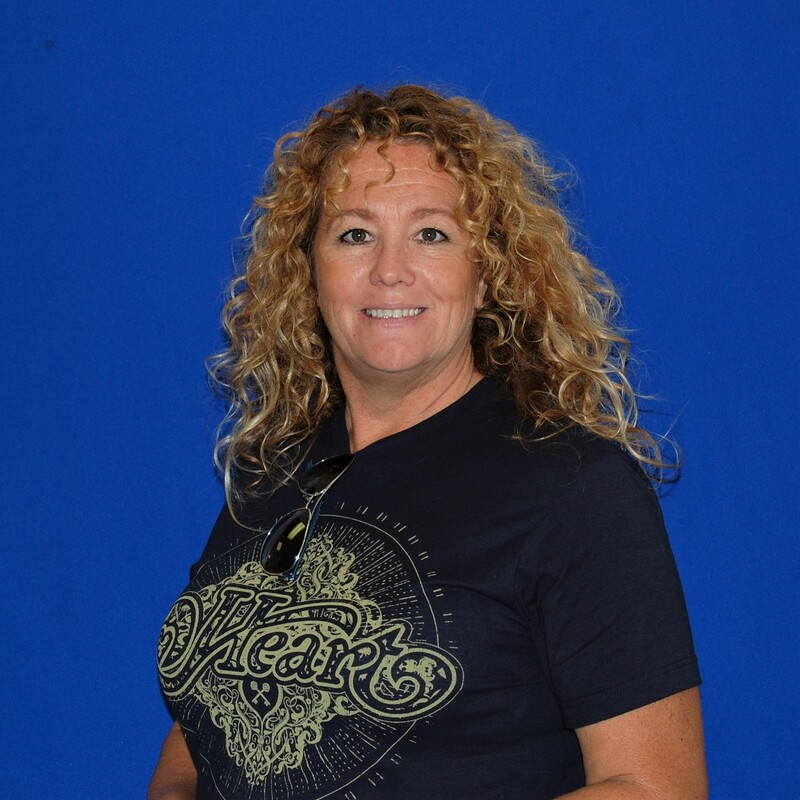 Trinity works at Hubbard because she really loves working with the kids, and believes in the curriculum and values. Plus, she learned how to swim at the Peoria location when it first opened! Victoria was born in San Diego, CA but moved around a bit as her parents were in the military. She is currently studying Business Sustainability at ASU with a minor in environmental education. Her future goals is to be a CSO for a corporation or work for the government in food sustainability. 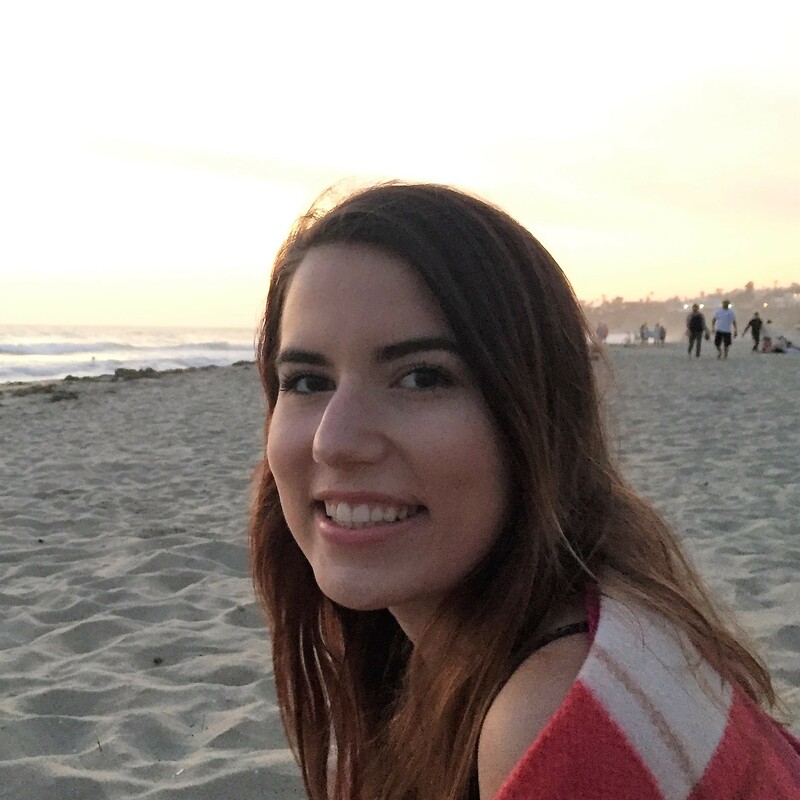 Victoria enjoys hiking and traveling: her favorite adventure was a roadtrip to Delaware with stops to different beaches along the way. 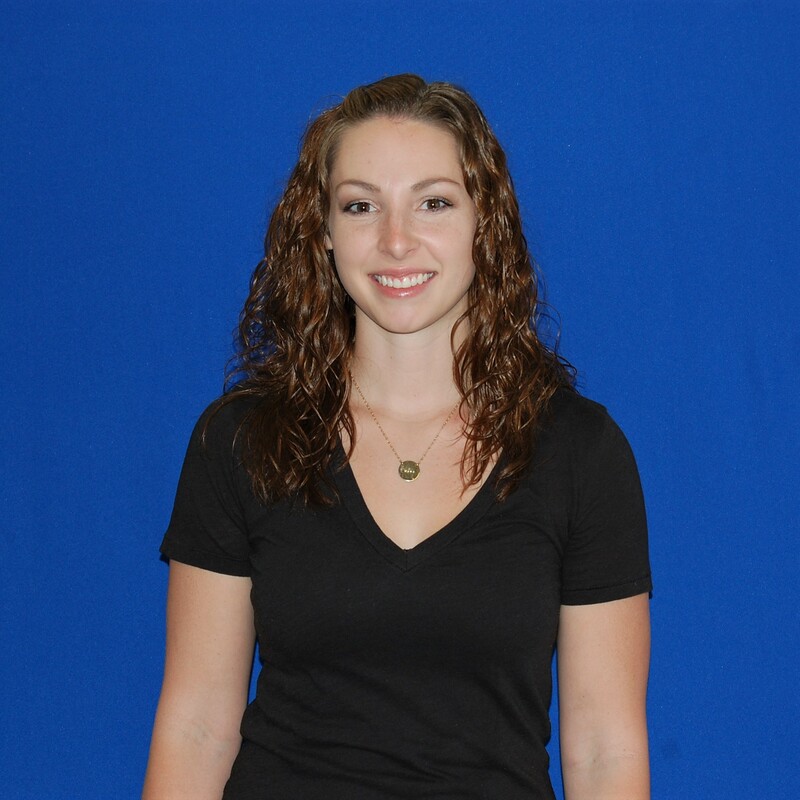 Victoria works at Hubbard as a Swim Instructor because she loves working with kids. Zac was born and raised in Phoenix, AZ. He currently attends Madison Highland Prep where he is a member of the track and cross country teams. Last year he placed 3rd in the 300m hurdles at the State Conference! He is the oldest of 4 boys and has identical triplet brothers who are only 16 months younger than him! In his free time he enjoys skateboarding at home on his quarter pipe or with friends at the local skate park. He is also a youth ambassador for the American Diabetes Association. 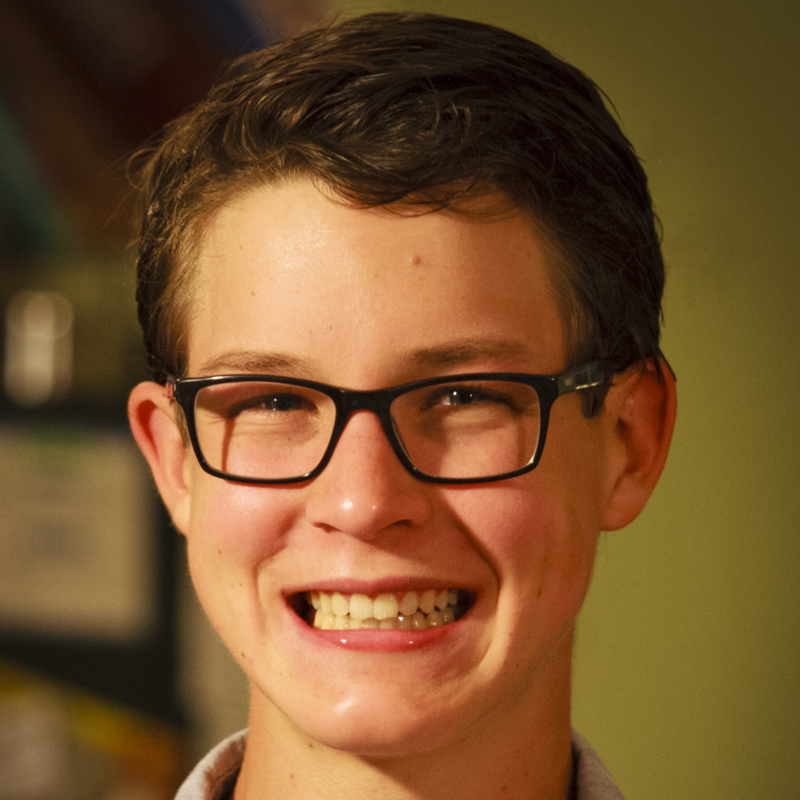 He has a passion for helping others and wants to be an Endocrinologist when he gets older. He has been a swim instructor with Hubbard Family Swim School since July 2017. He works for Hubbard because he enjoys teaching others.